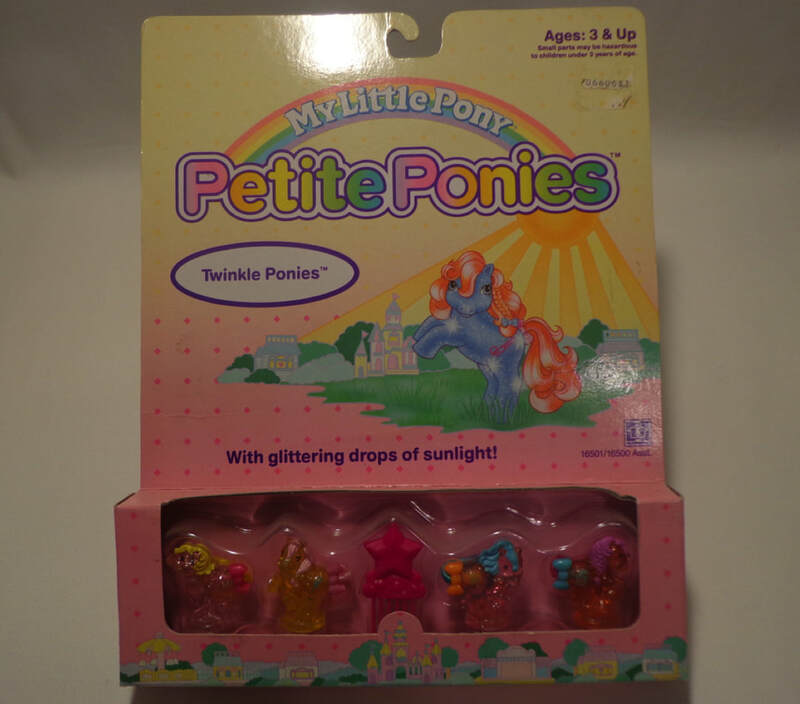 I have to admit I don't know much about Petite Ponies. 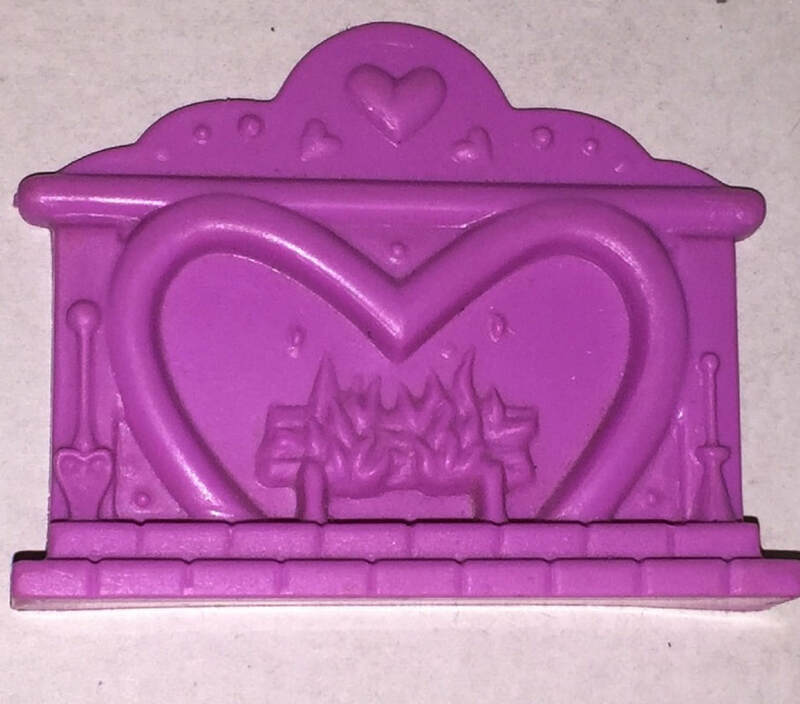 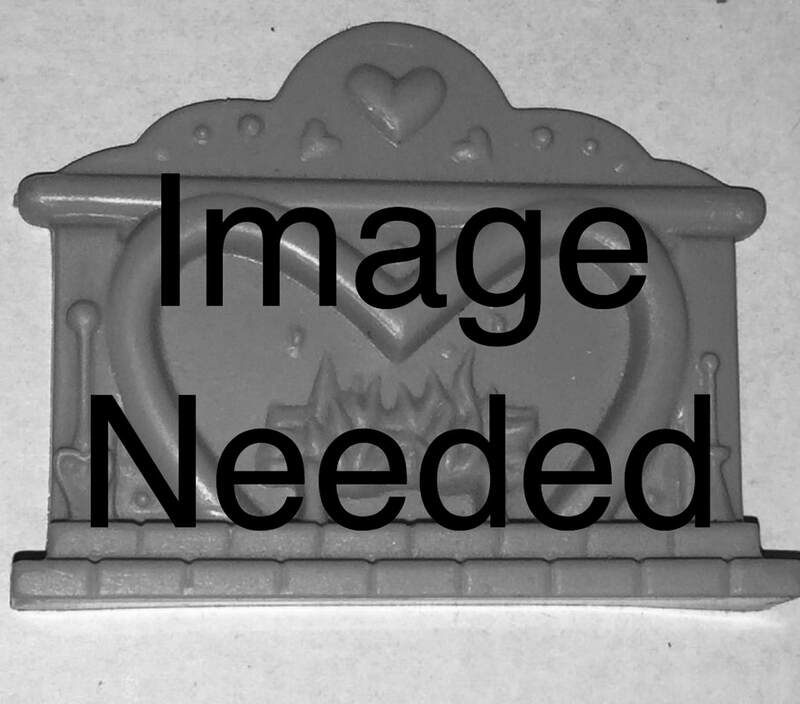 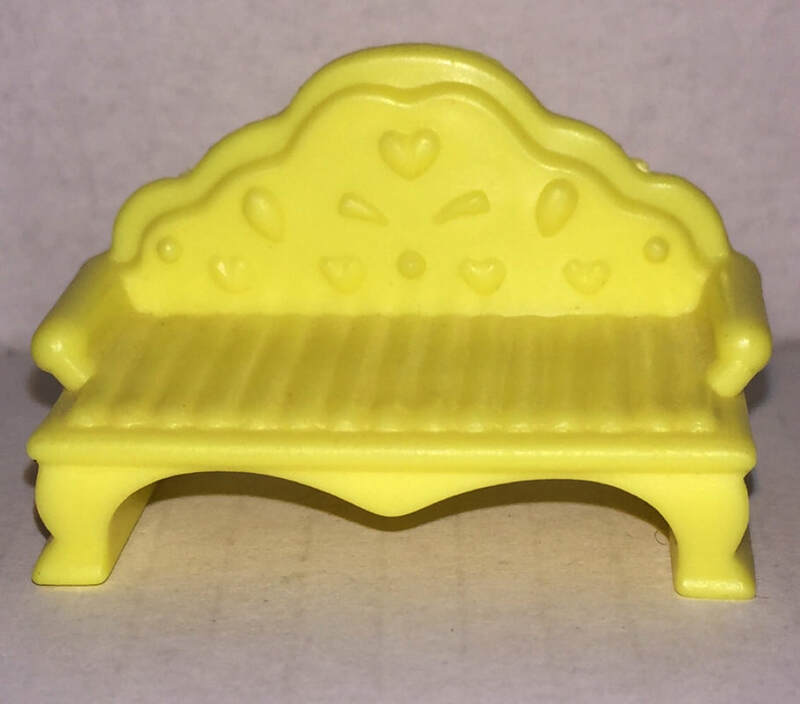 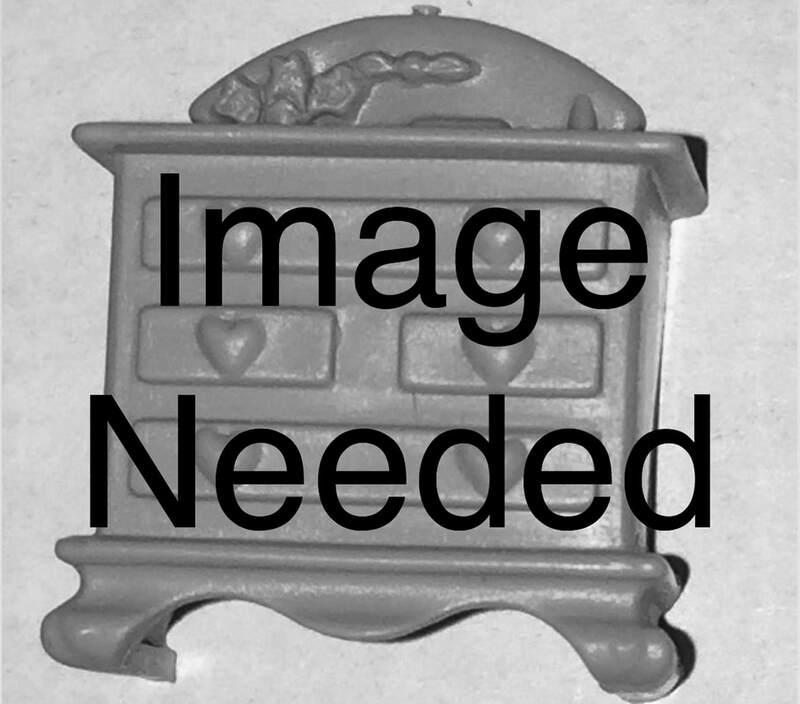 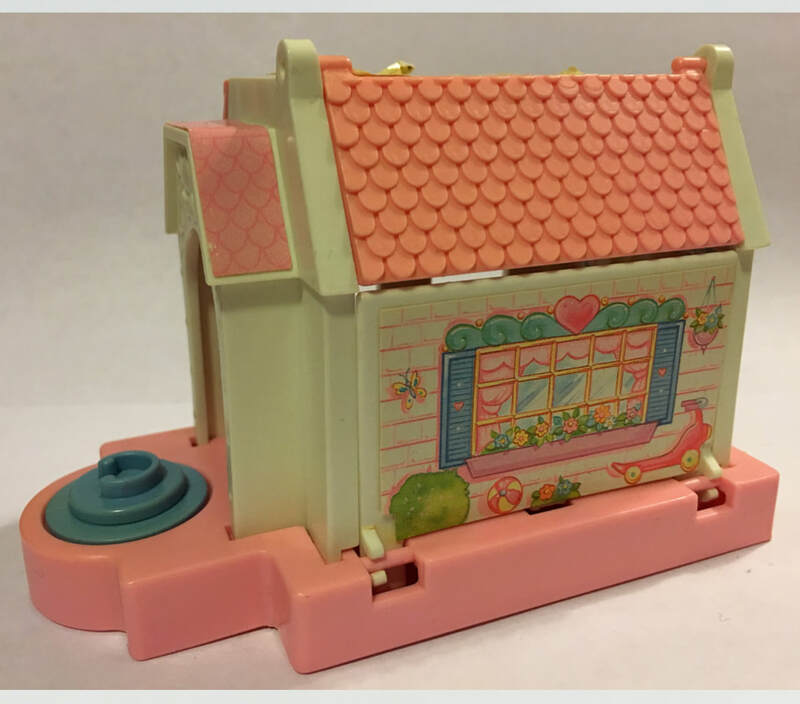 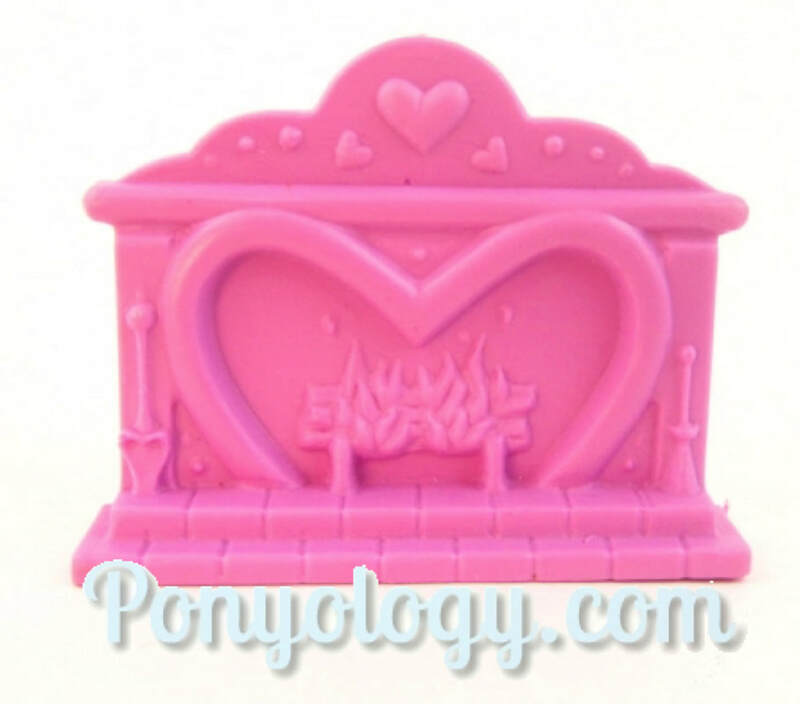 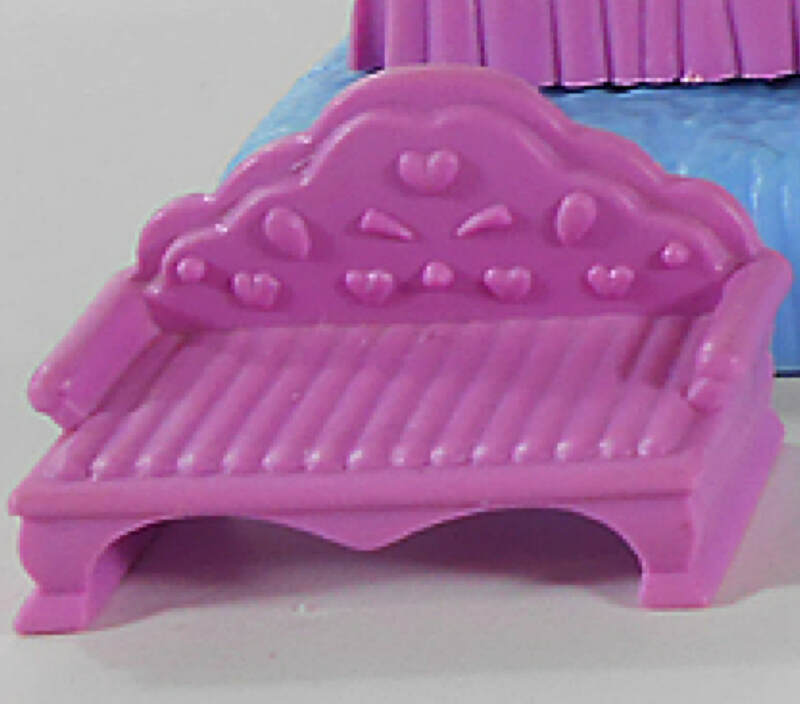 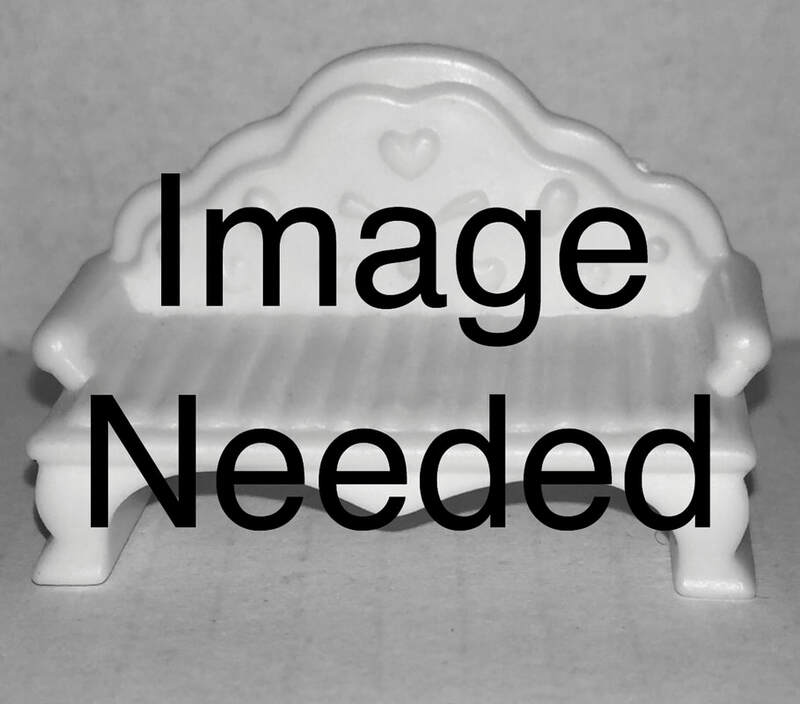 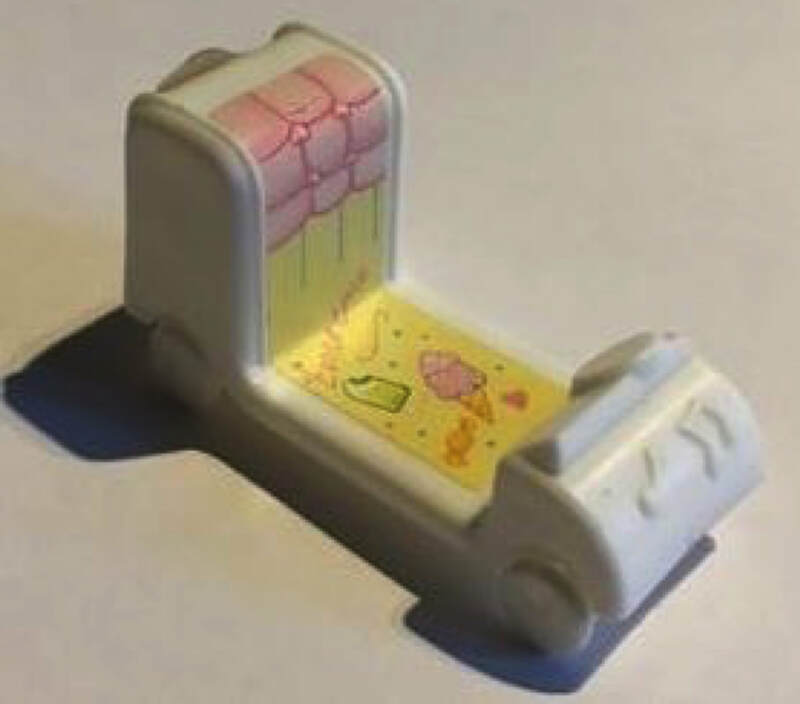 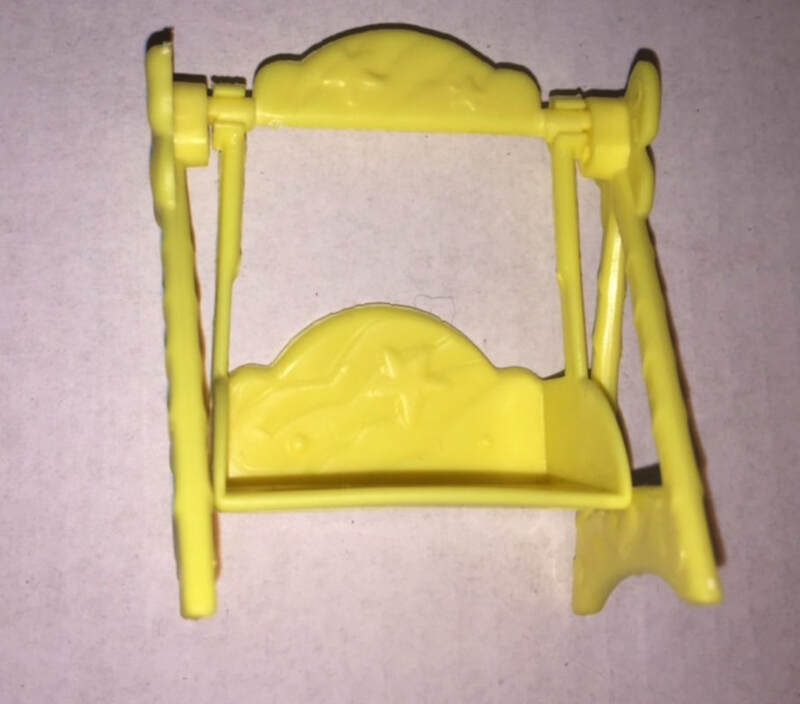 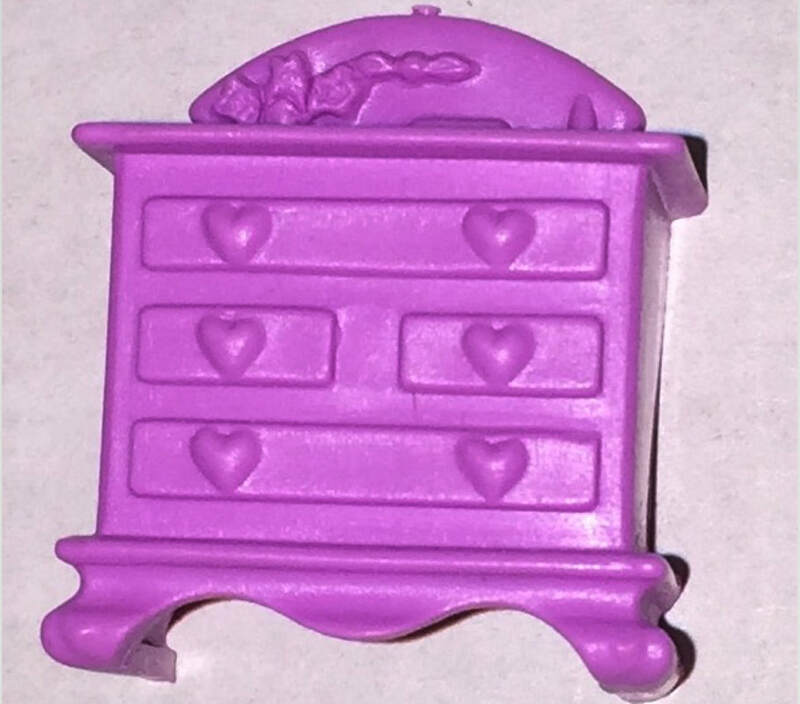 I had two sets as a kid and the Happy Hearts Cottage but I haven't actively collected any others. 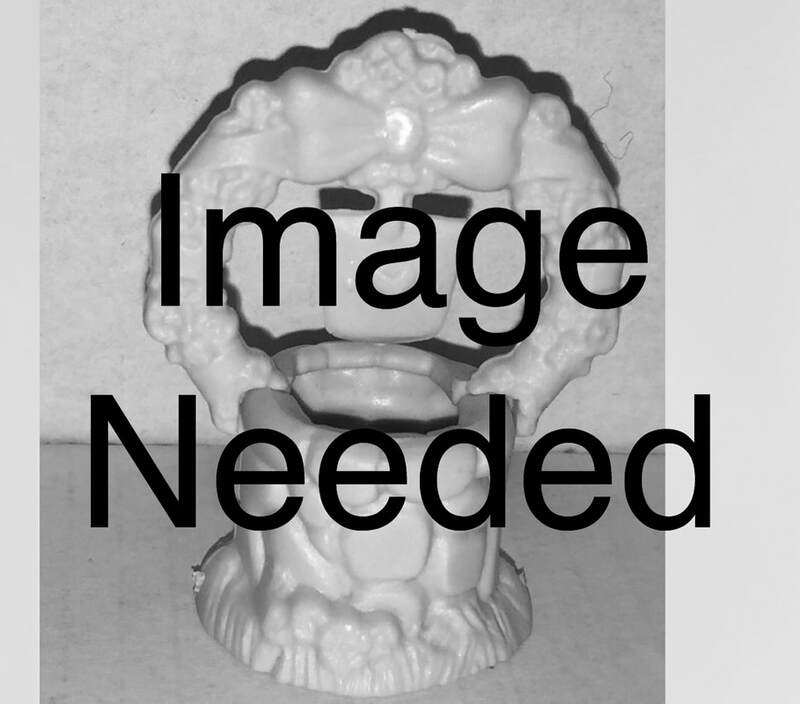 This page is the result of research and information from fellow collectors. 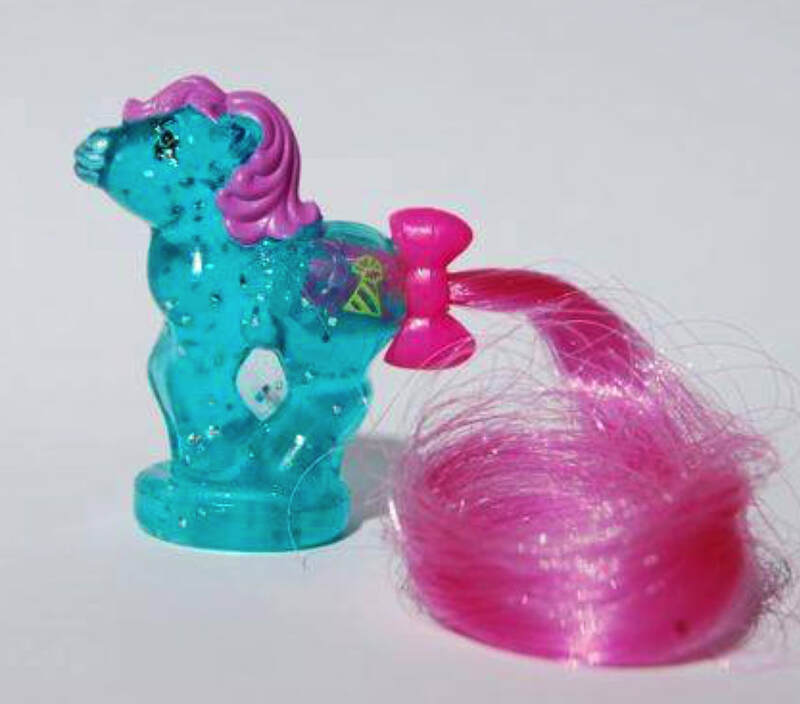 I'd be more than happy to change anything which is inaccurate - just get in touch. 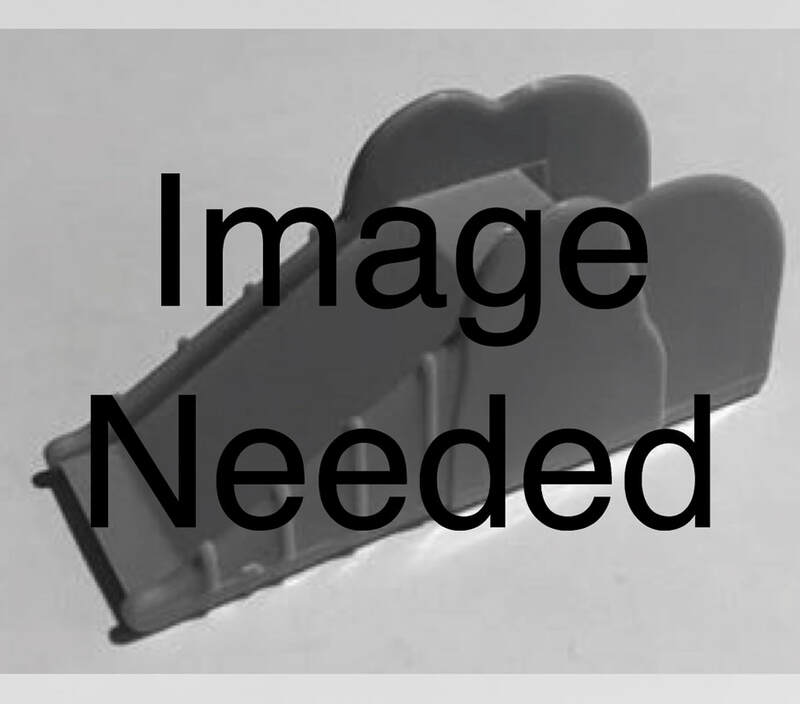 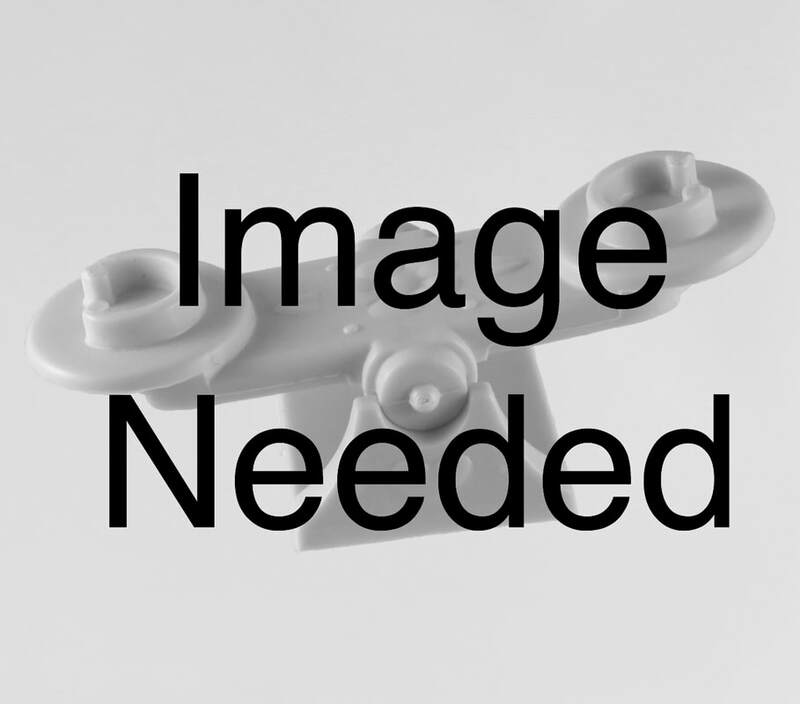 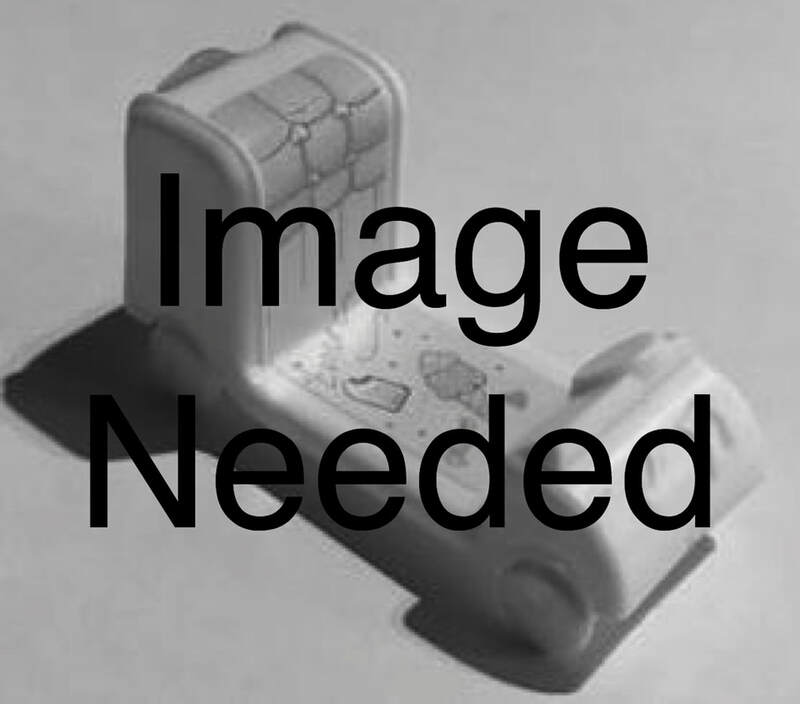 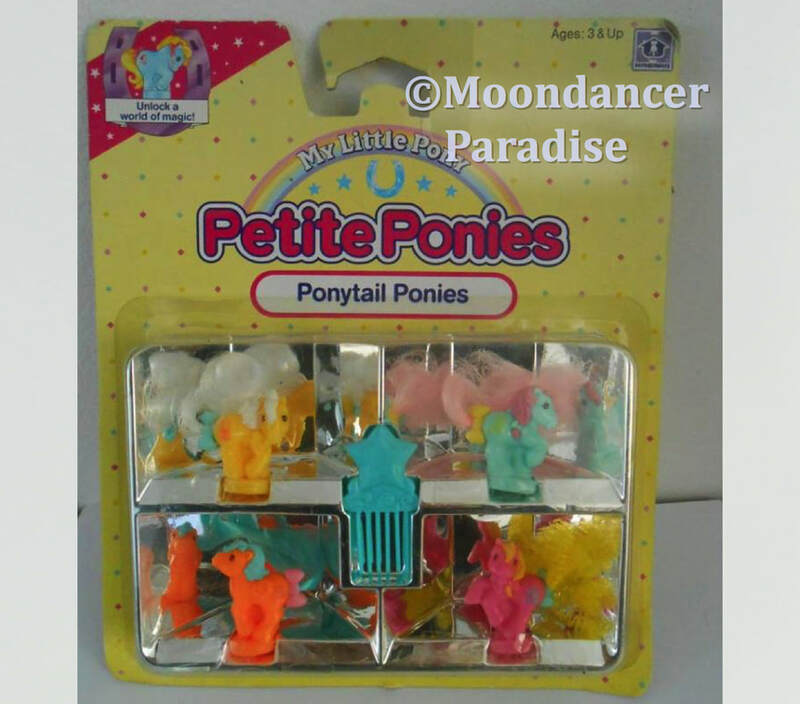 These are the smallest G1 ponies at around 3cms high. 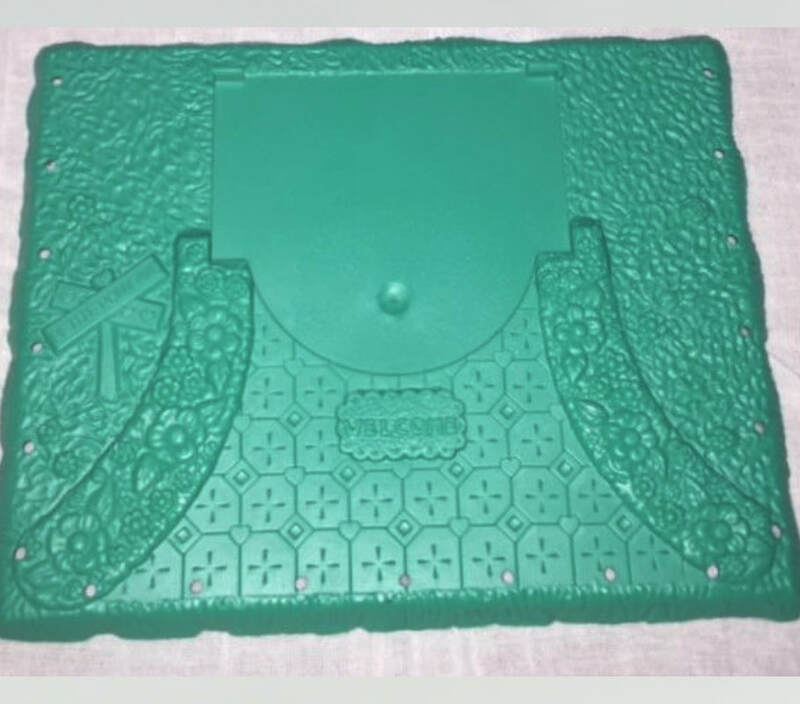 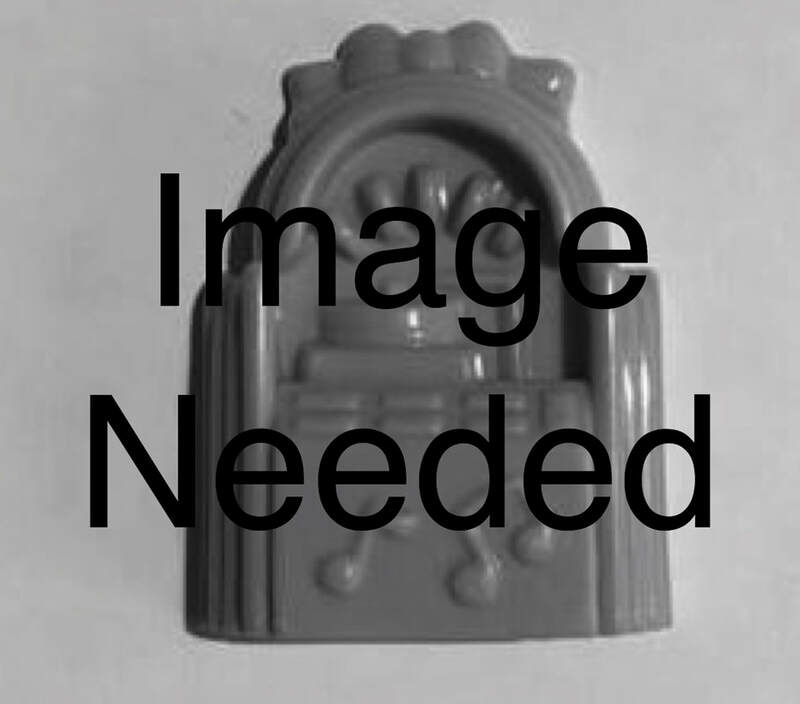 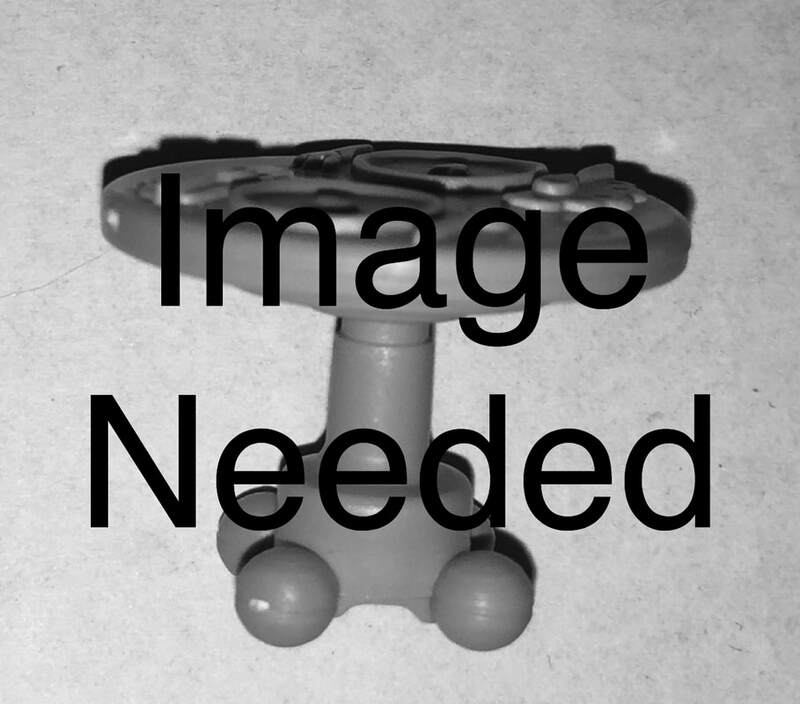 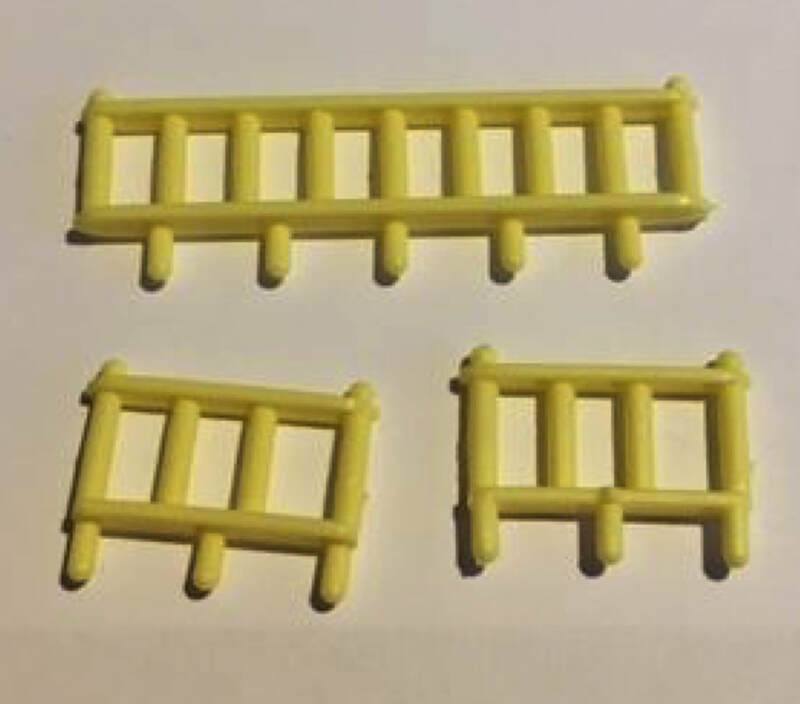 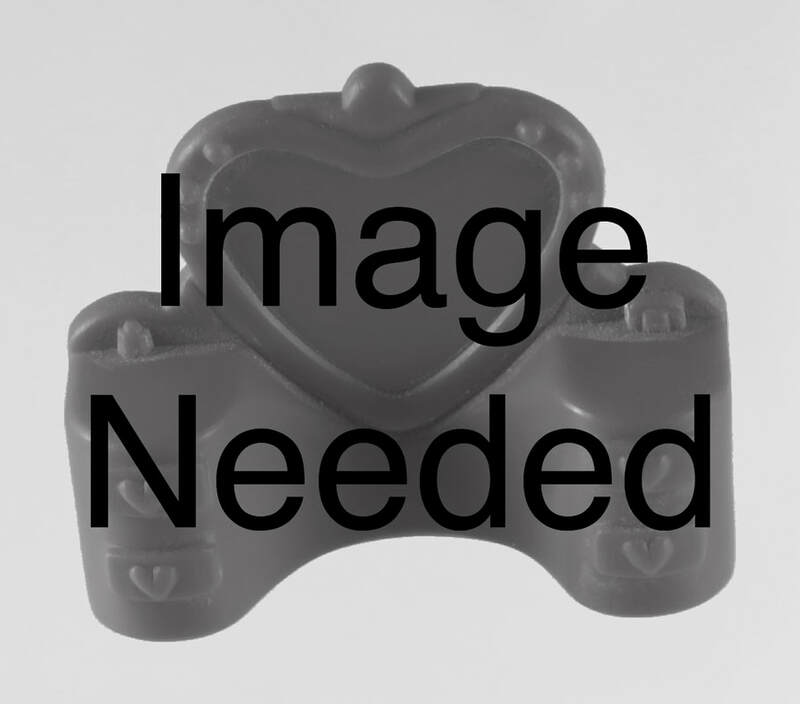 Each has a horseshoe shaped key as it's base to operate the locks on the playsets. 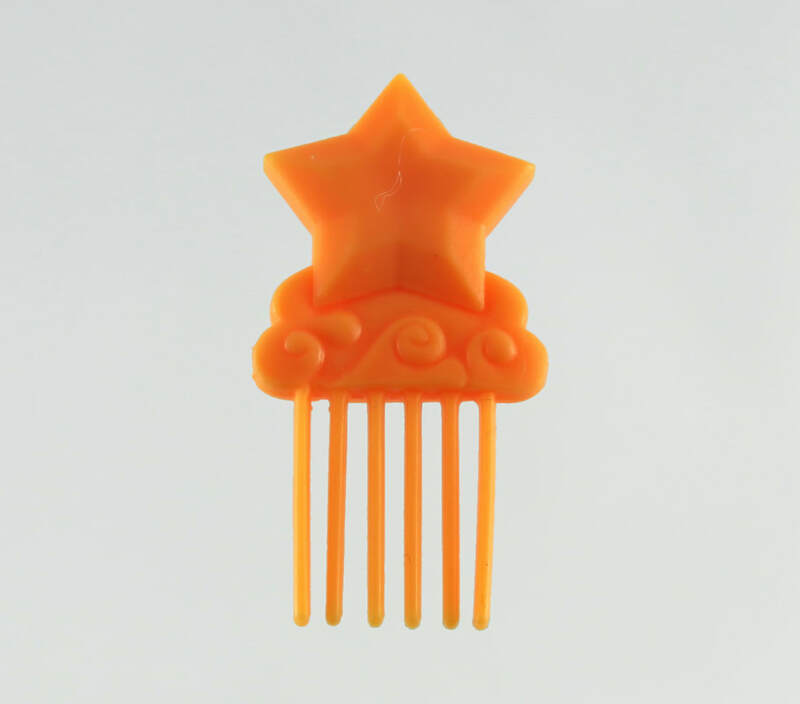 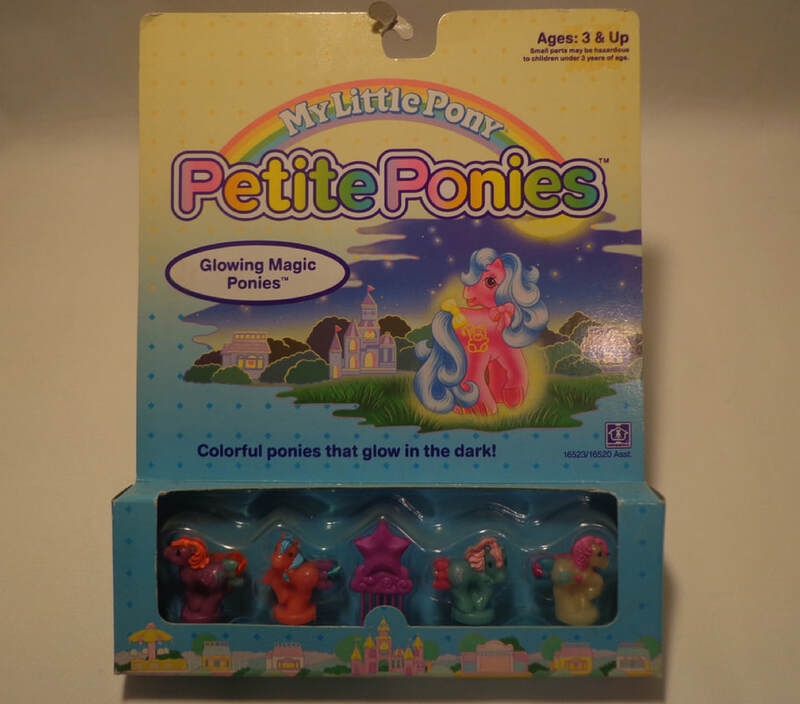 They have sets in bright neon colours, glow in the dark, pearly finish, transparent and glittery. 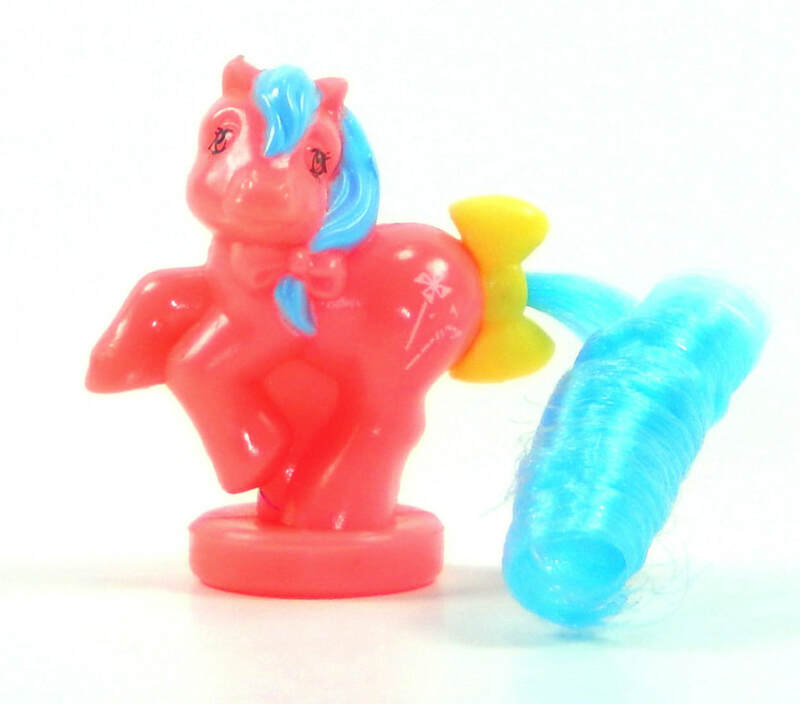 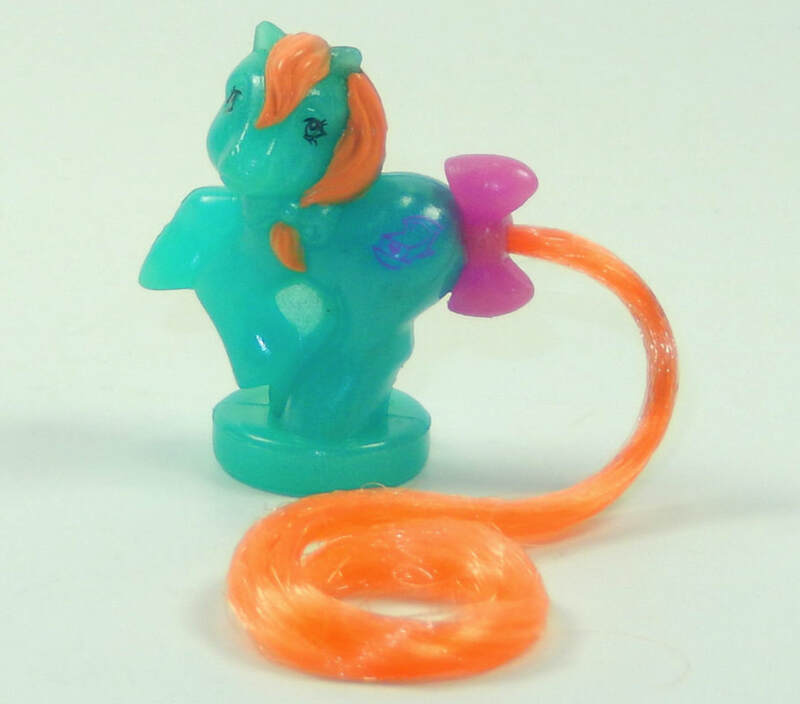 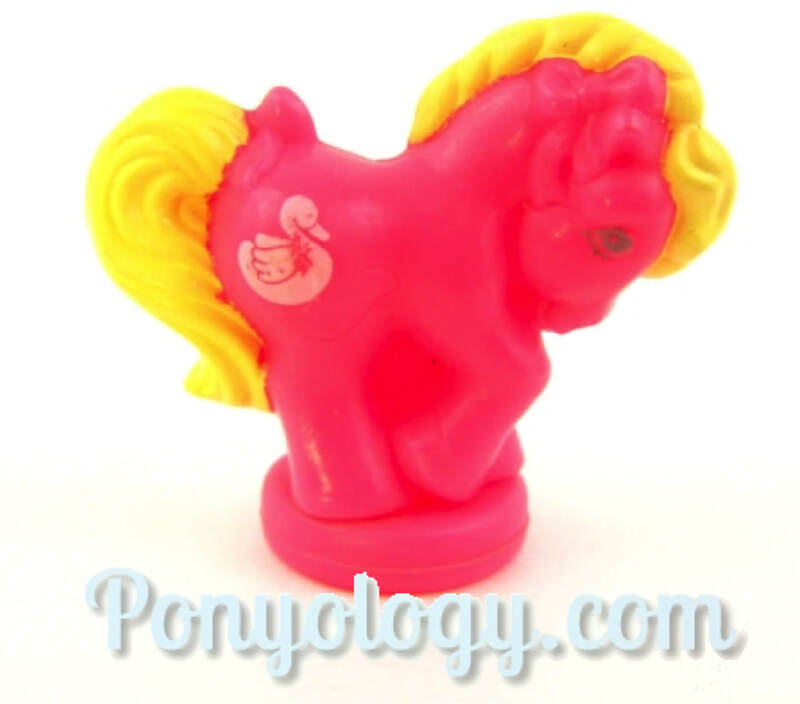 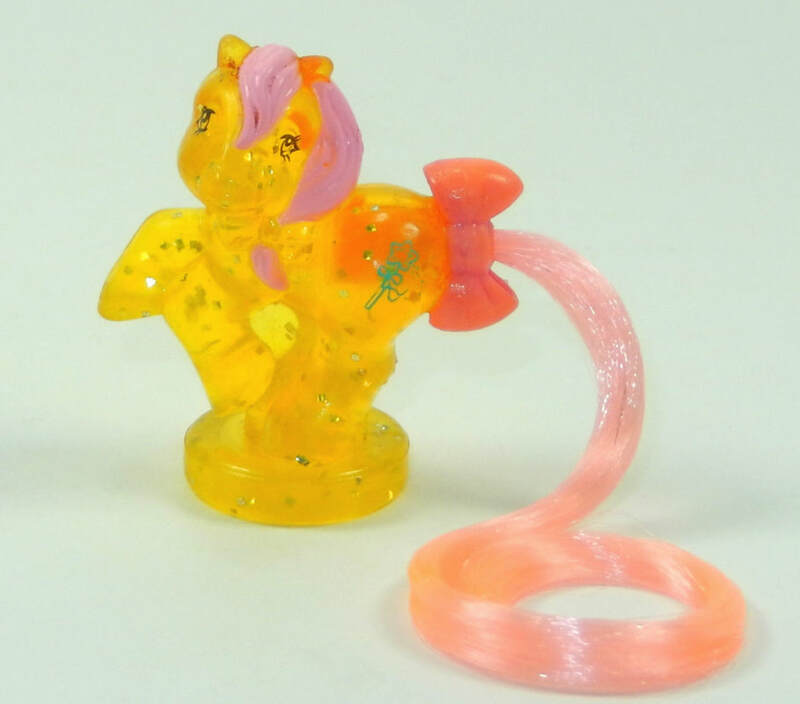 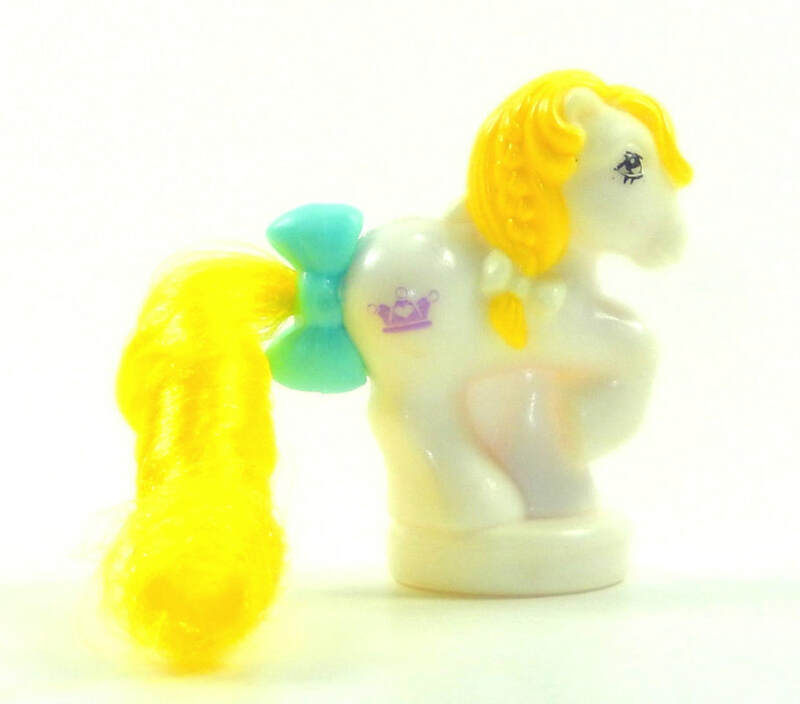 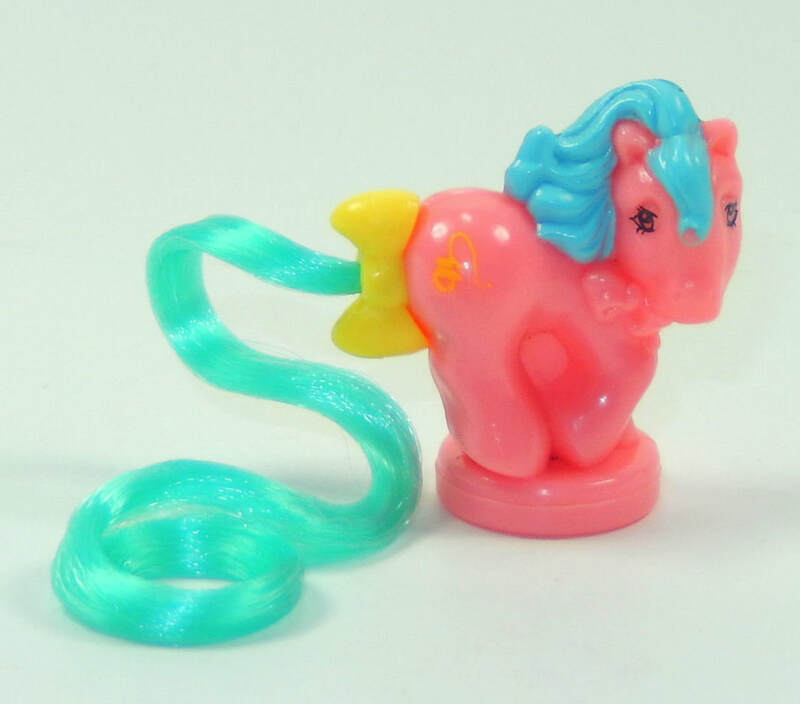 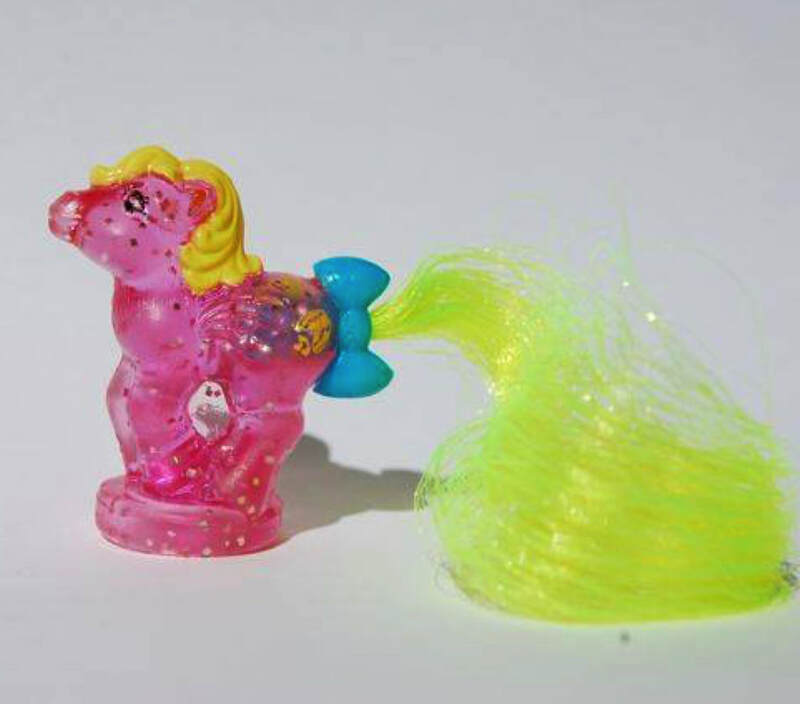 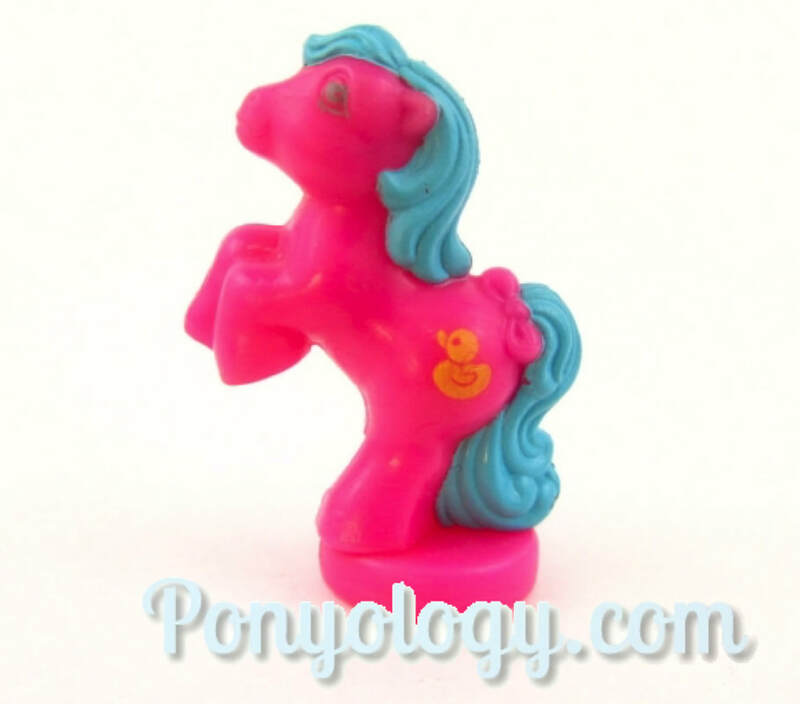 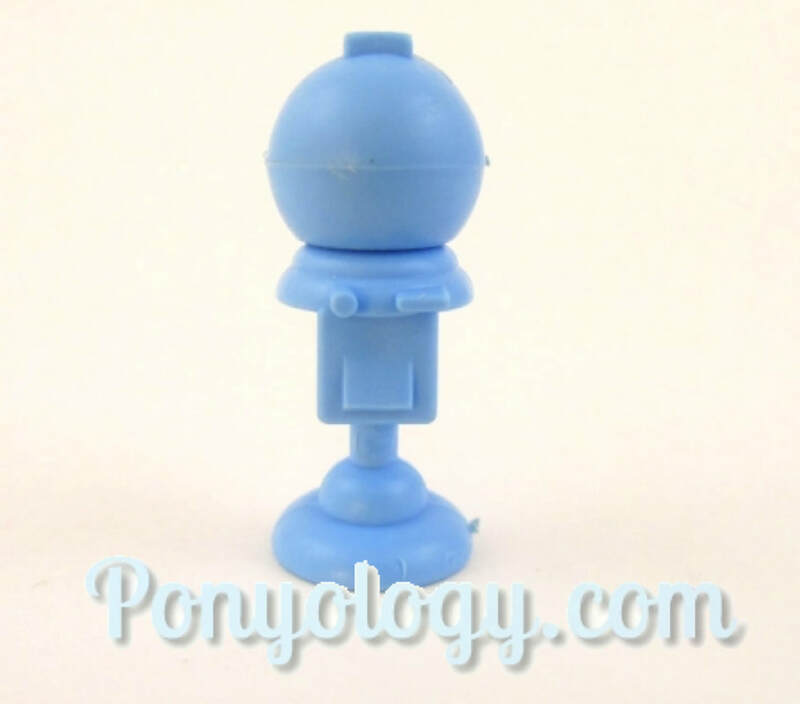 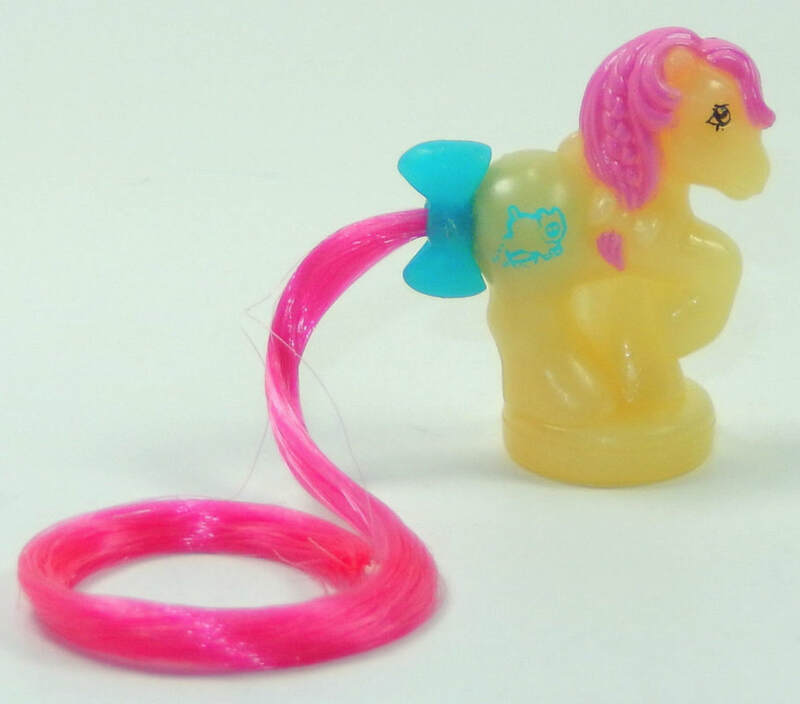 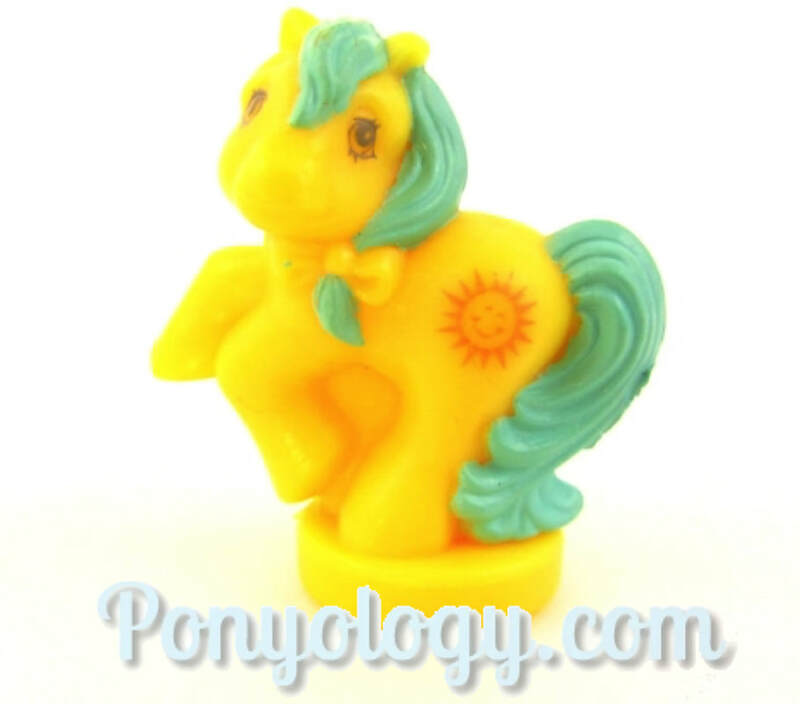 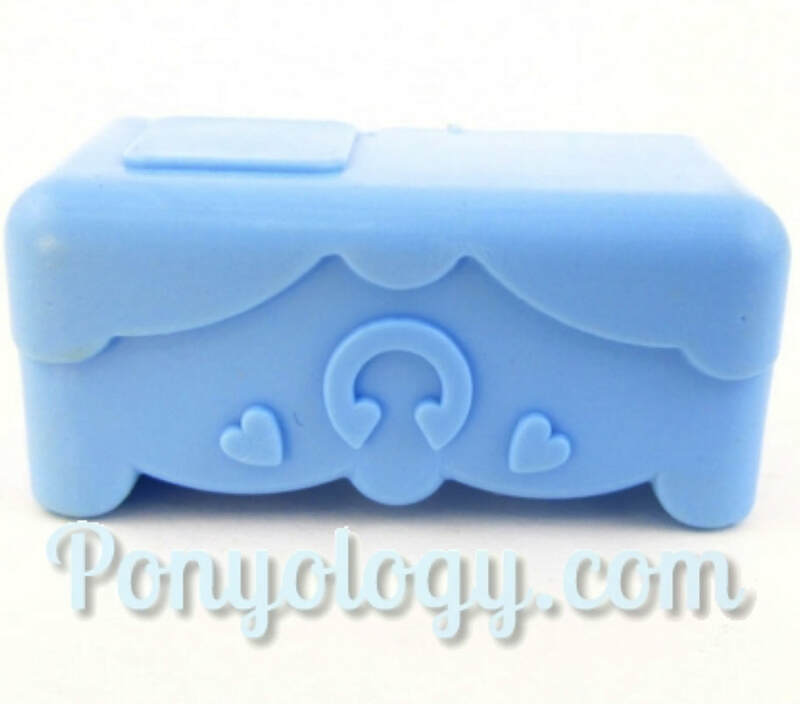 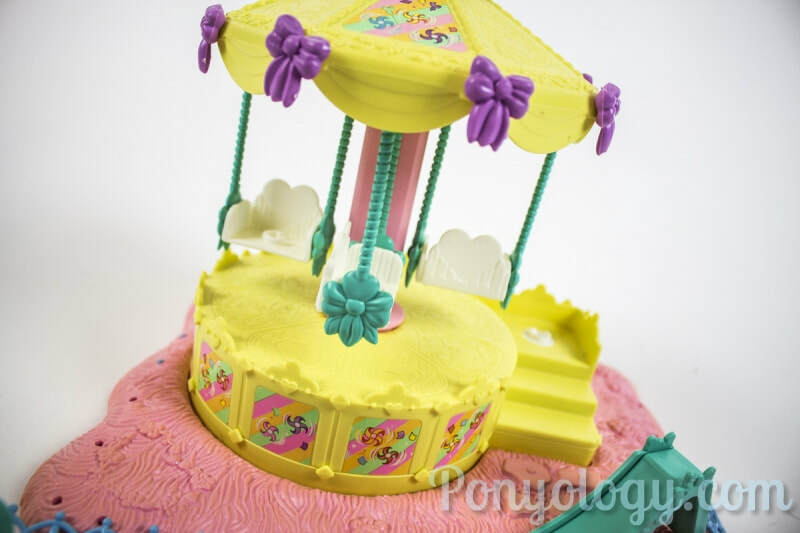 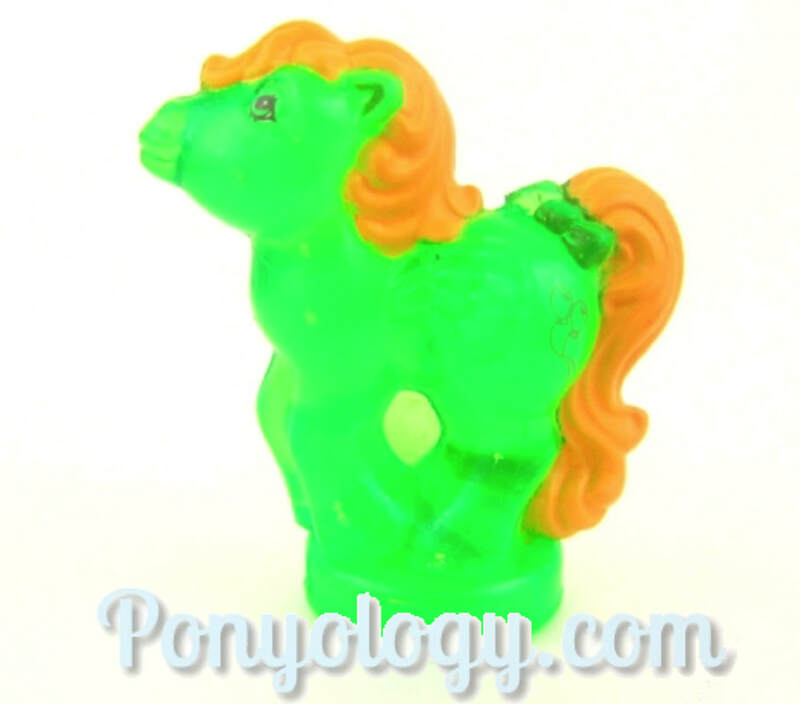 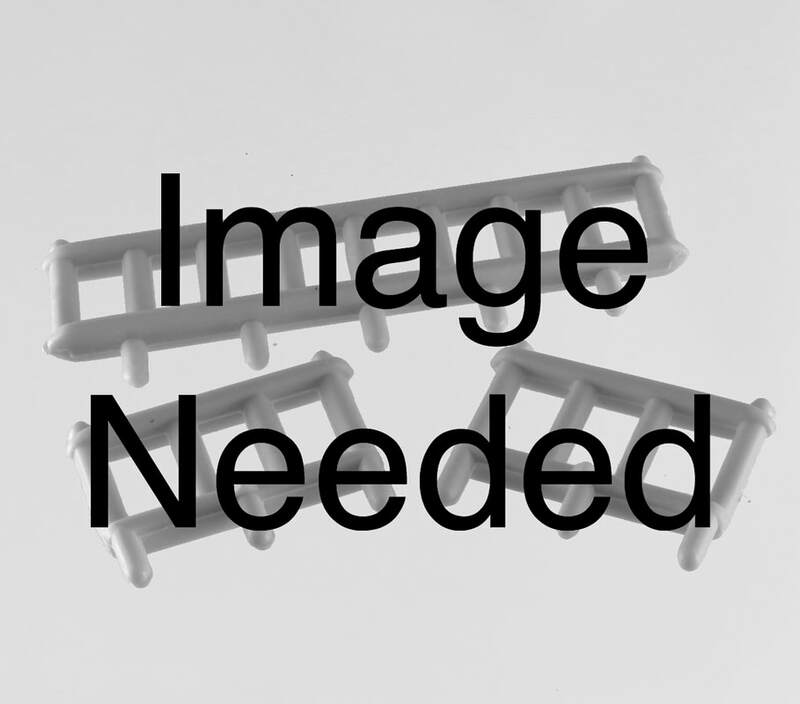 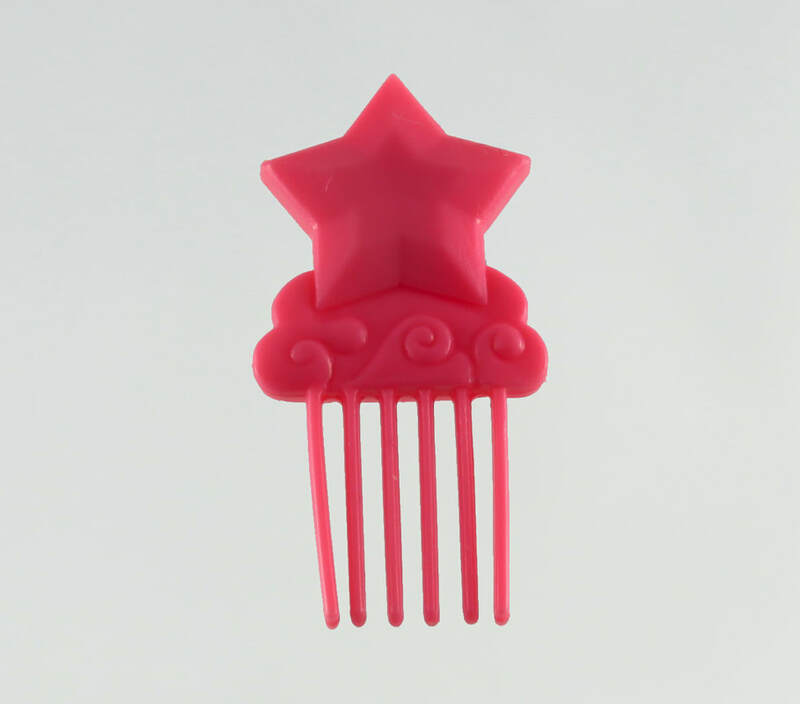 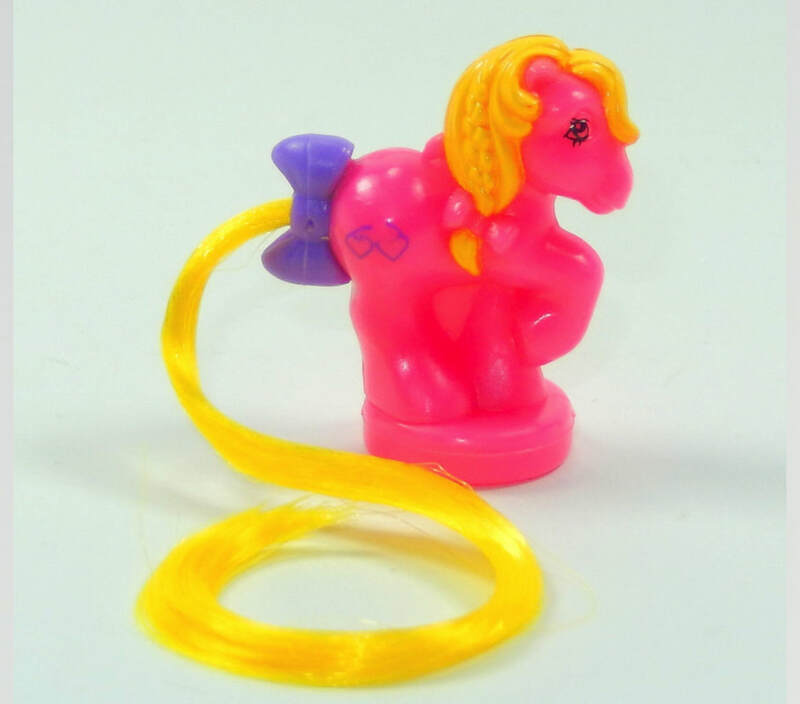 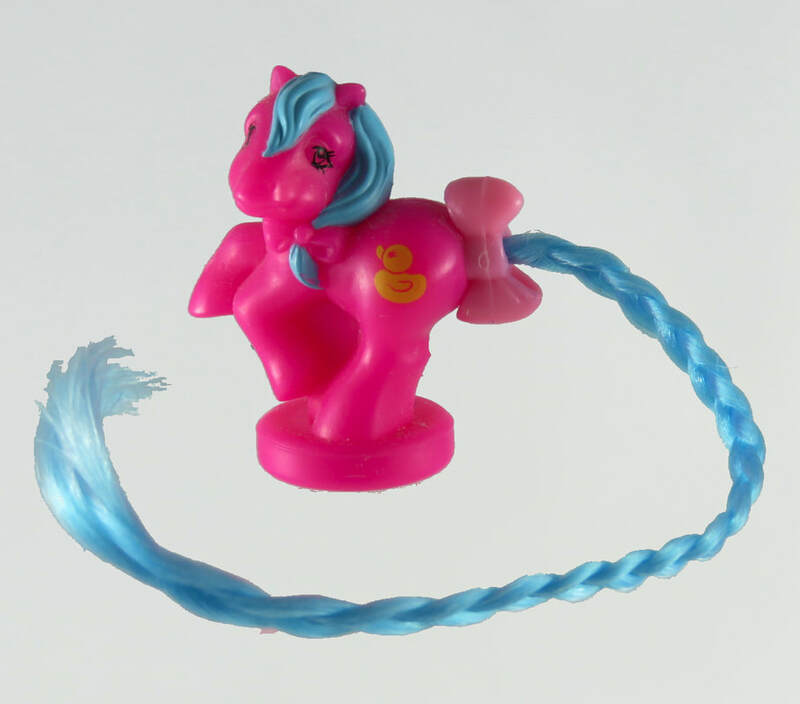 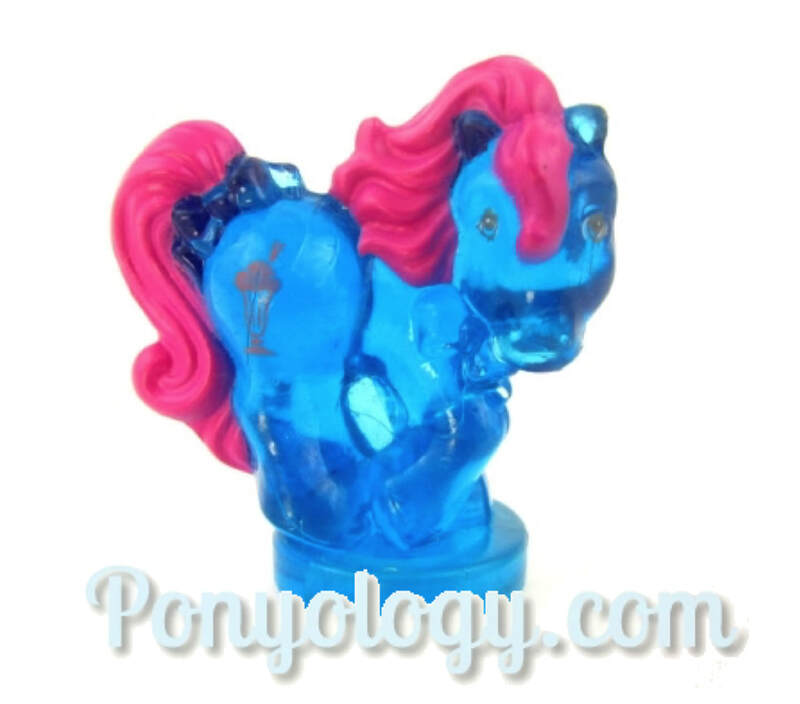 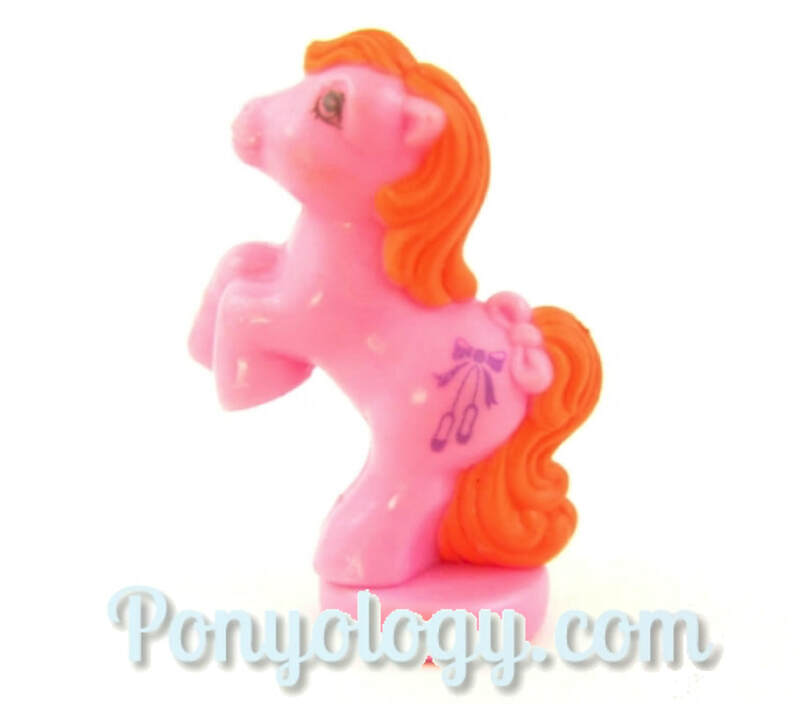 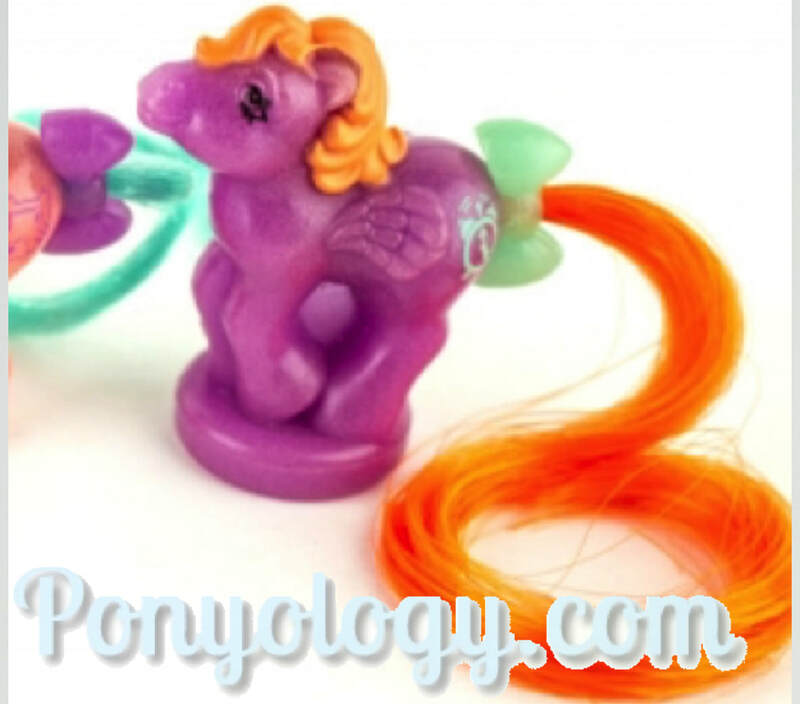 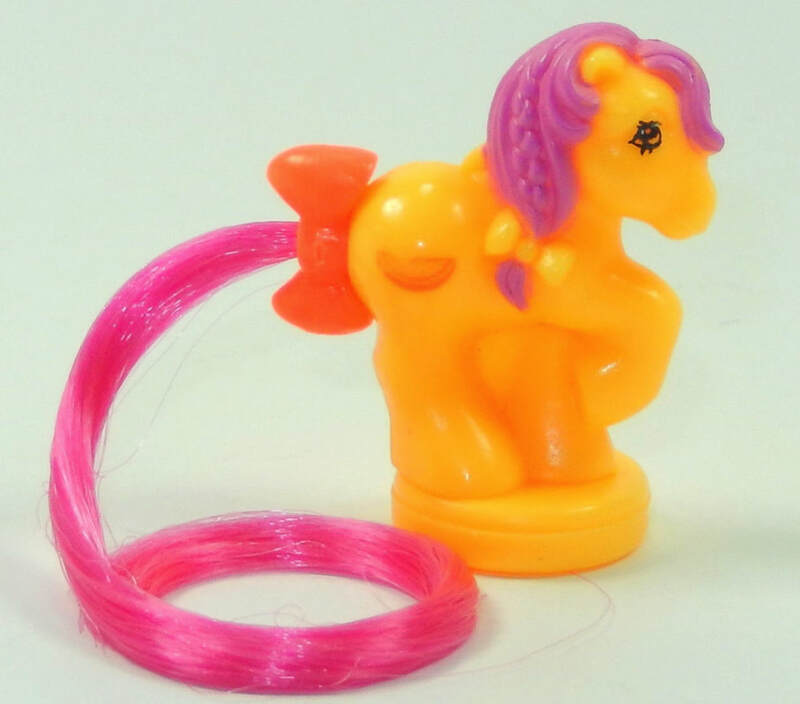 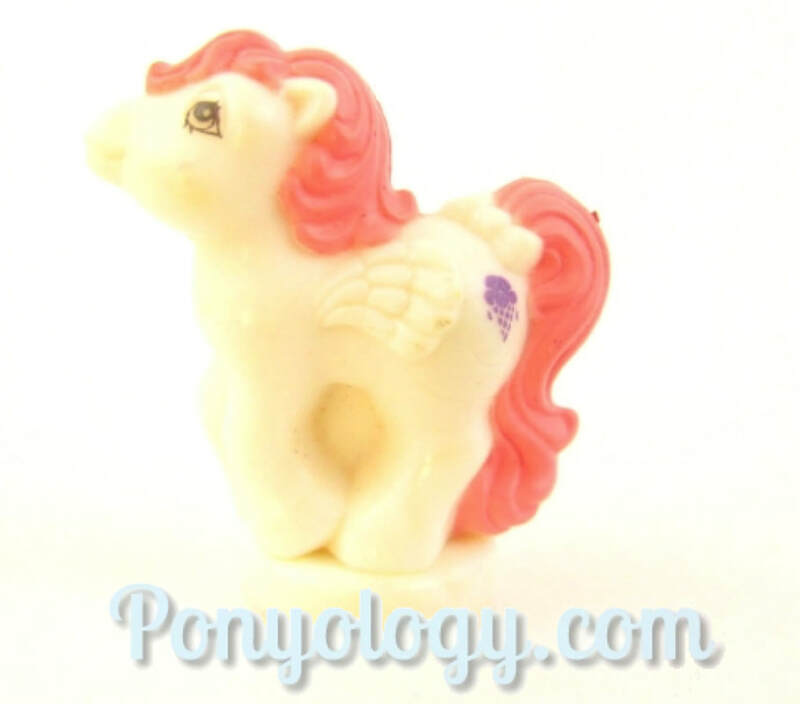 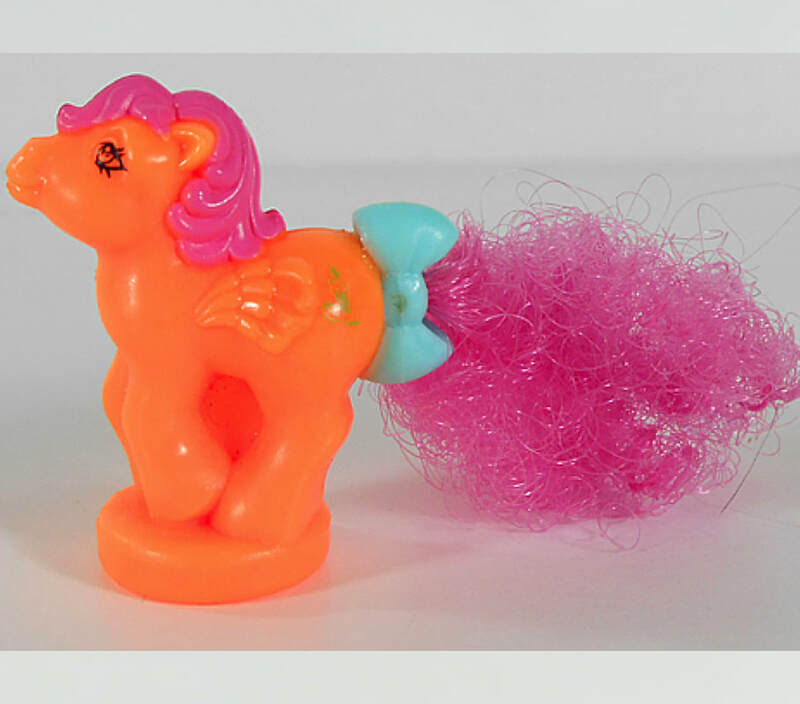 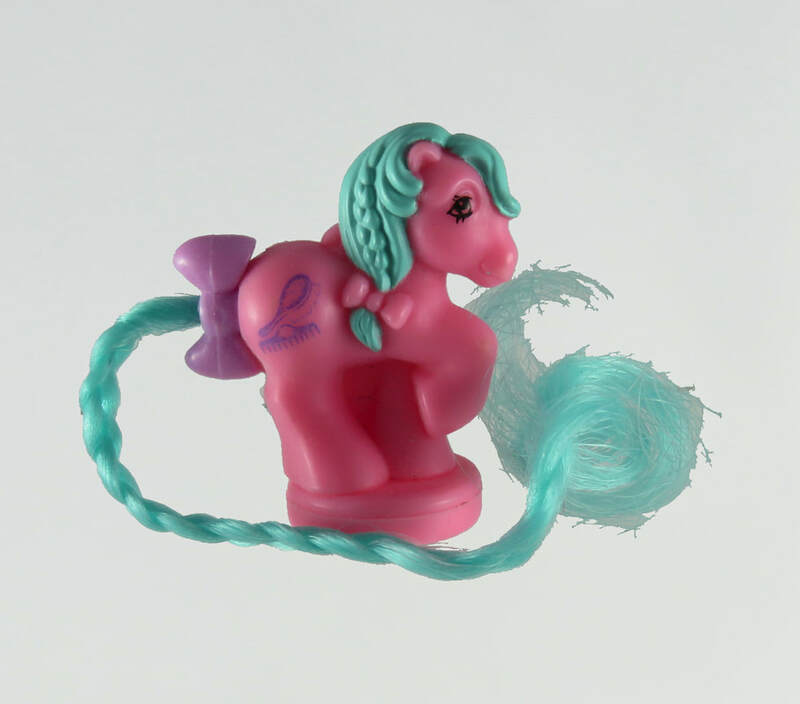 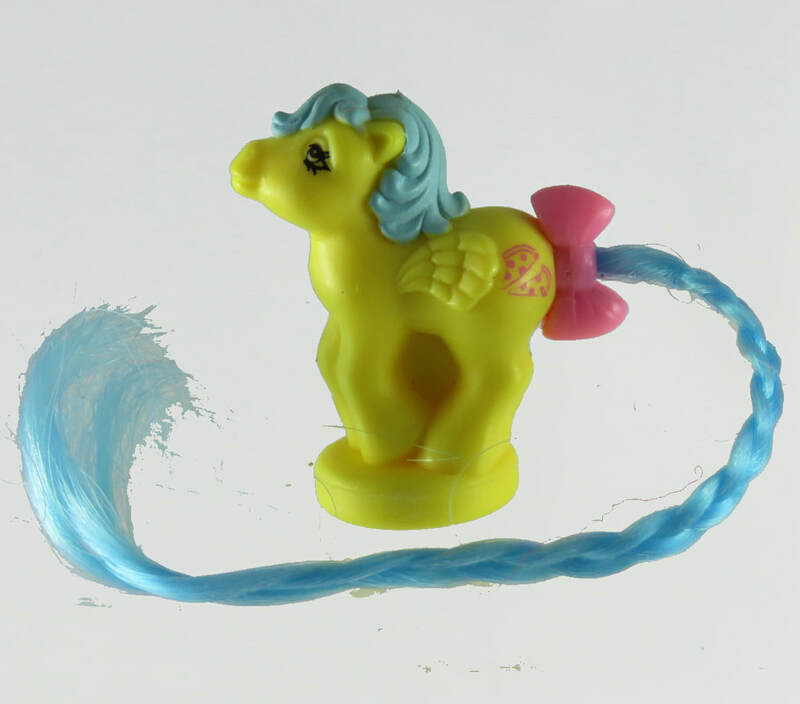 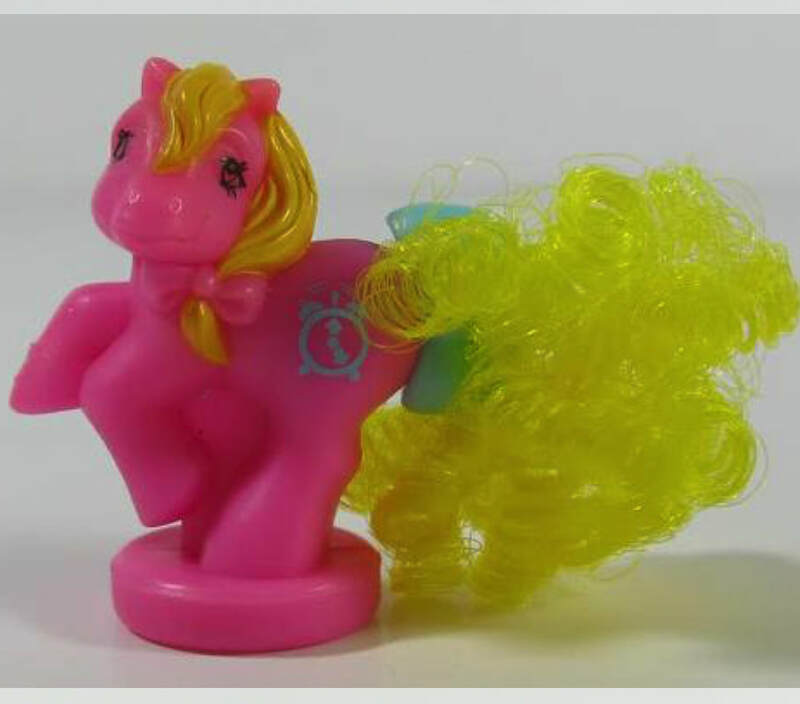 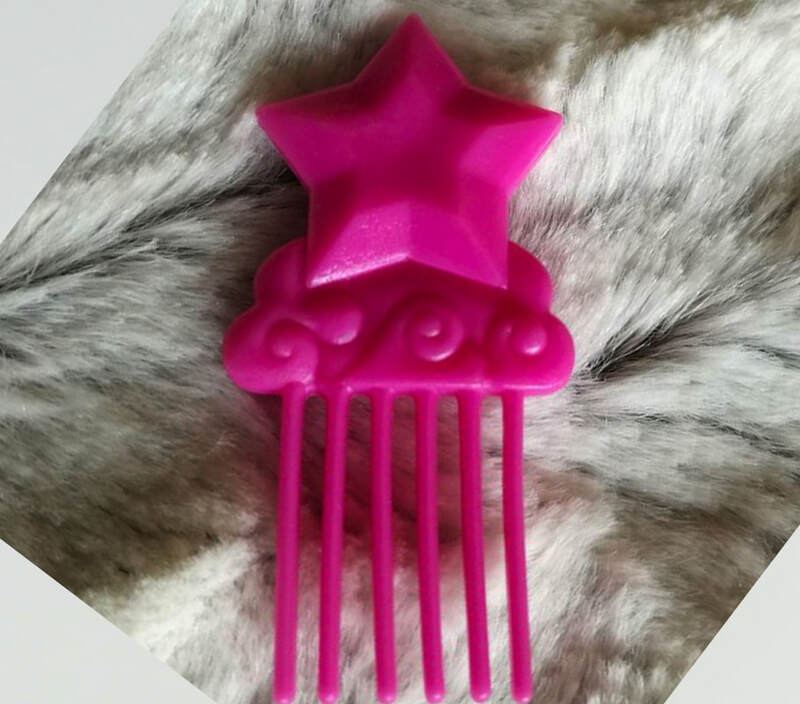 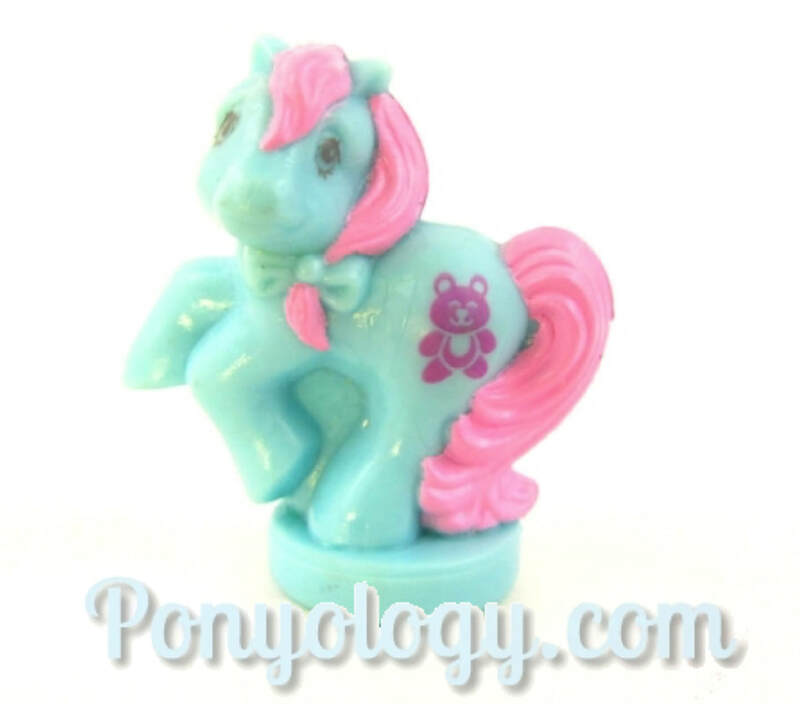 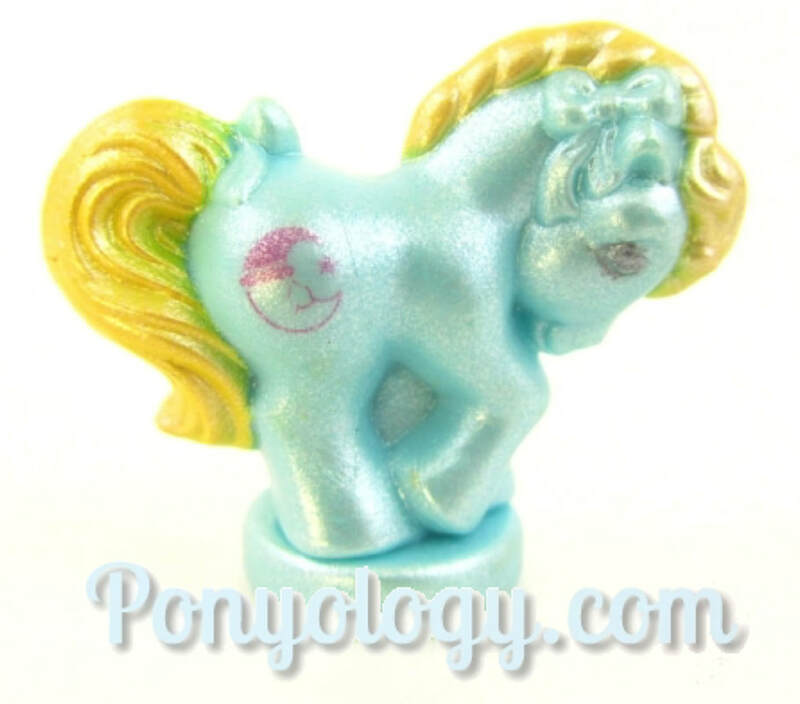 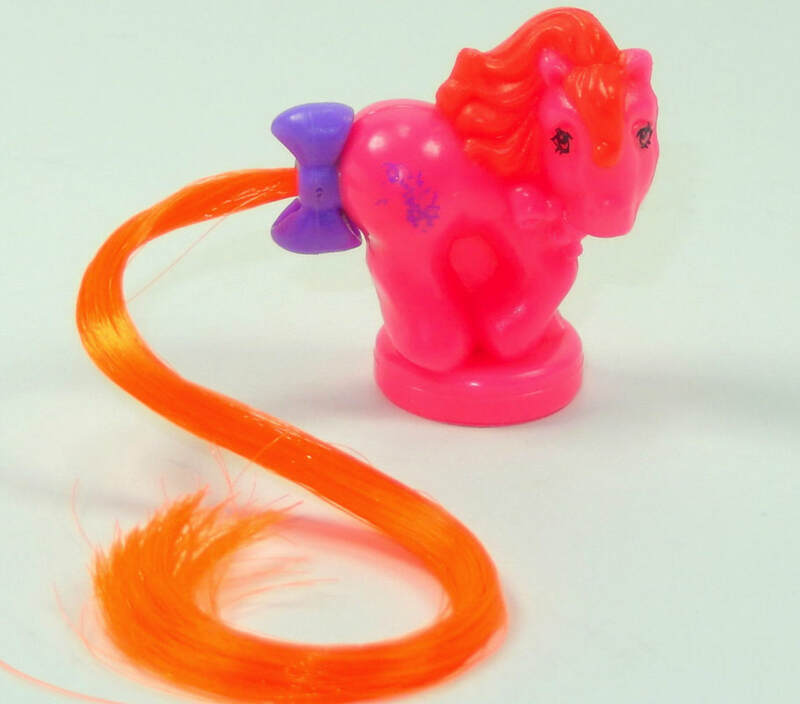 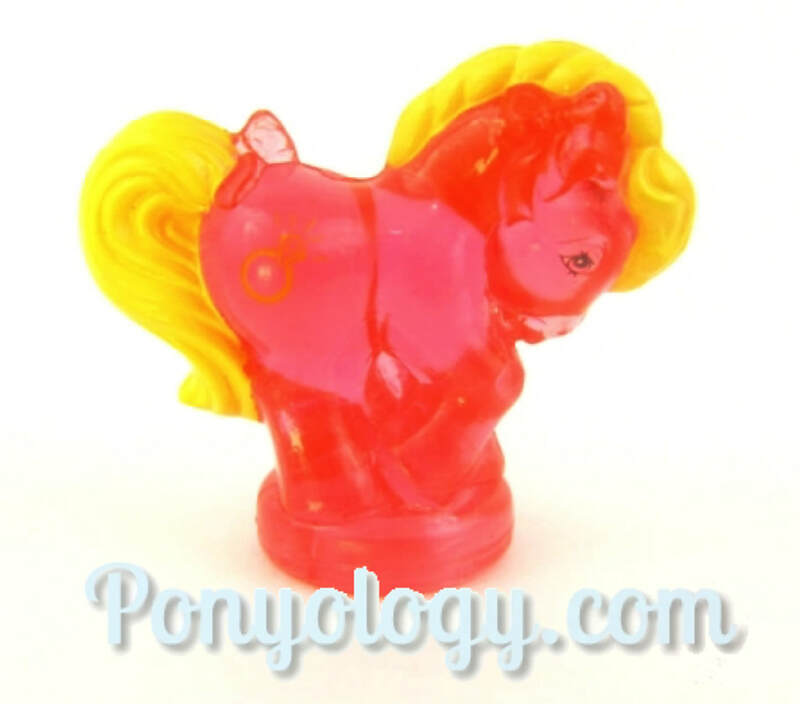 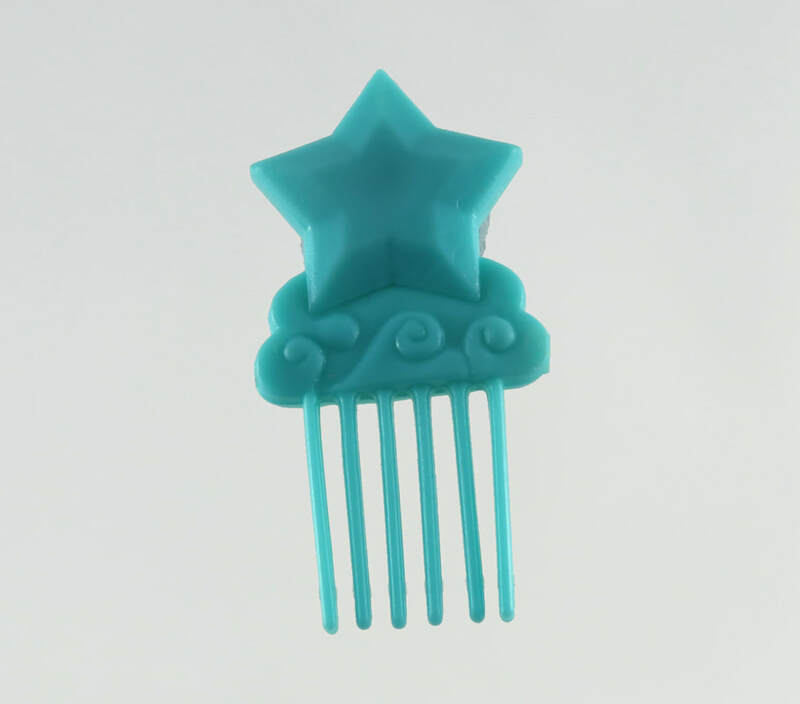 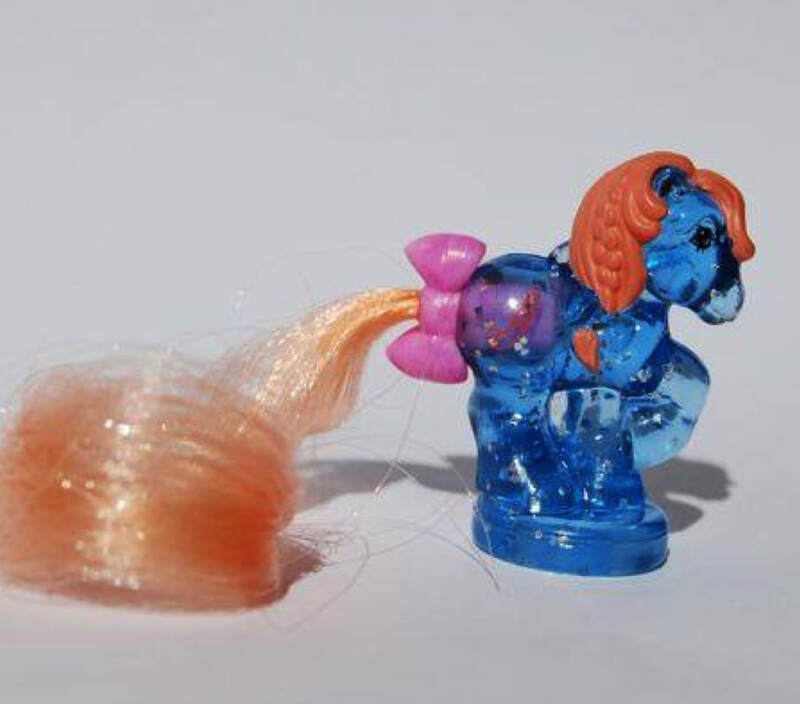 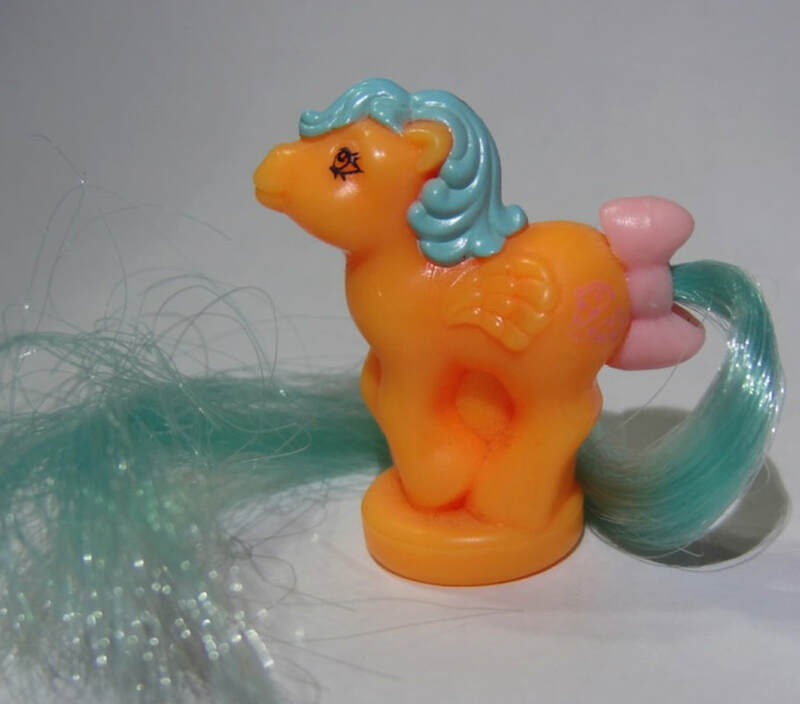 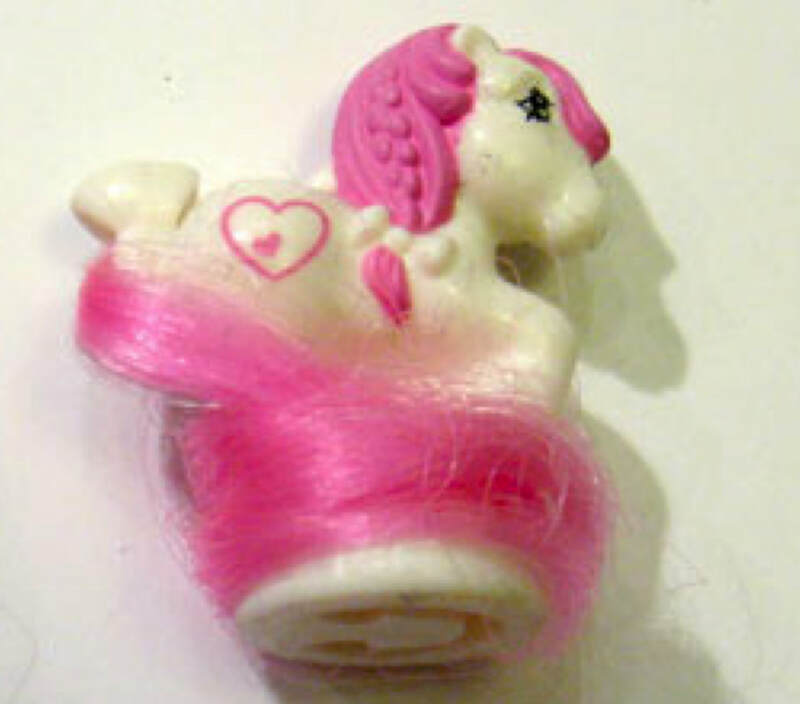 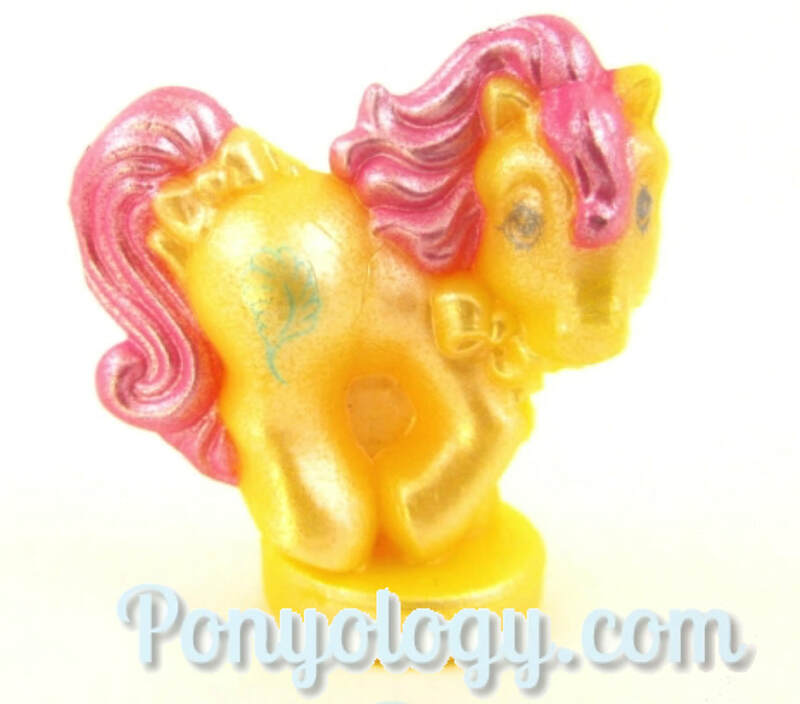 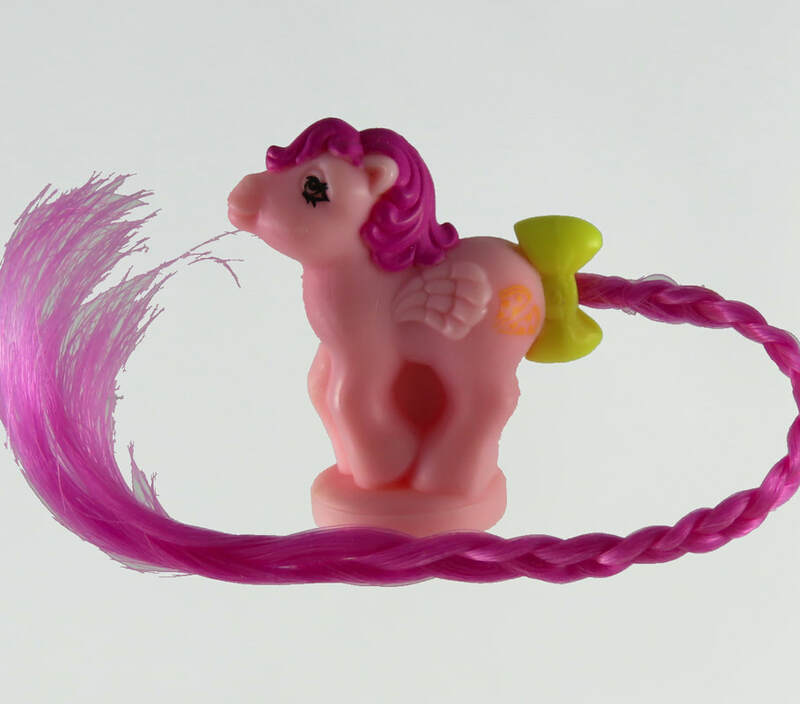 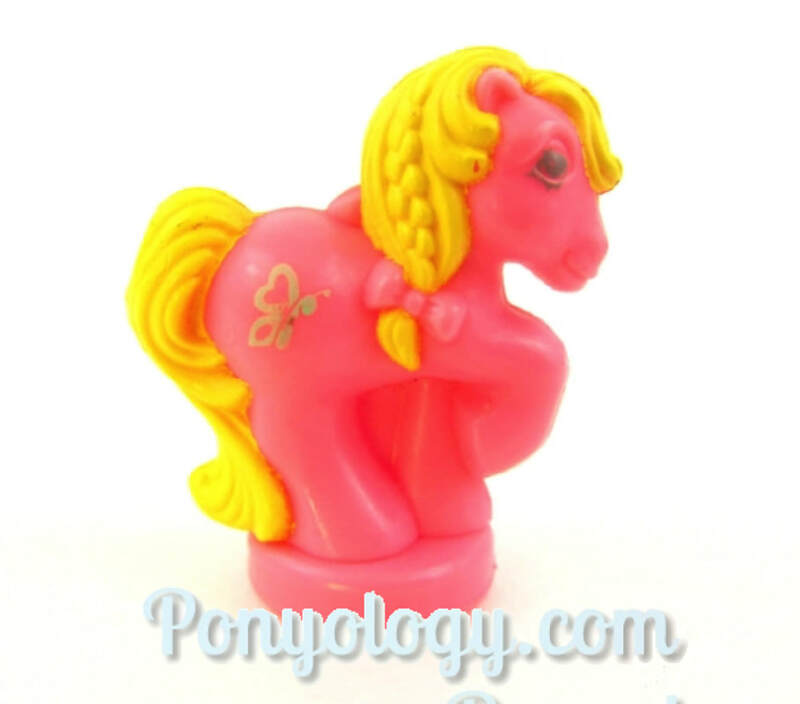 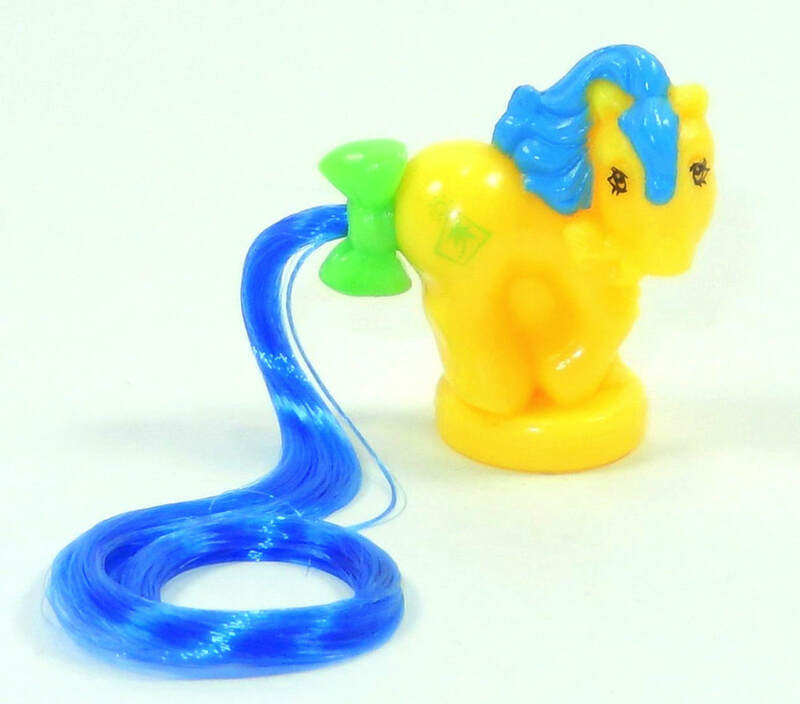 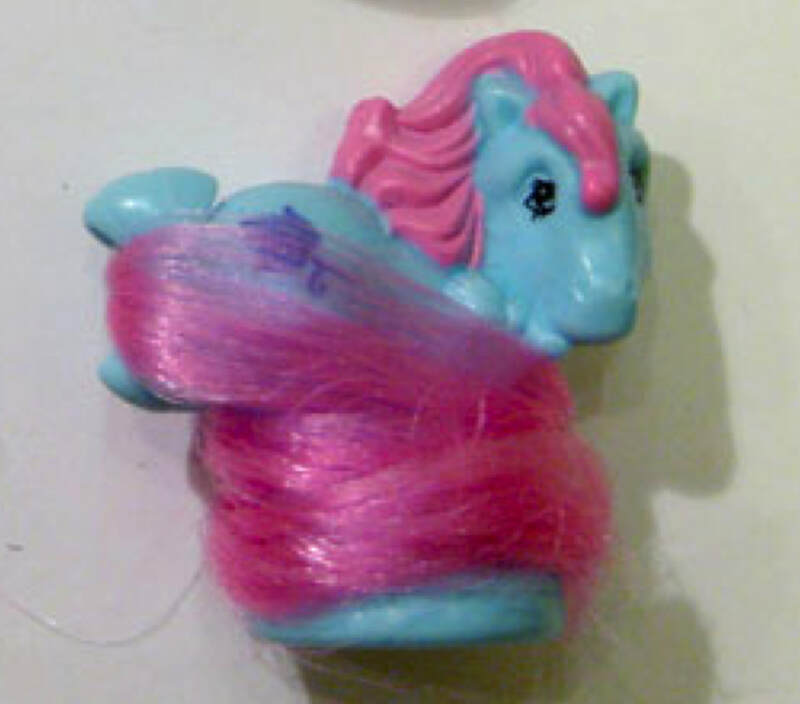 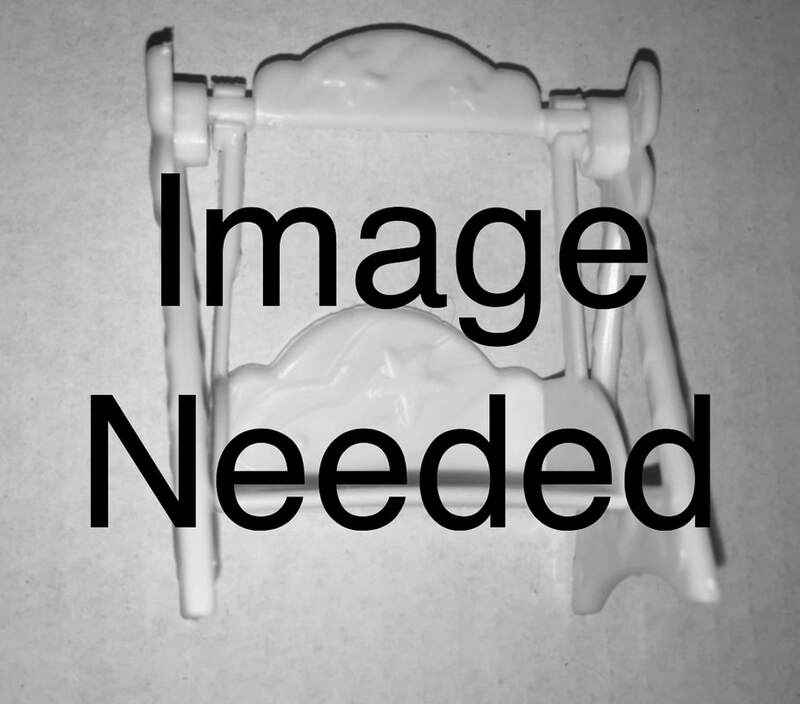 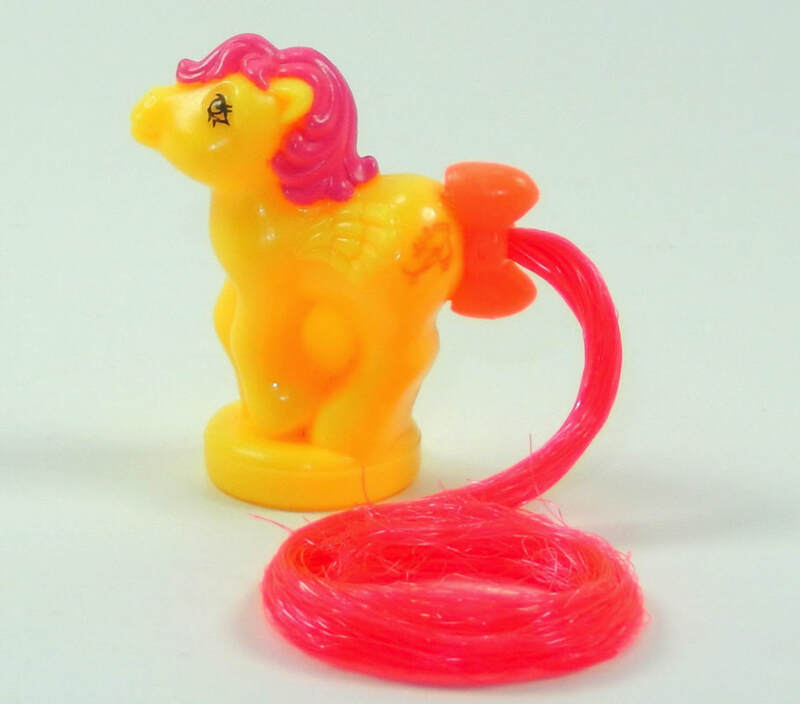 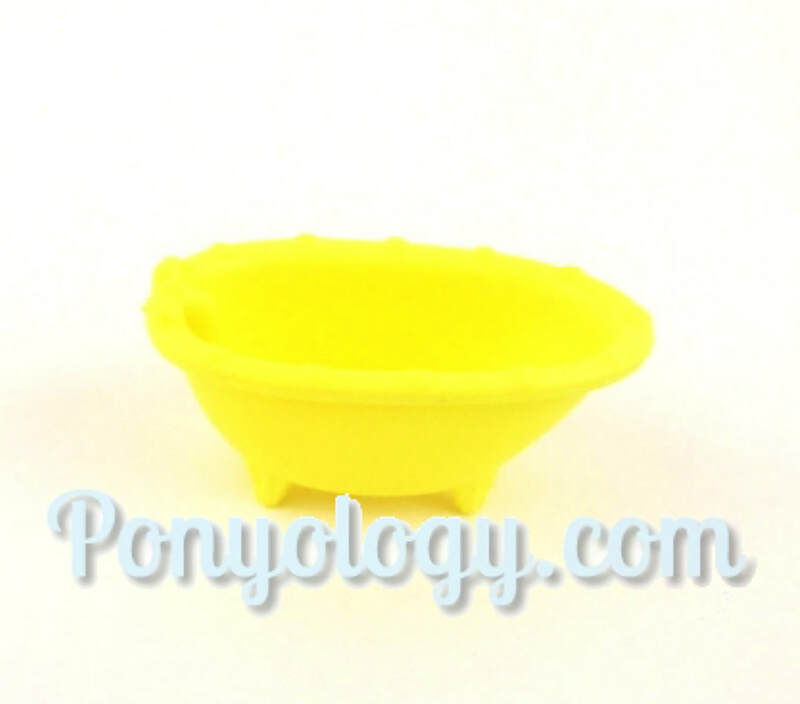 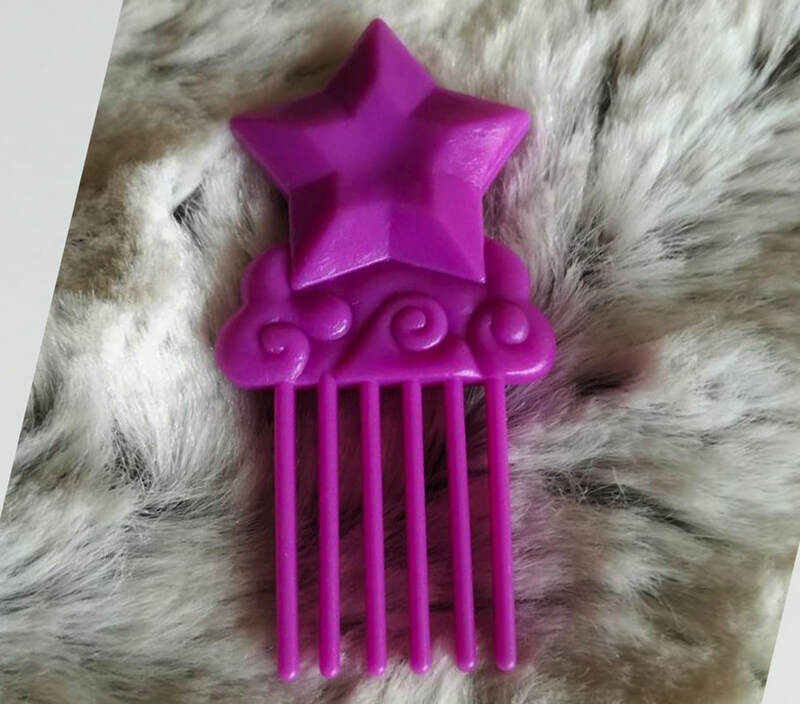 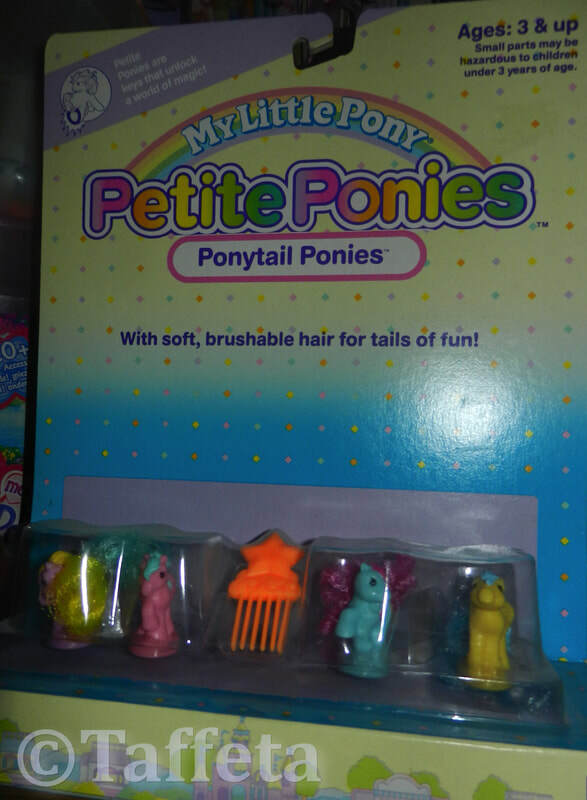 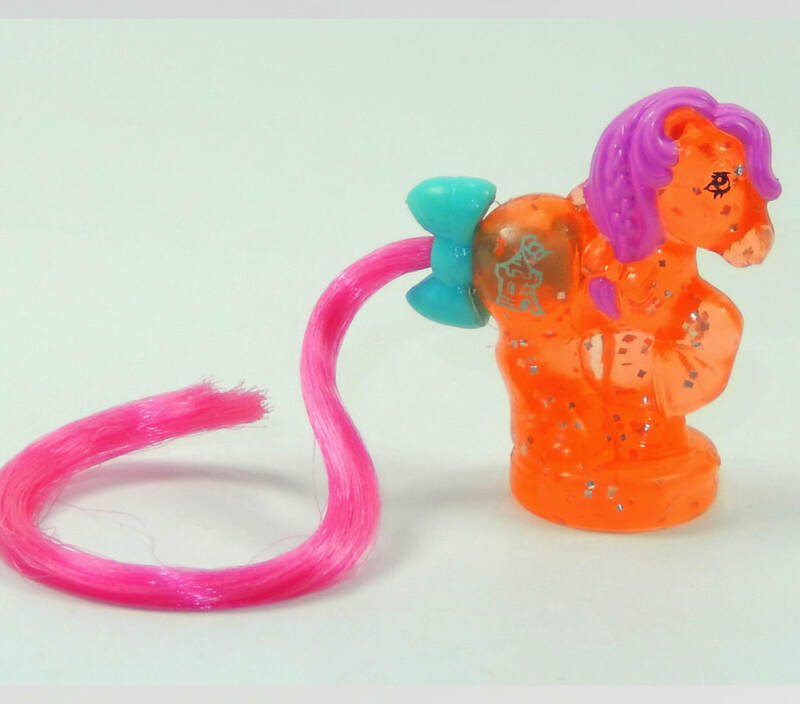 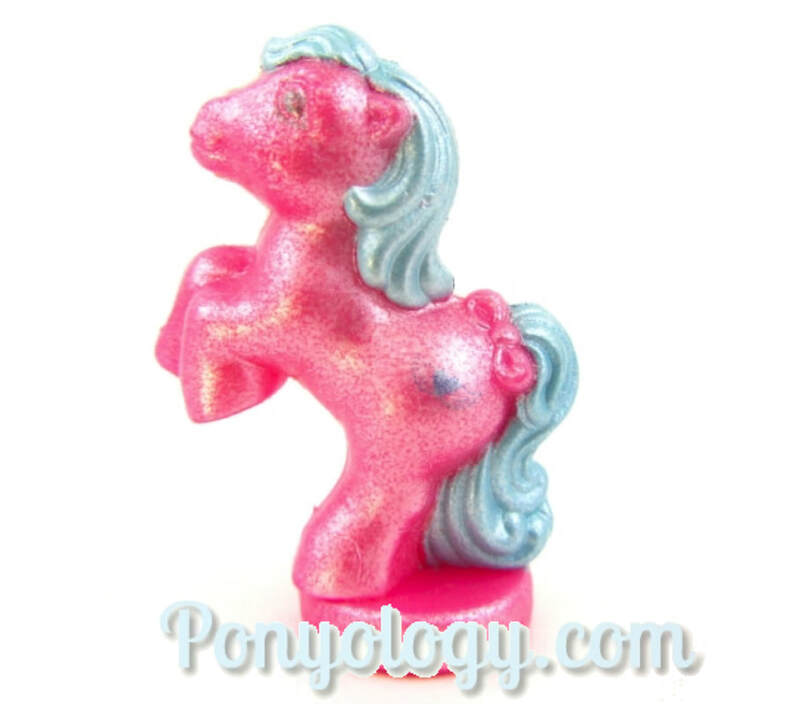 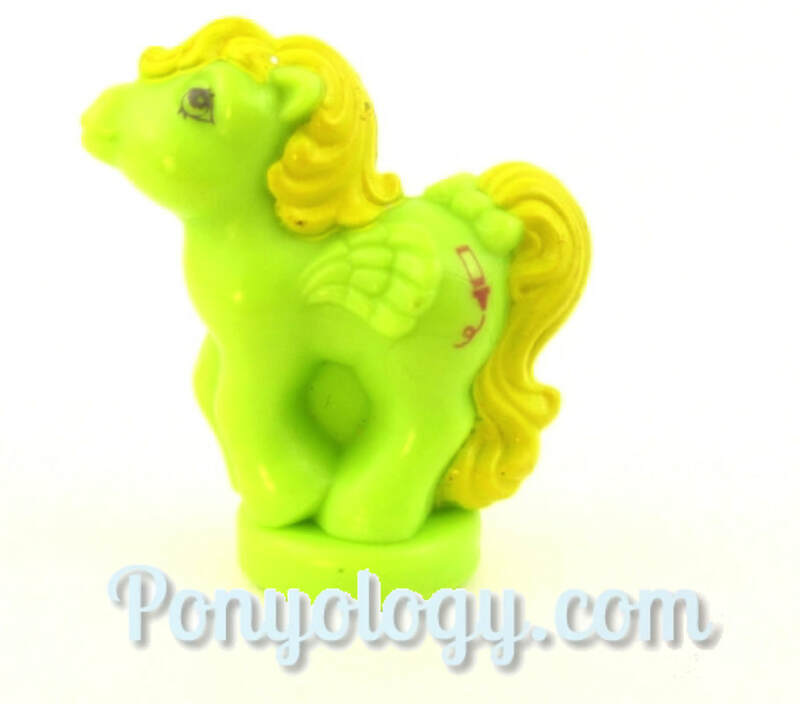 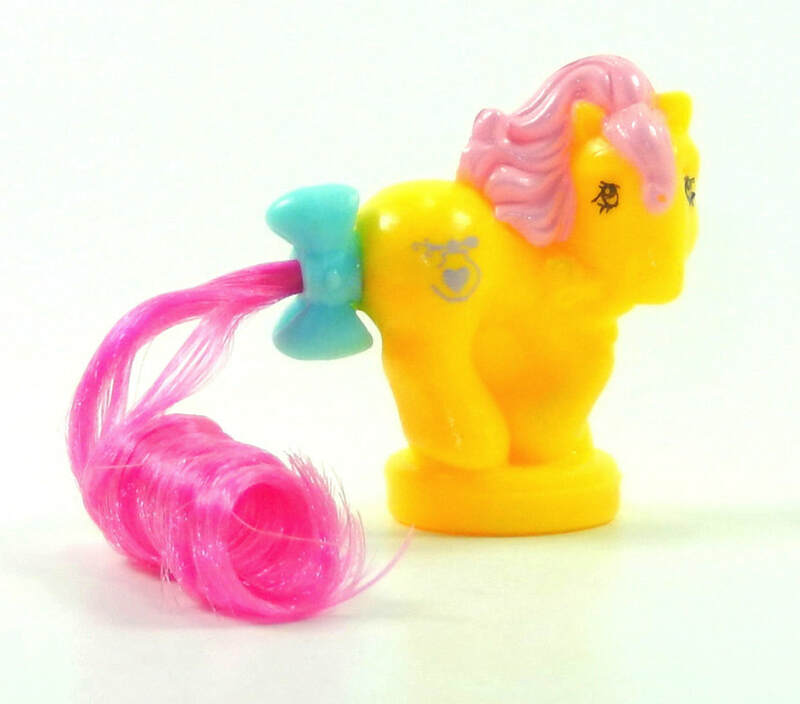 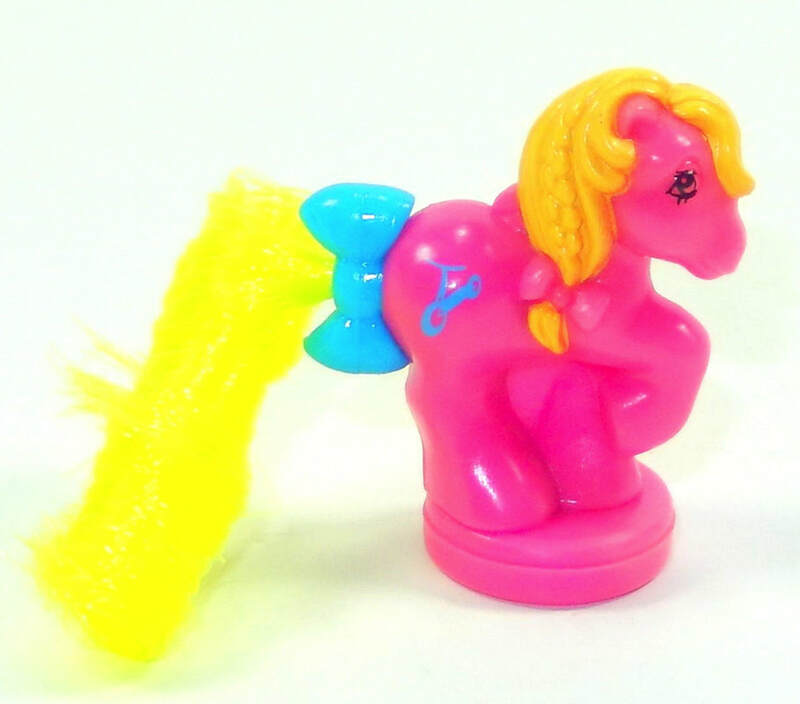 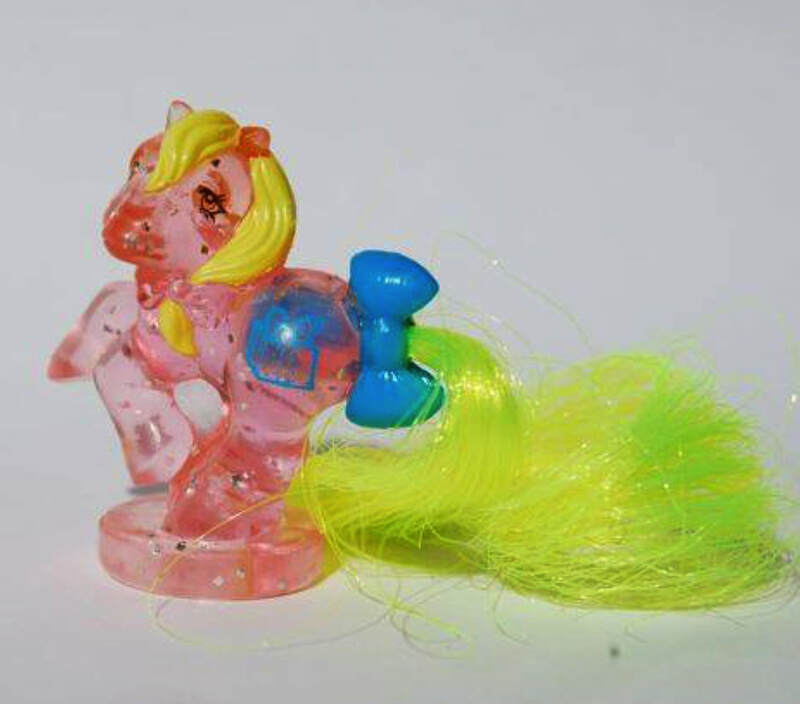 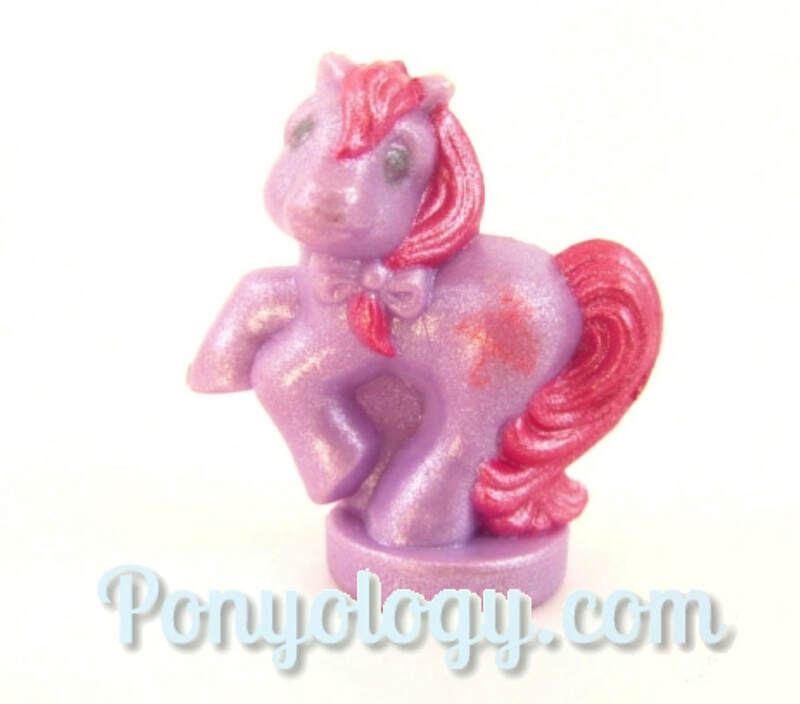 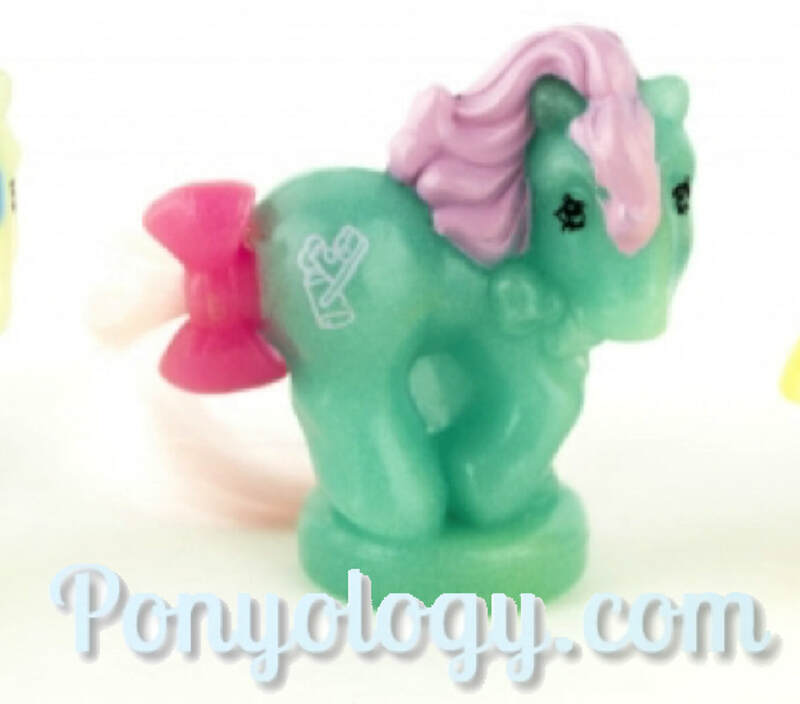 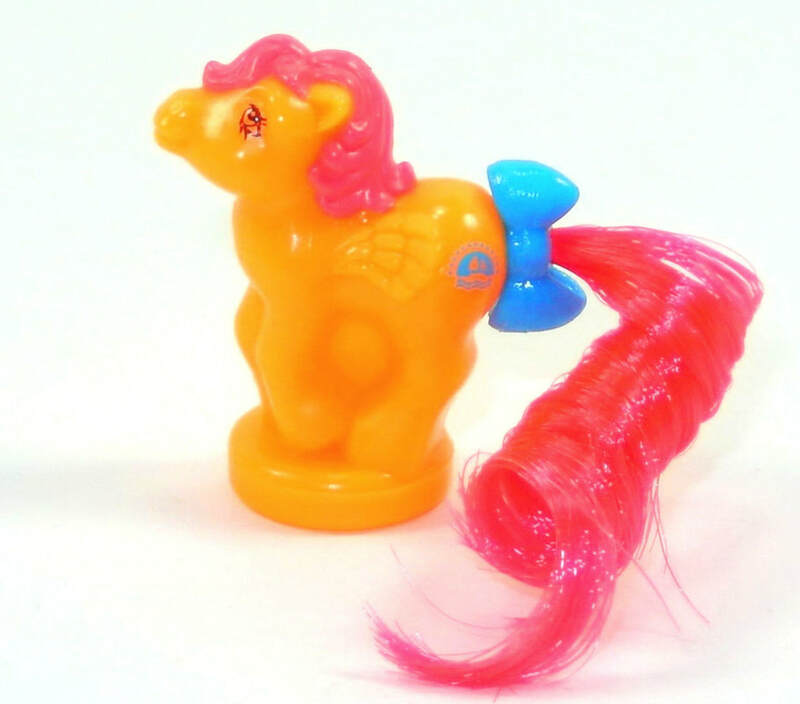 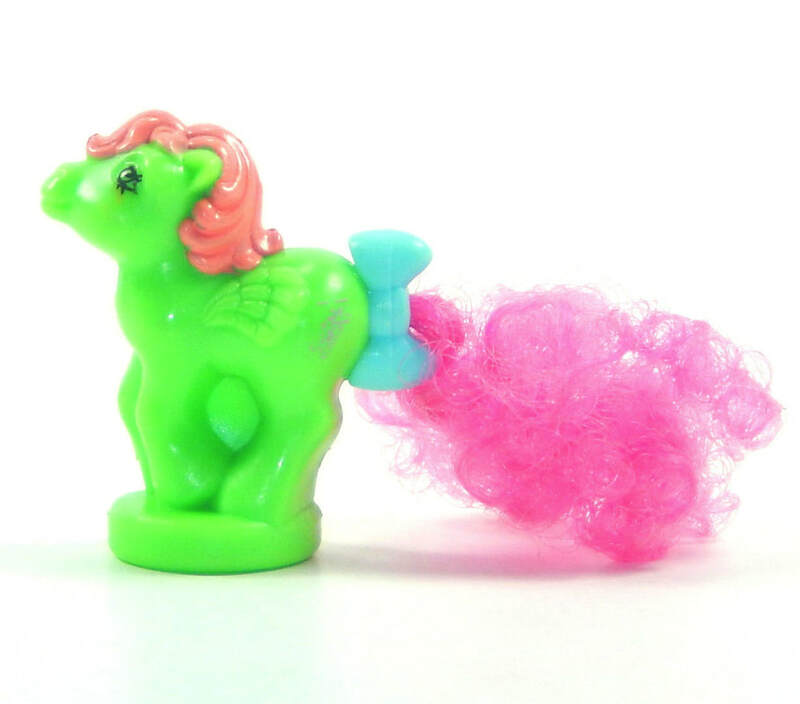 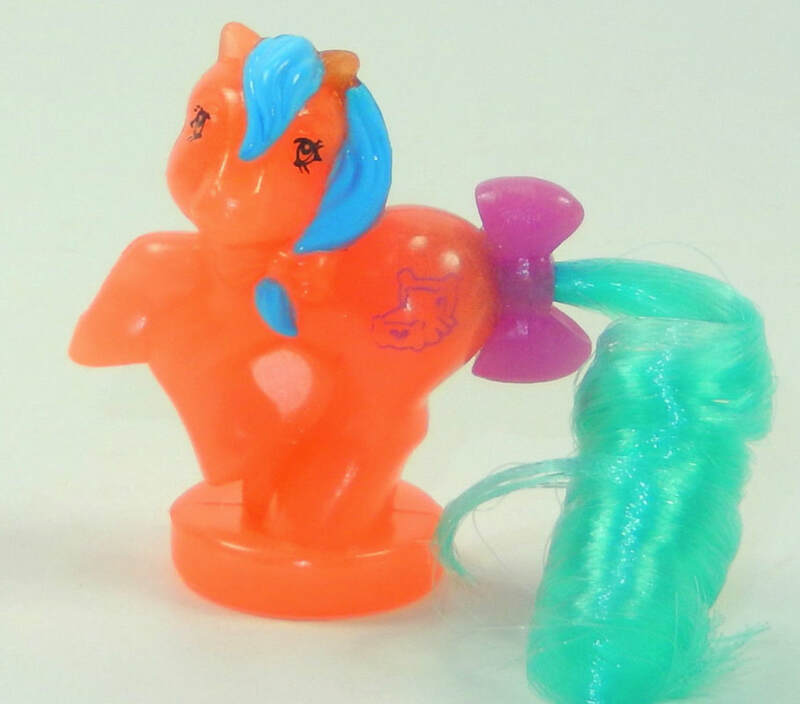 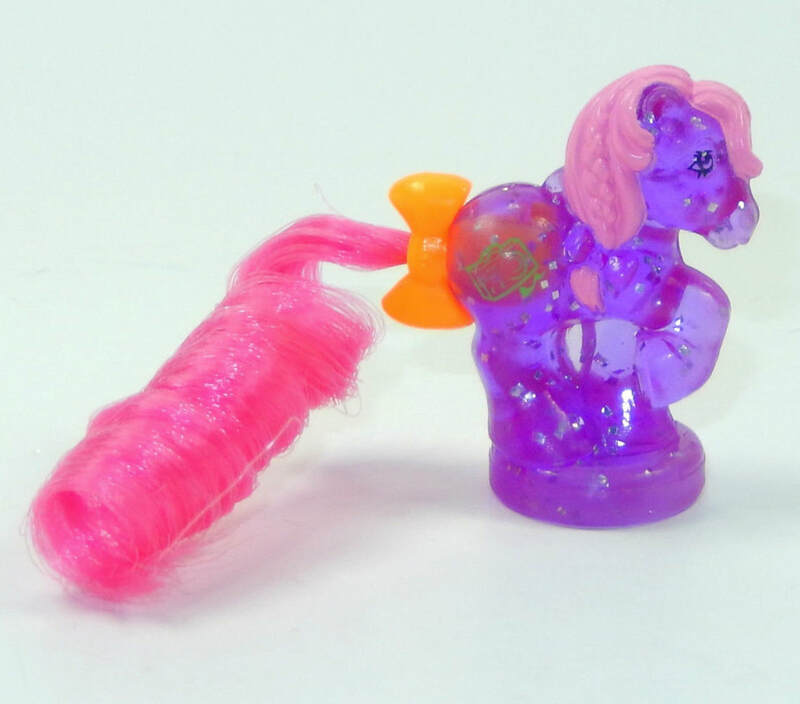 All of them have plastic manes and certain sets have pony hair tails that are brushable. 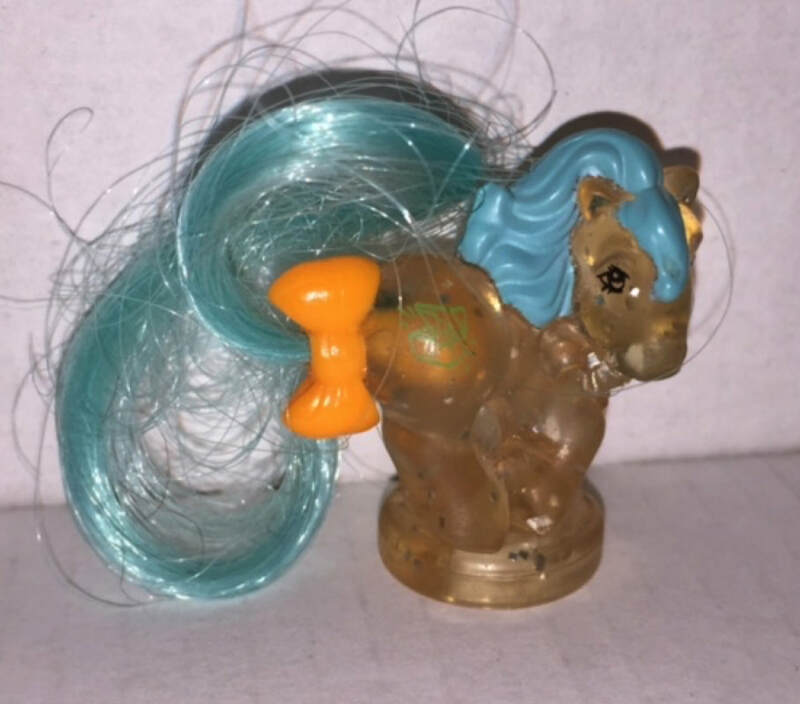 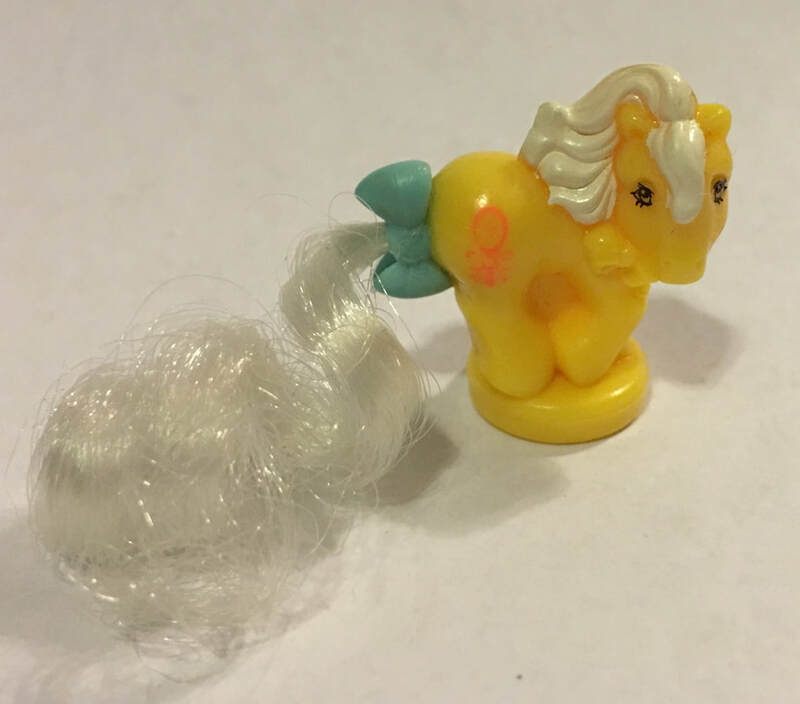 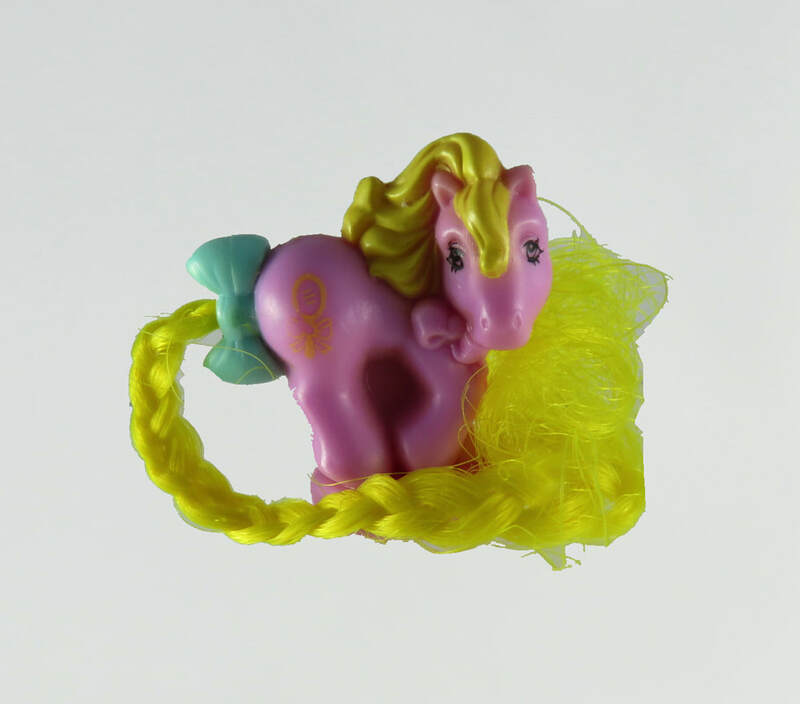 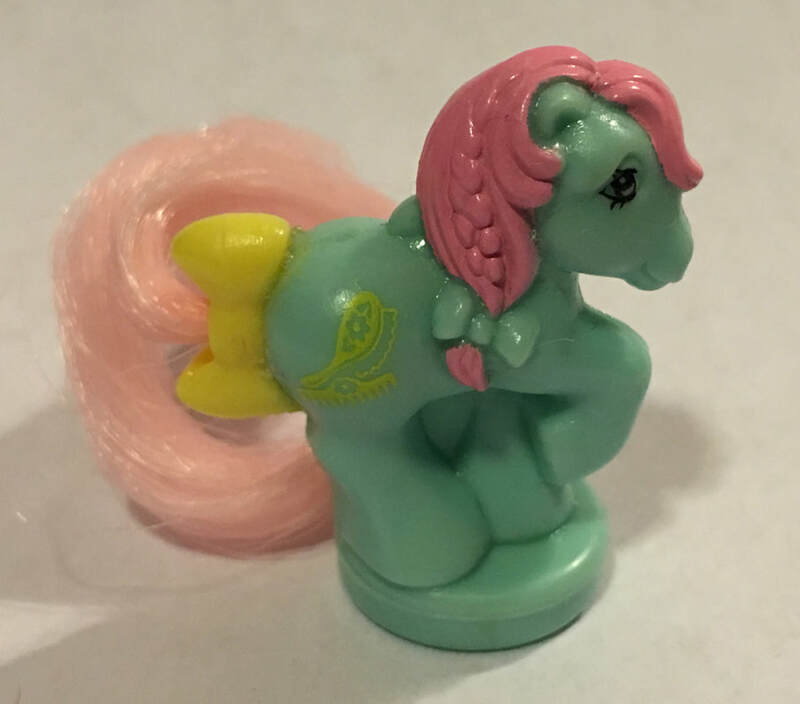 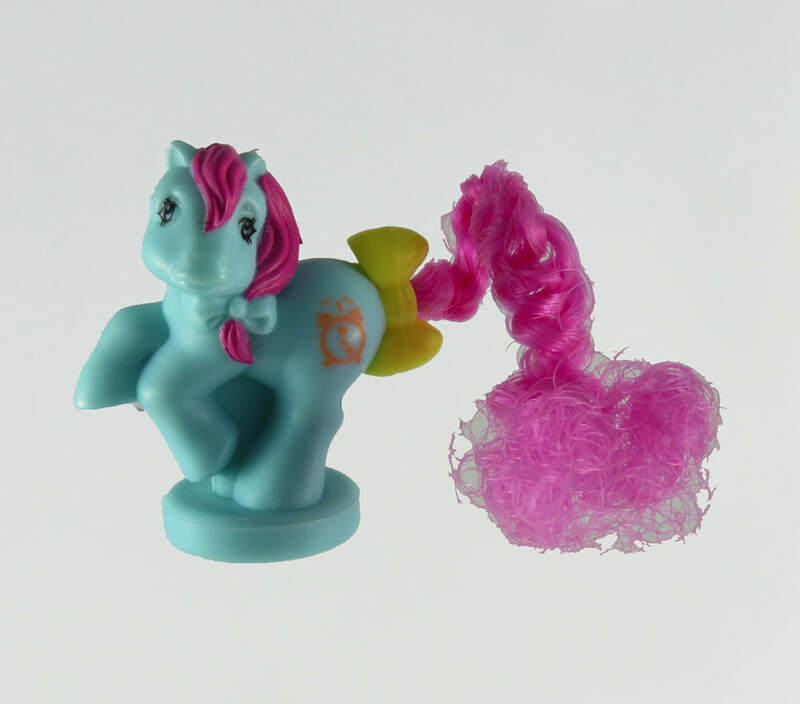 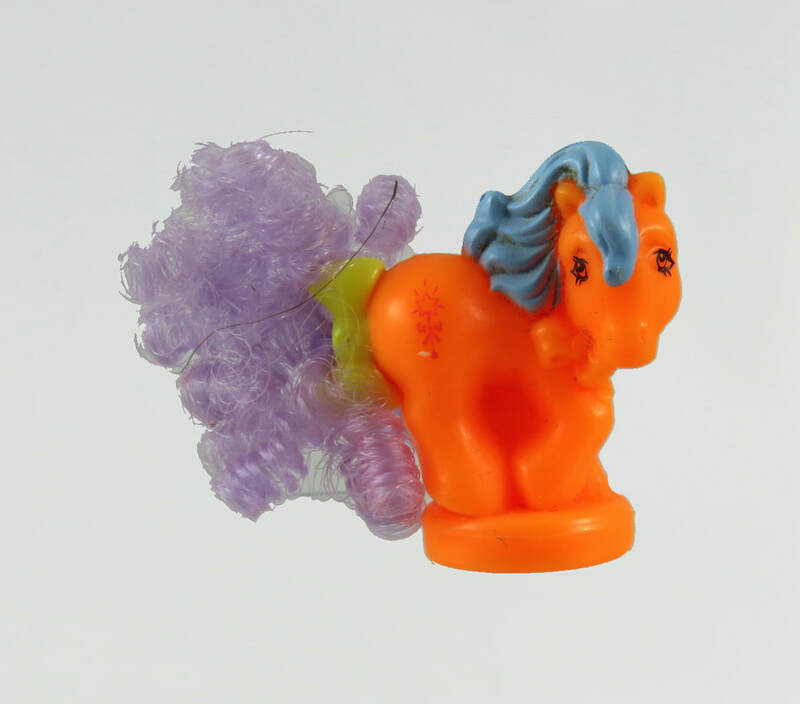 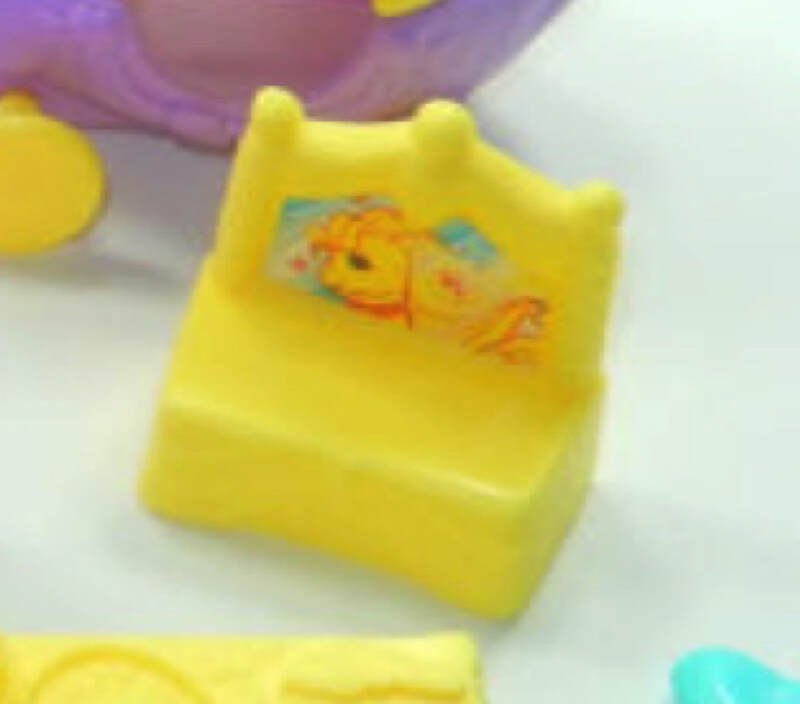 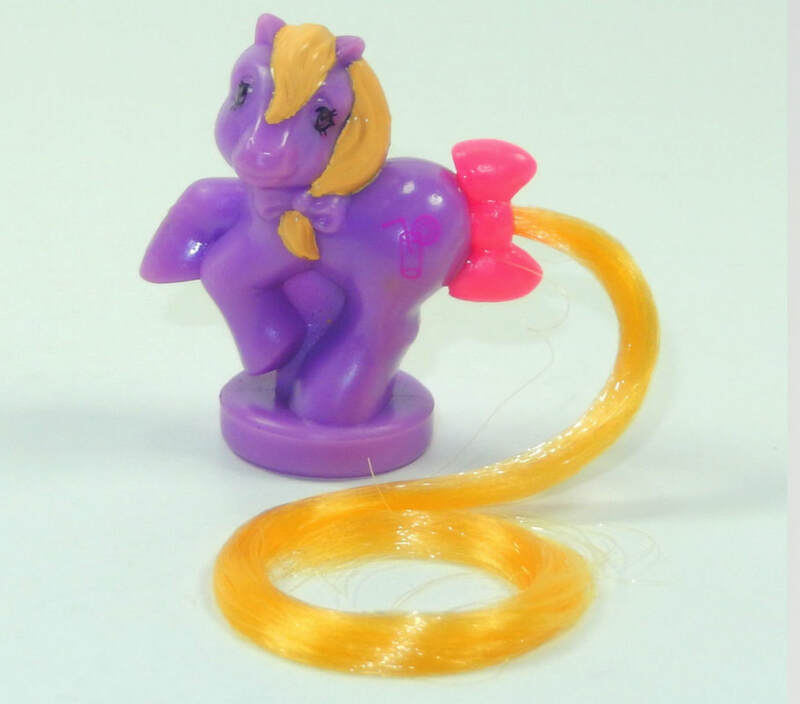 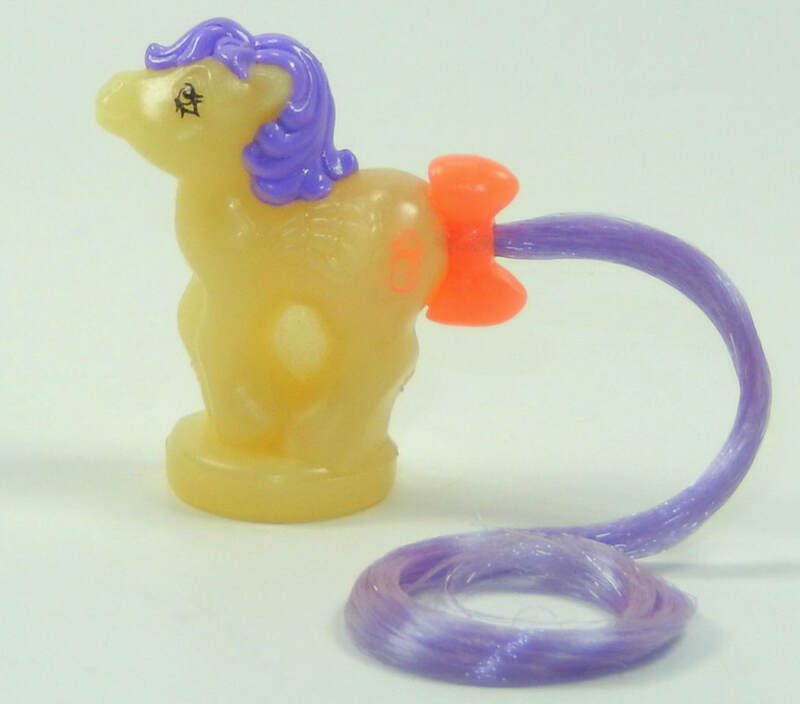 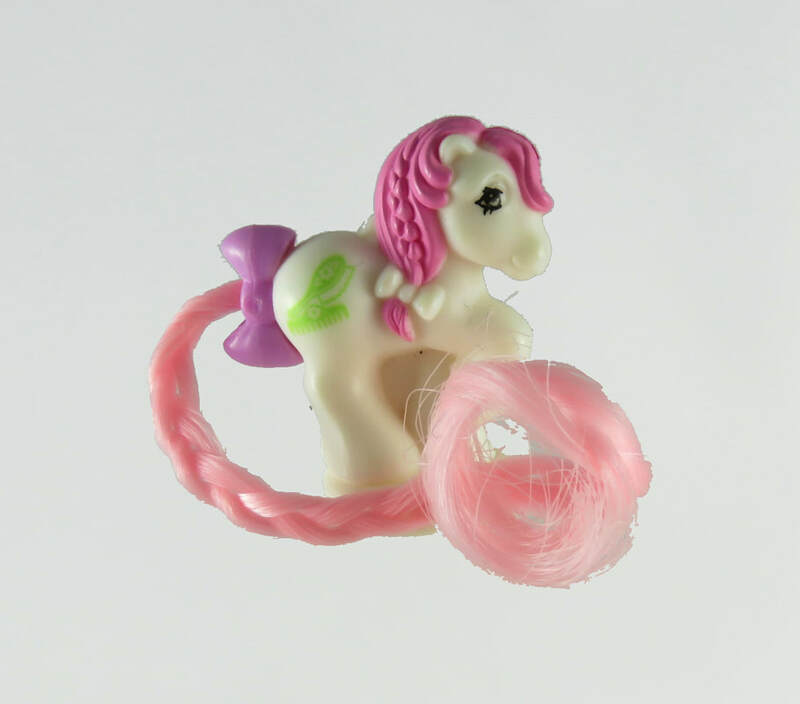 Interestingly the Playset Ponies all come with plastic moulded tails in North America but with real hair in the European release. 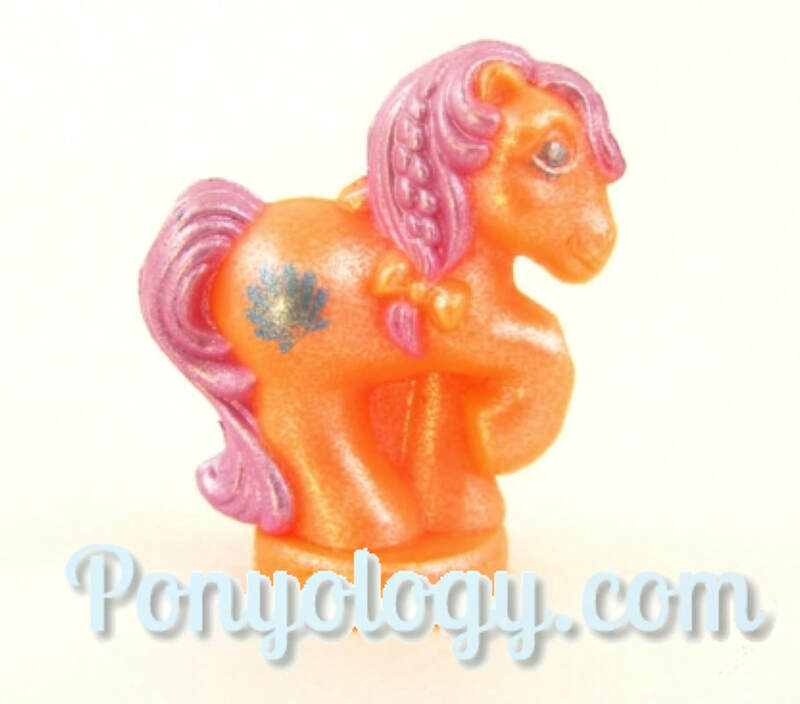 Most of them weren't given names and some have identical symbols so they aren't always easy to tell apart or describe. 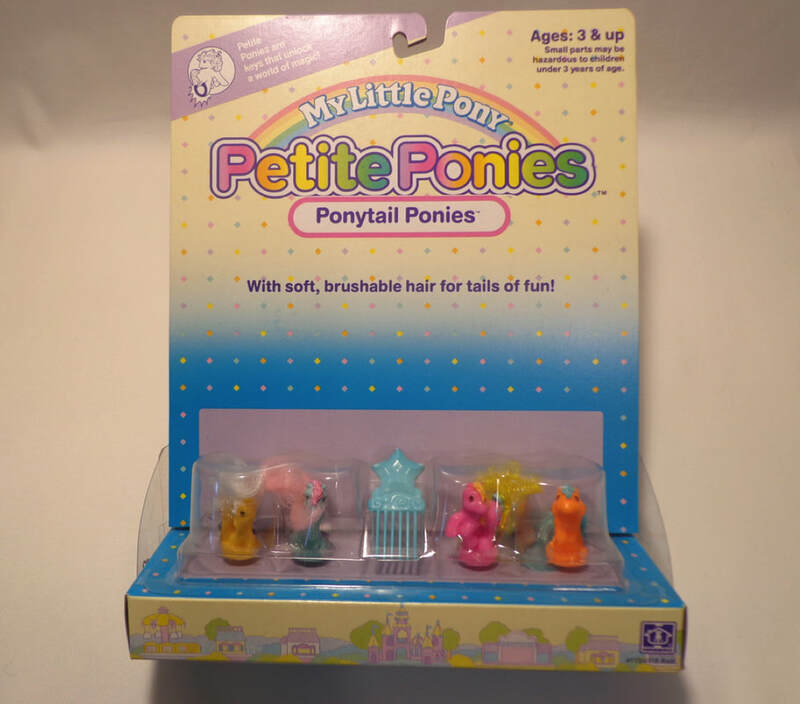 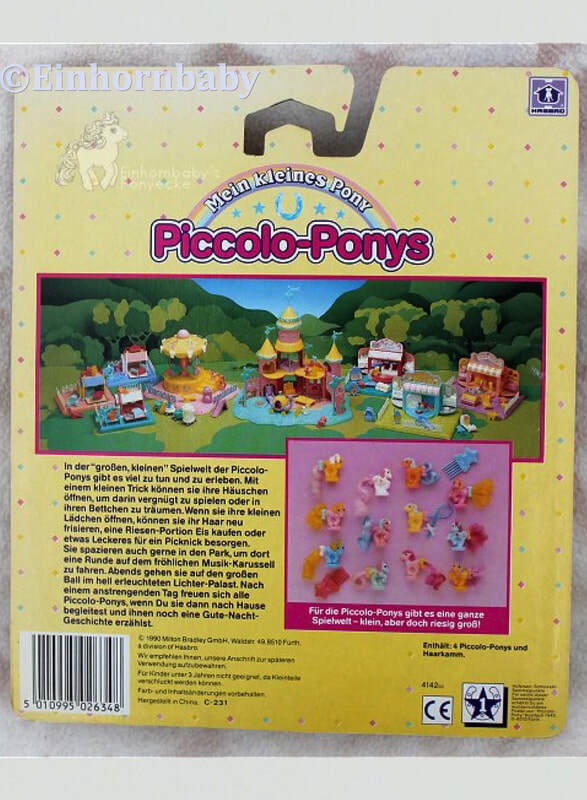 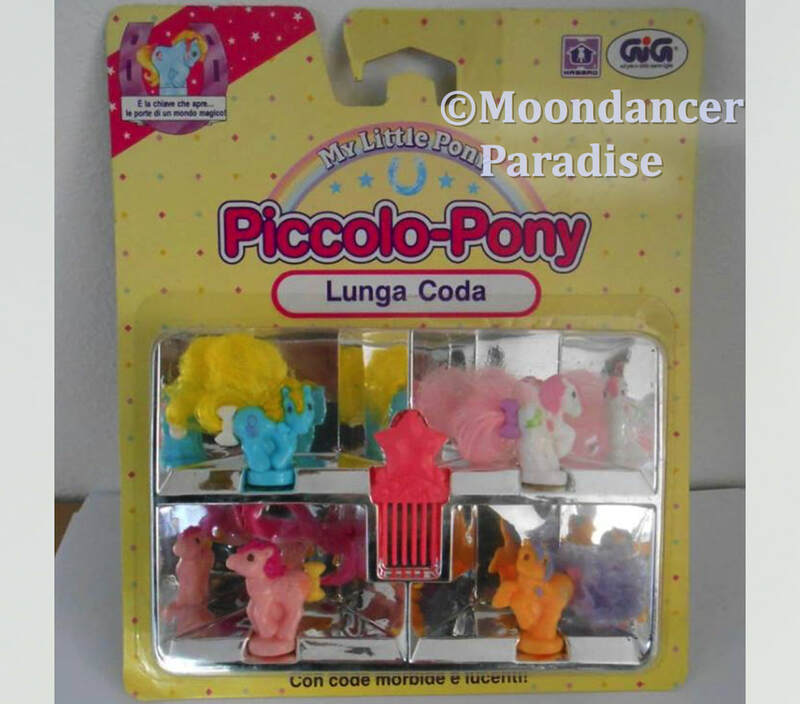 Only the Playset Ponies are all given names but just to be confusing some of them were given different names for the North American and European Release. 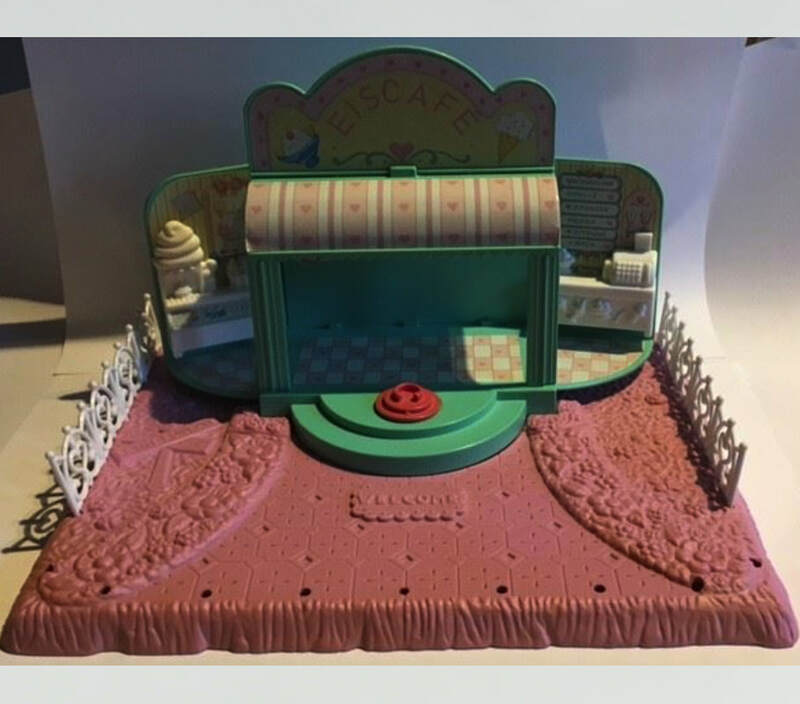 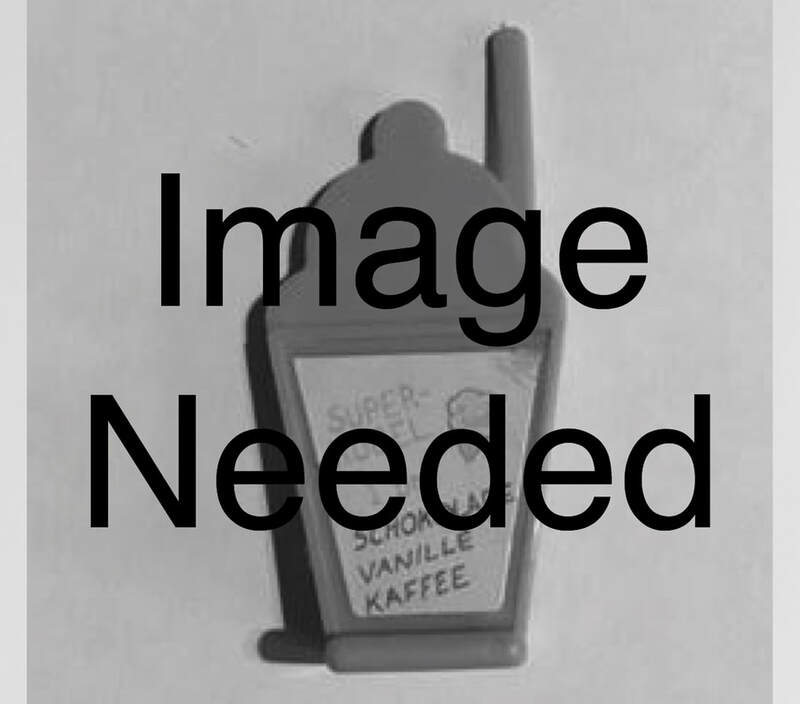 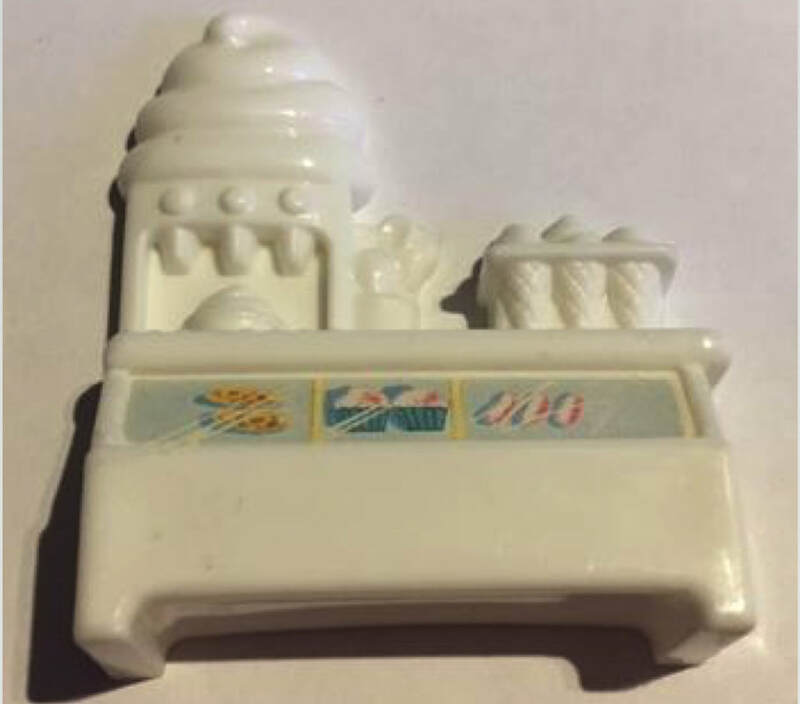 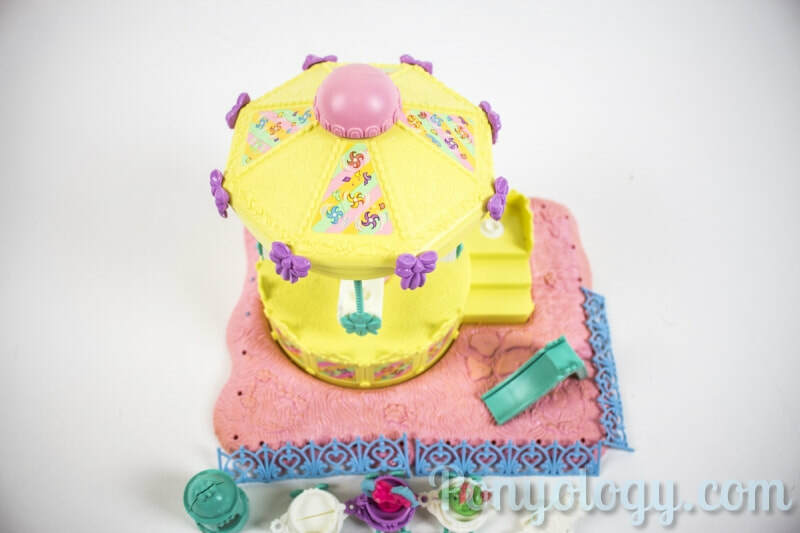 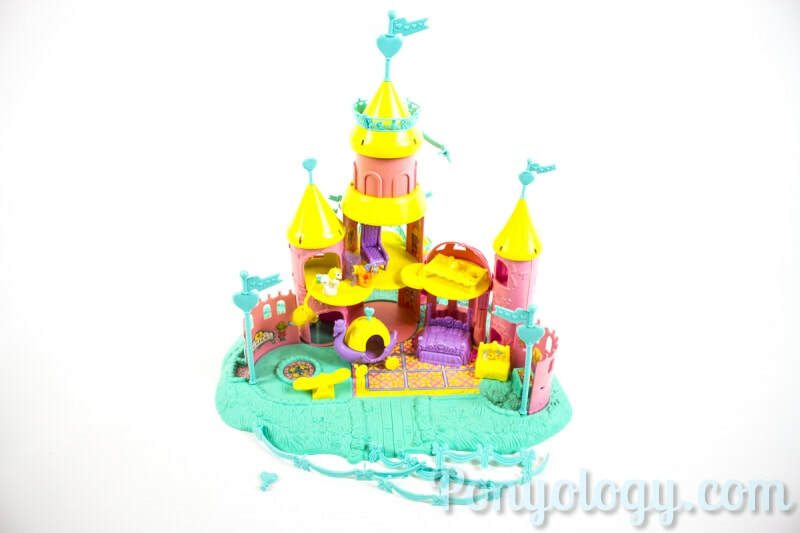 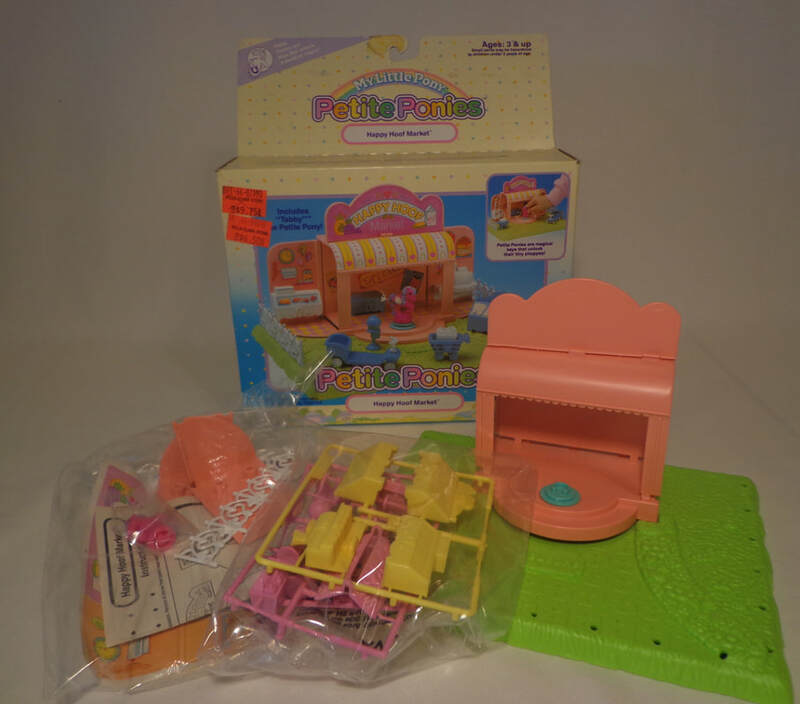 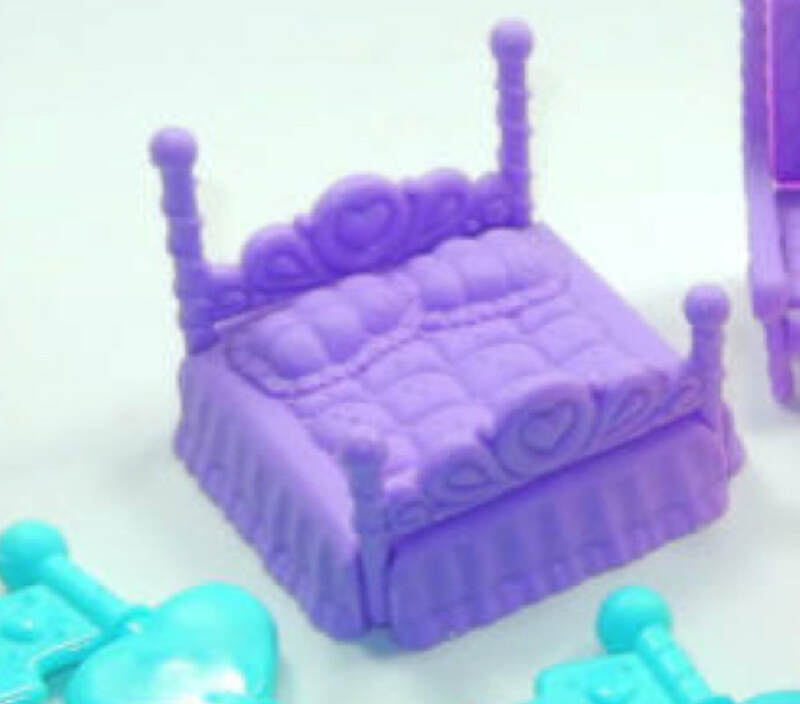 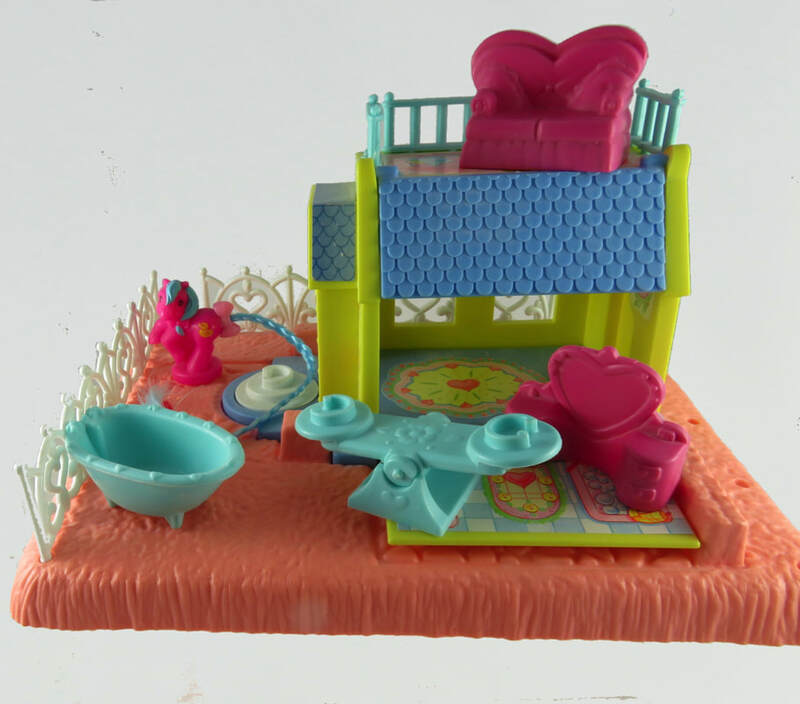 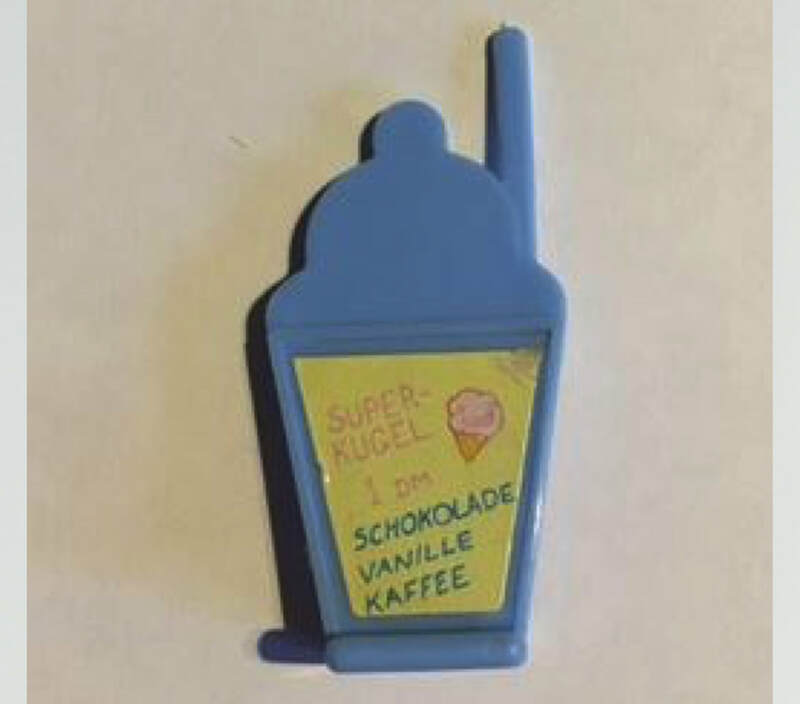 Although it was featured in a leaflet in 1989 the Sweet-Ice Delight Cottage Playset was never made. 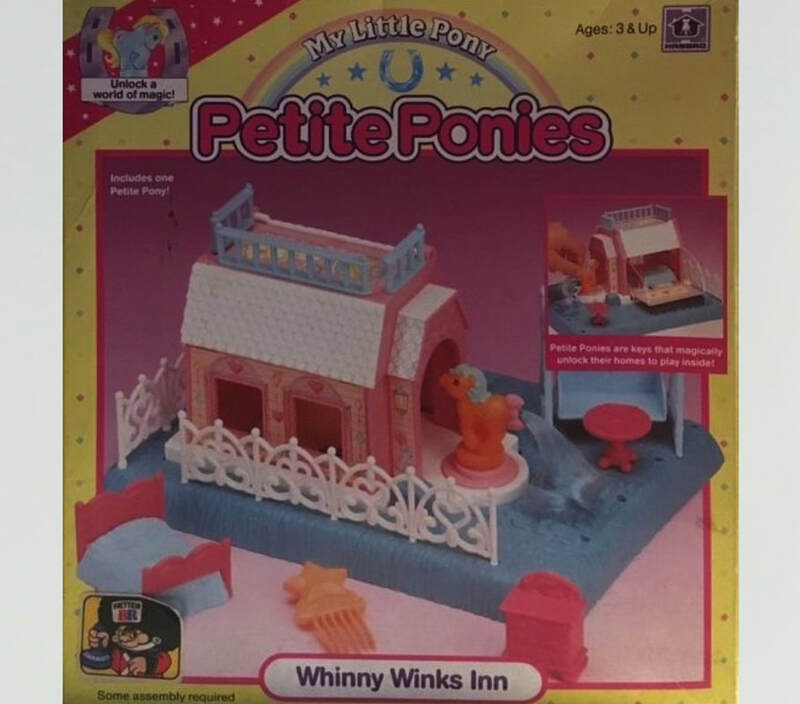 I'm still learning about Petite Pony Buildings so it's possible there are mistakes in this section. 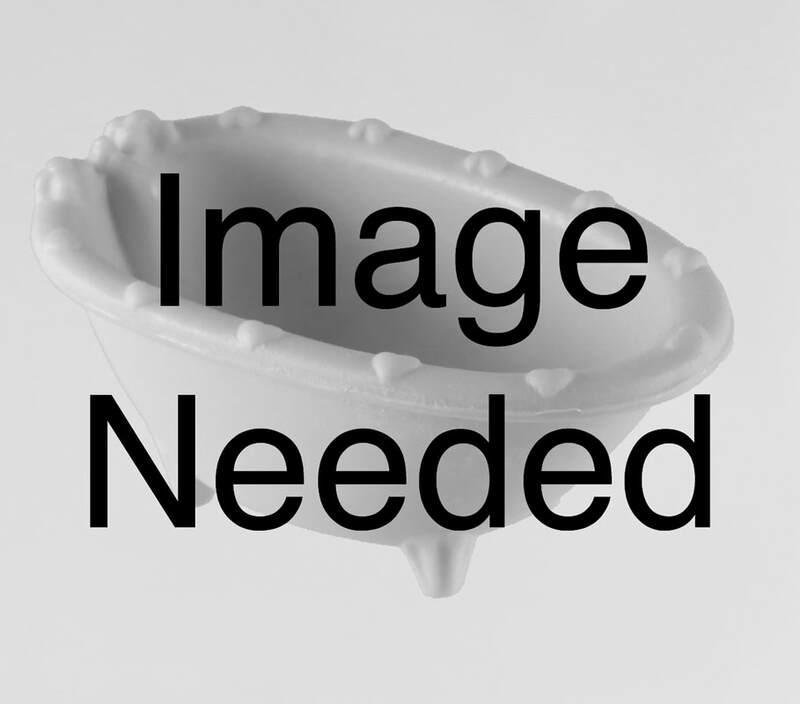 If you can help with information or see any errors please get in touch. 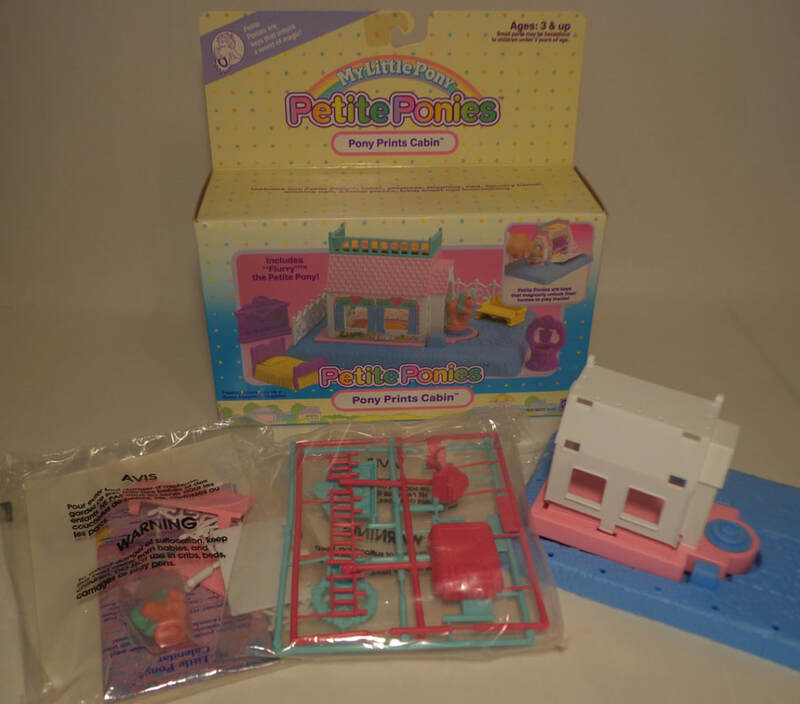 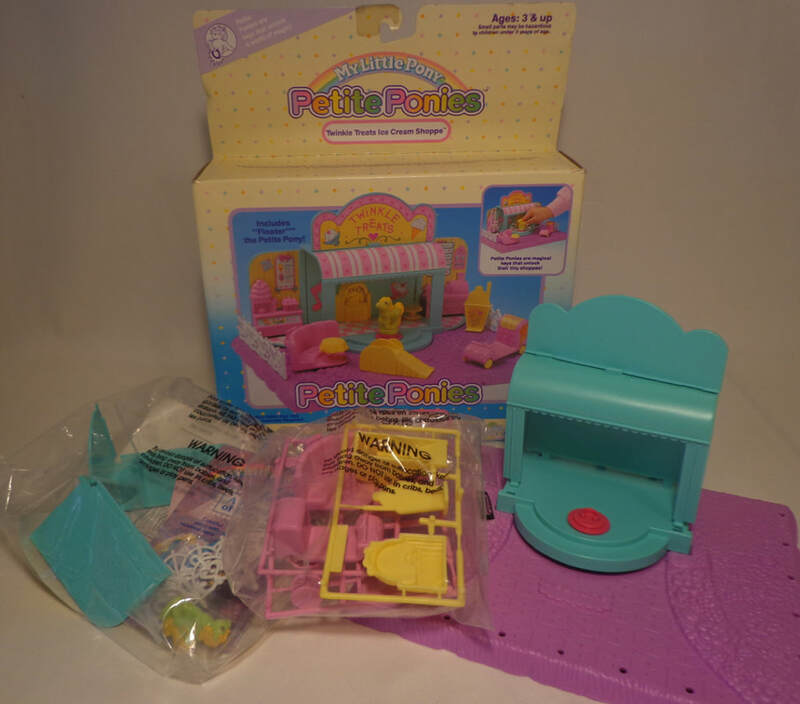 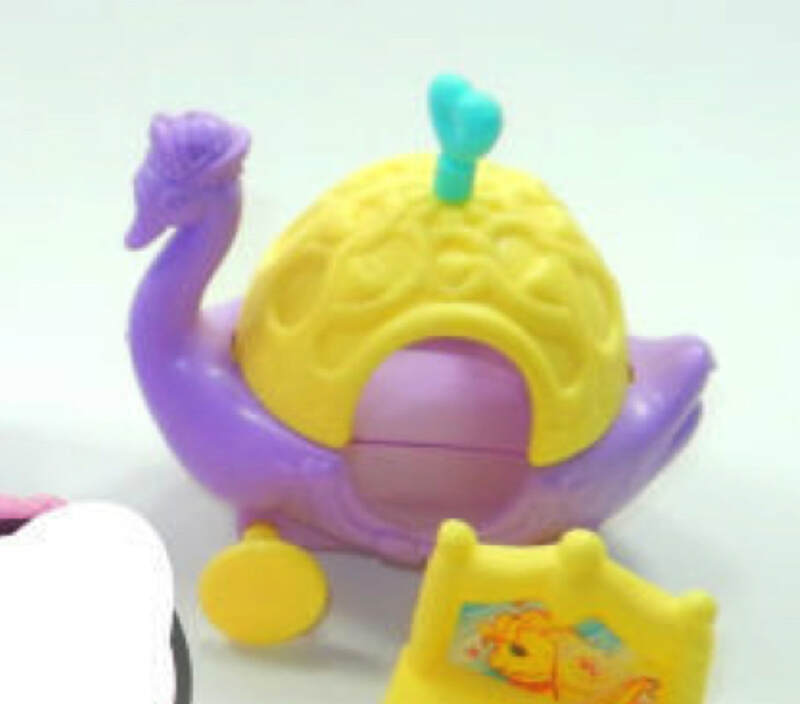 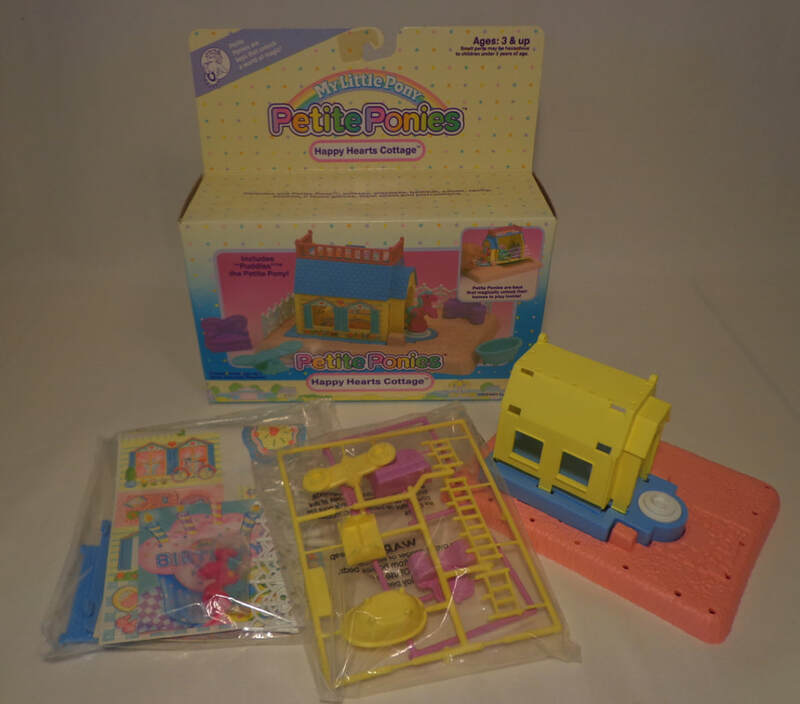 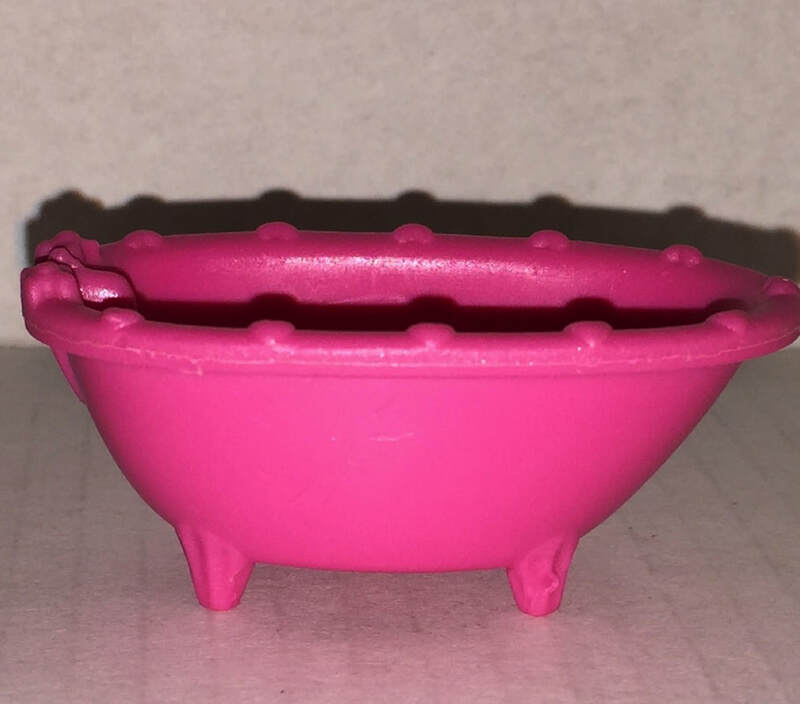 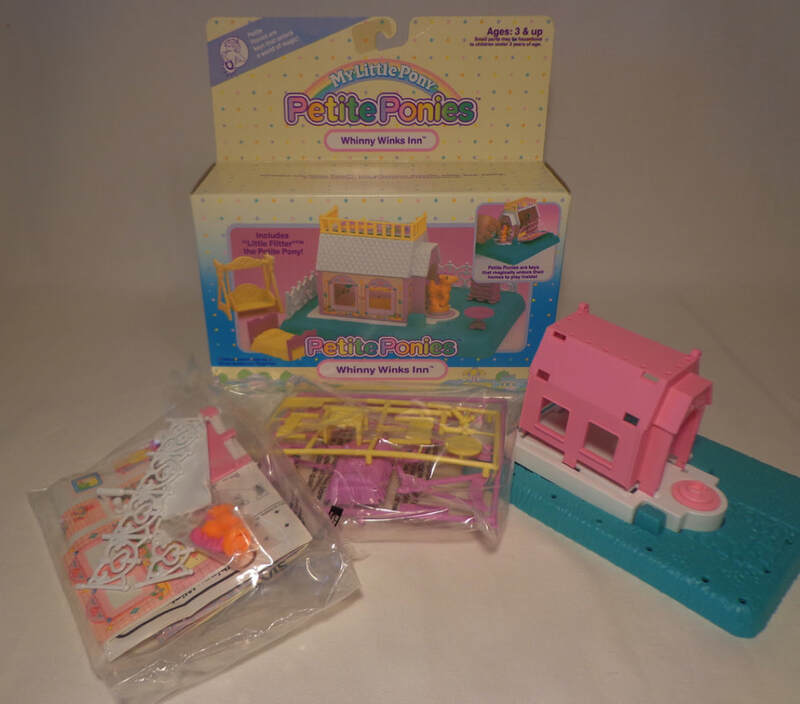 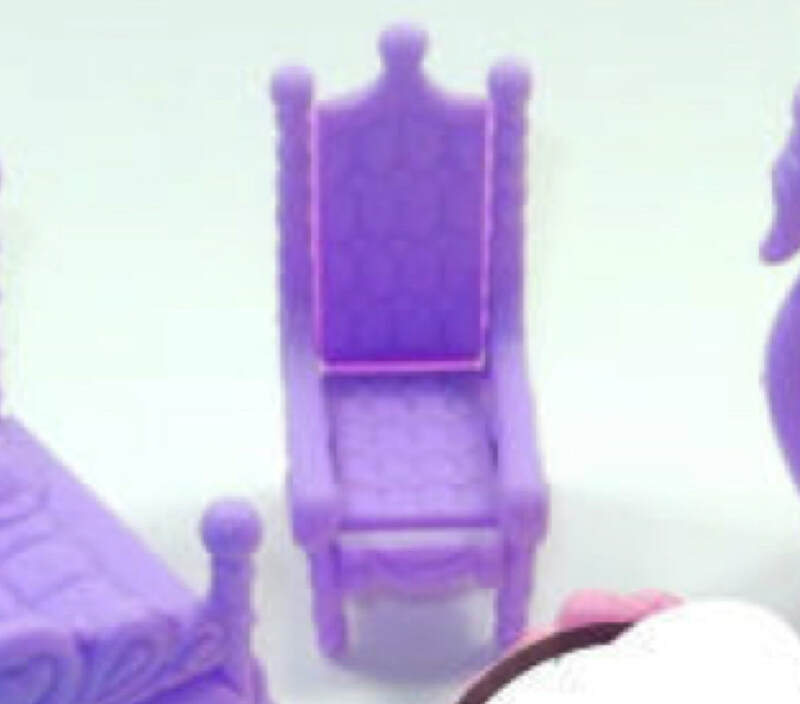 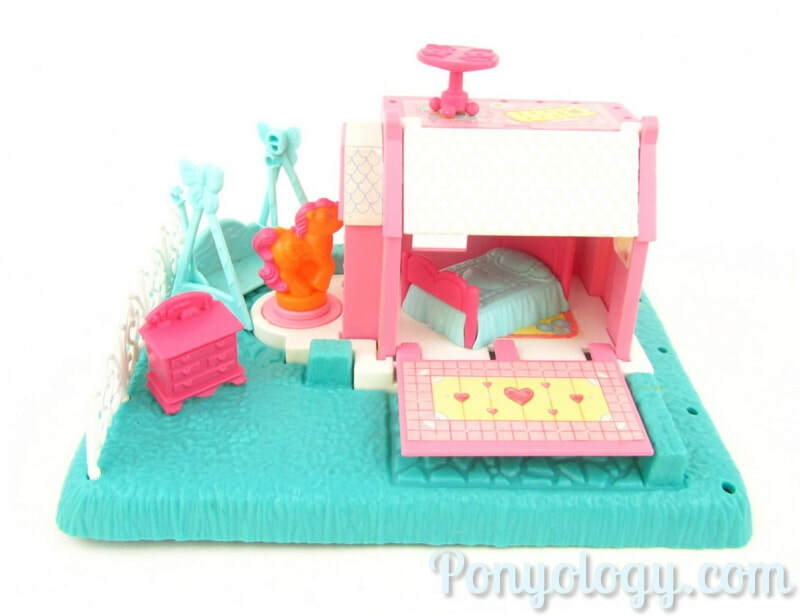 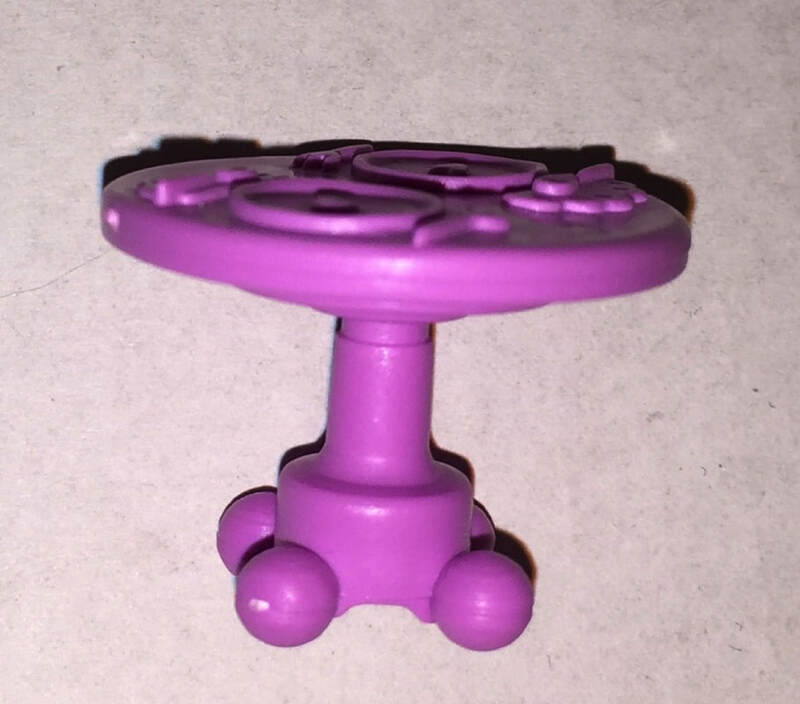 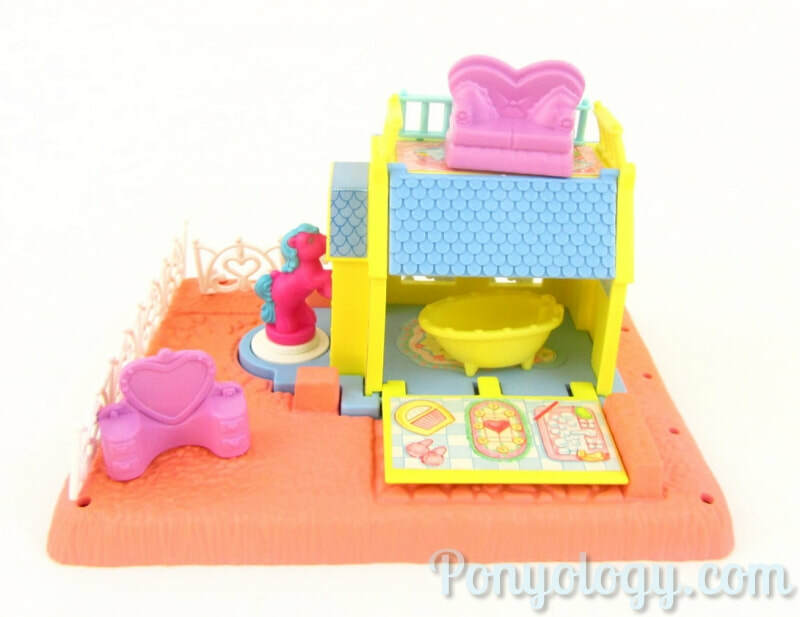 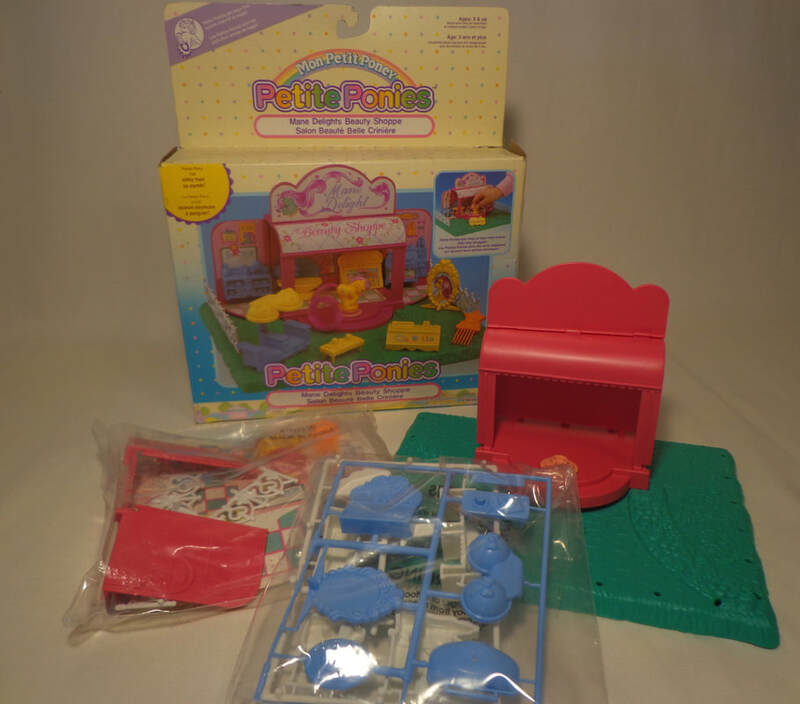 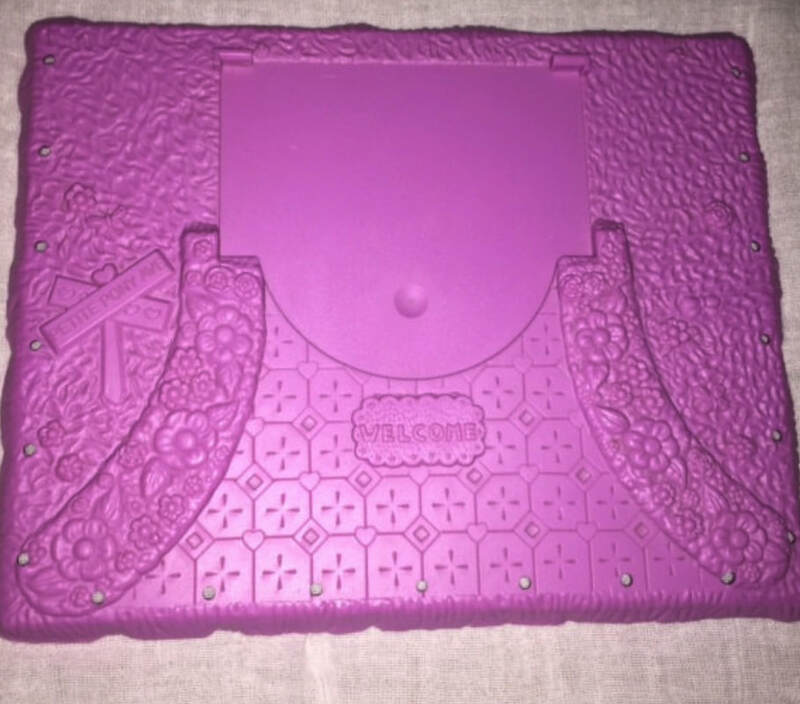 Each House set came with two pieces in either pink and yellow or aqua and purple. 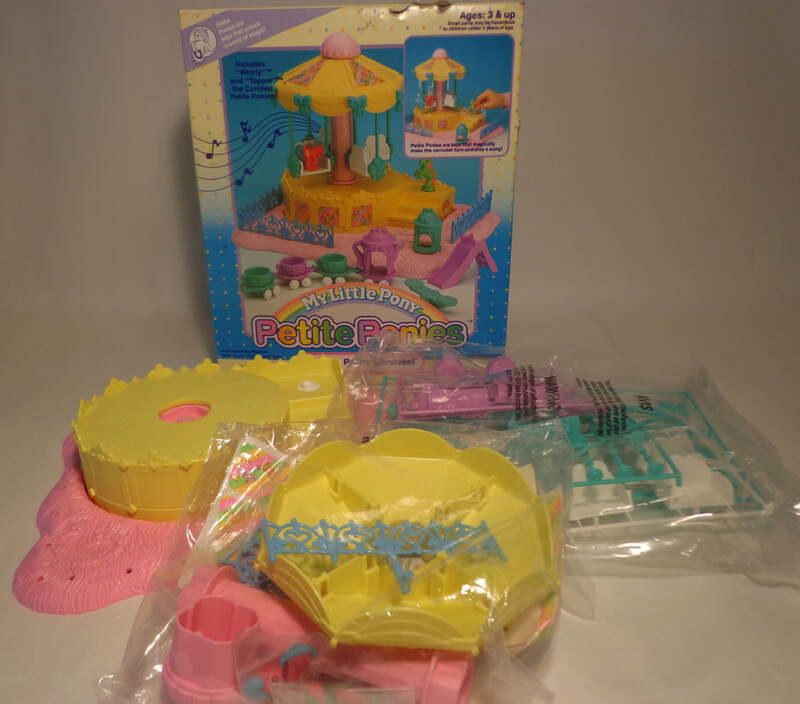 Shops had pieces in Blue and white or purple and yellow. 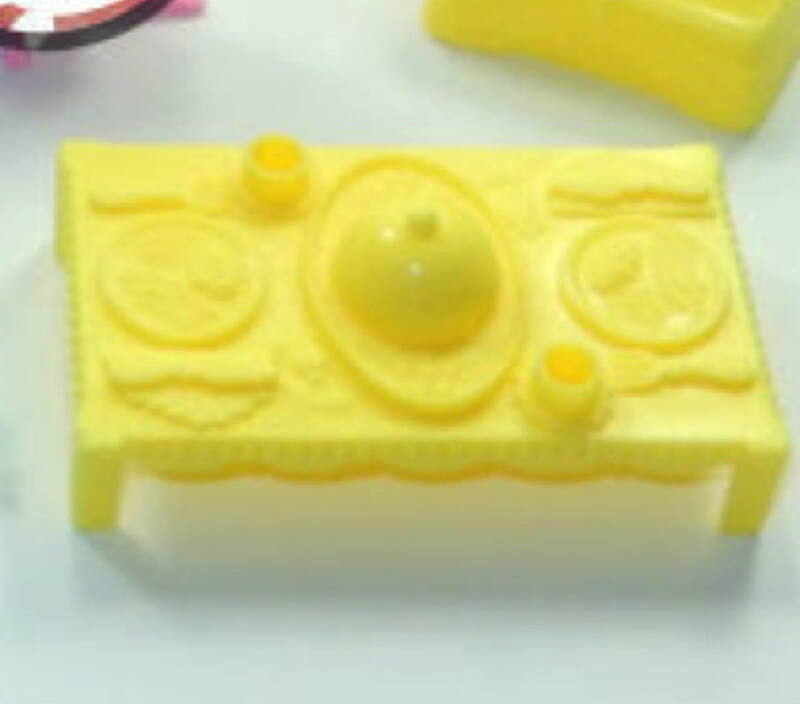 As you can see here half of the accessories are yellow with the pink ones underneath. 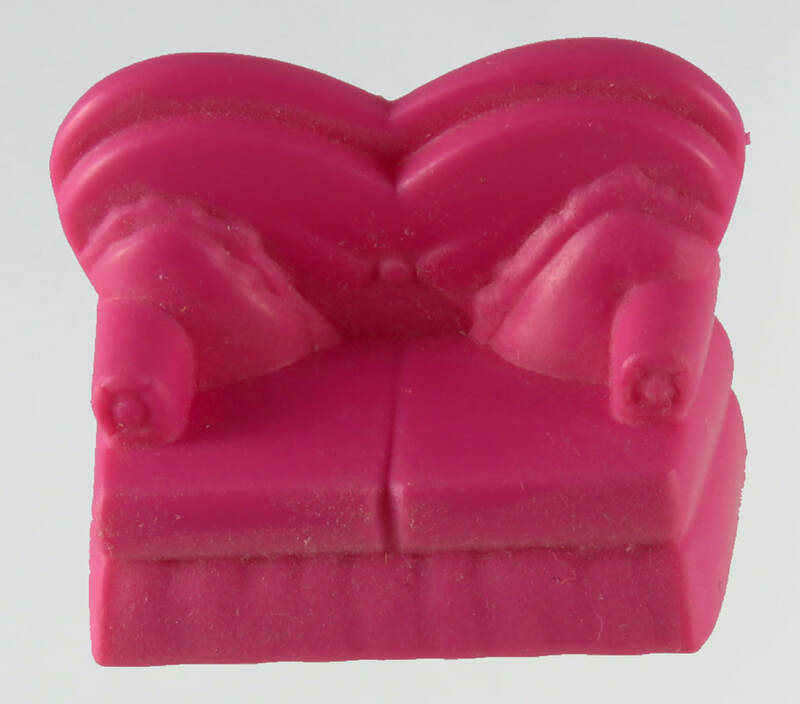 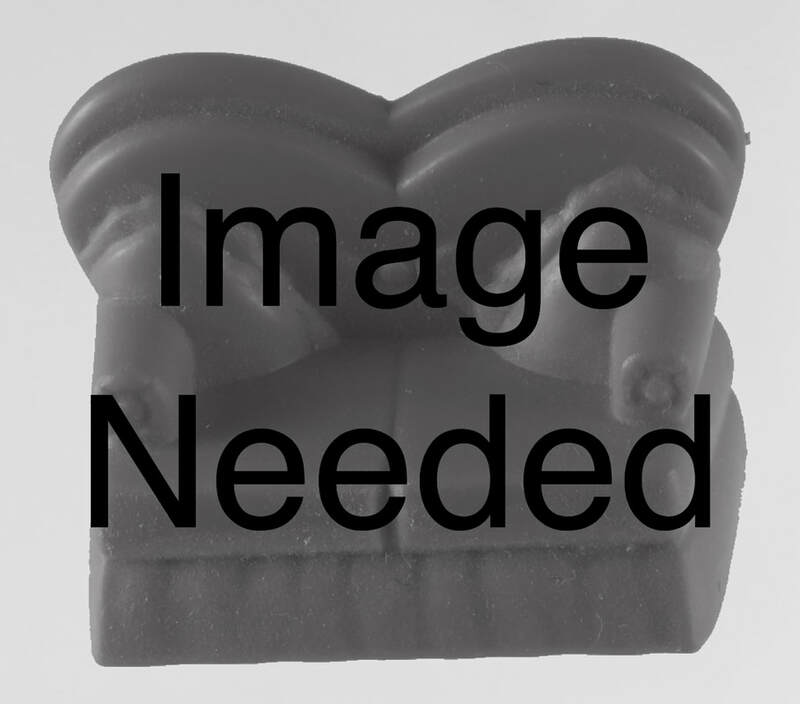 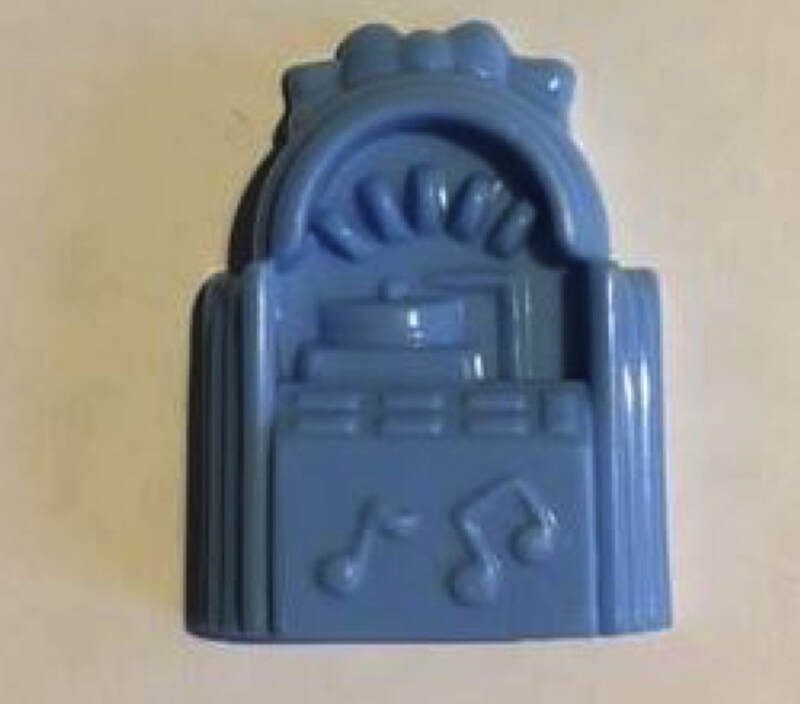 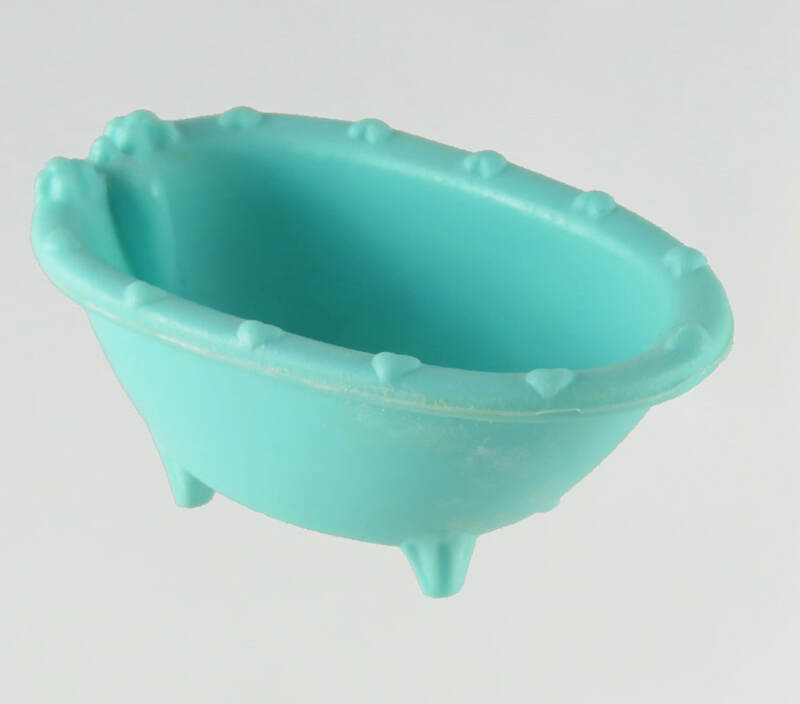 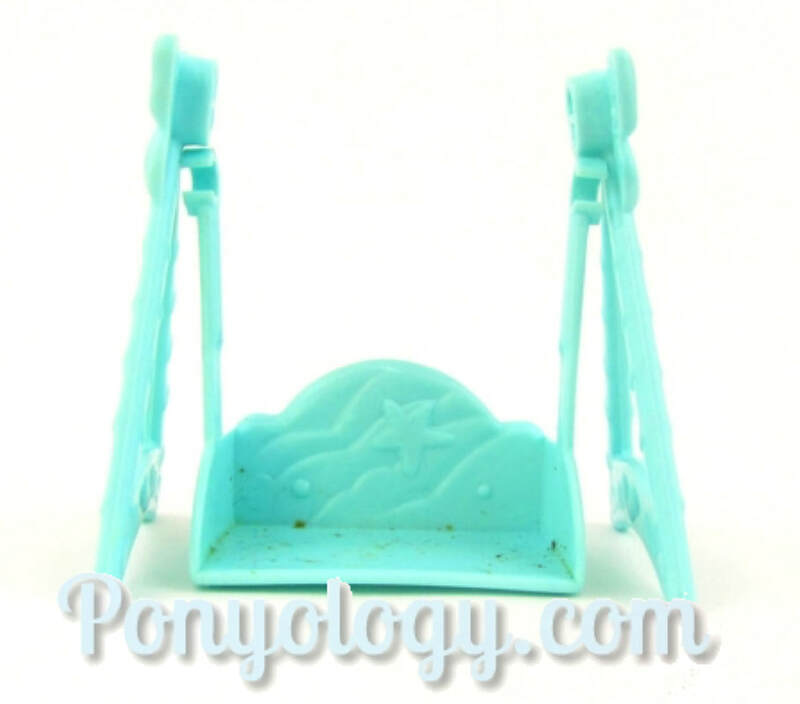 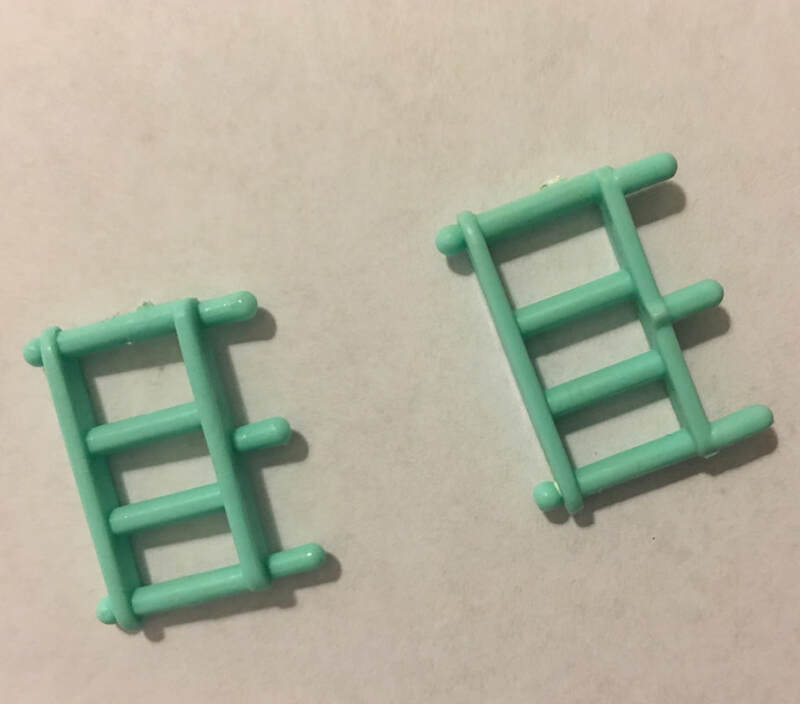 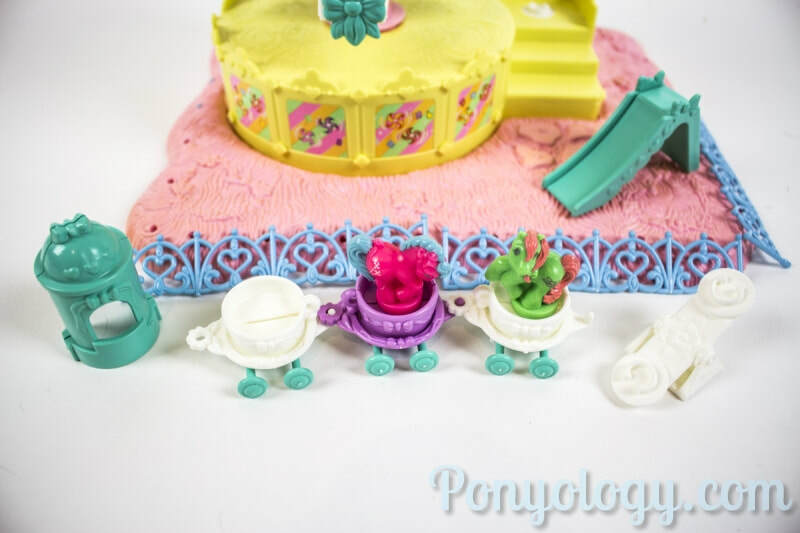 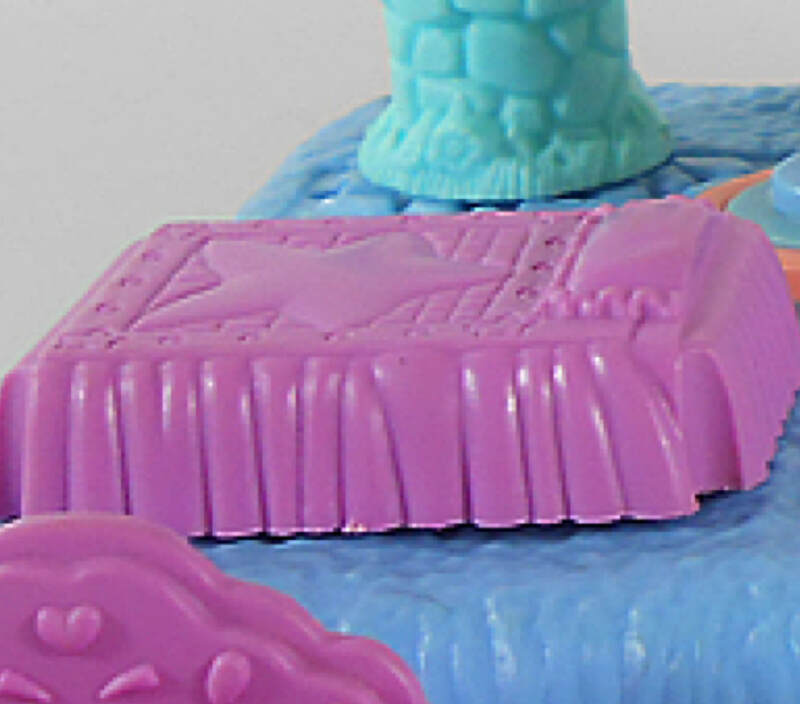 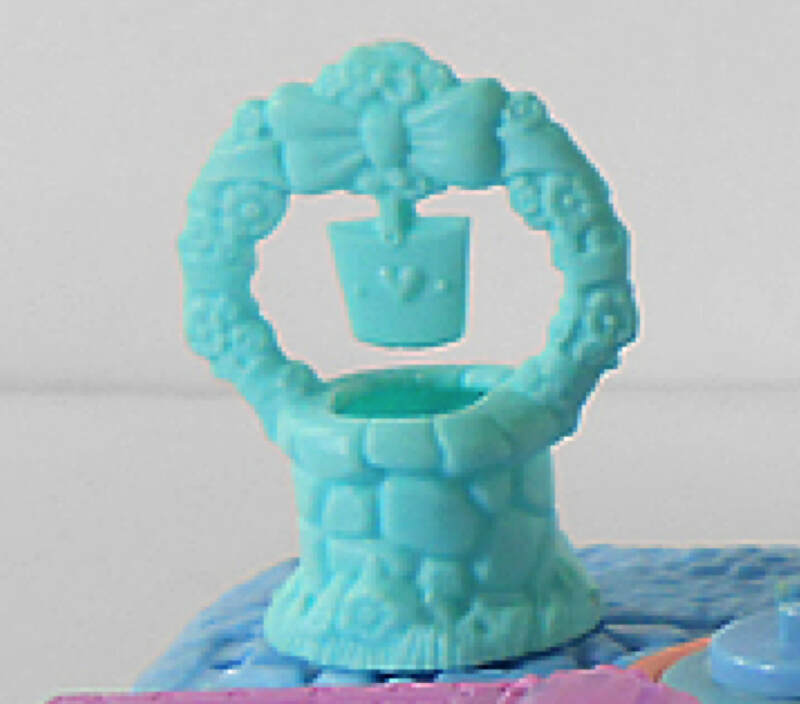 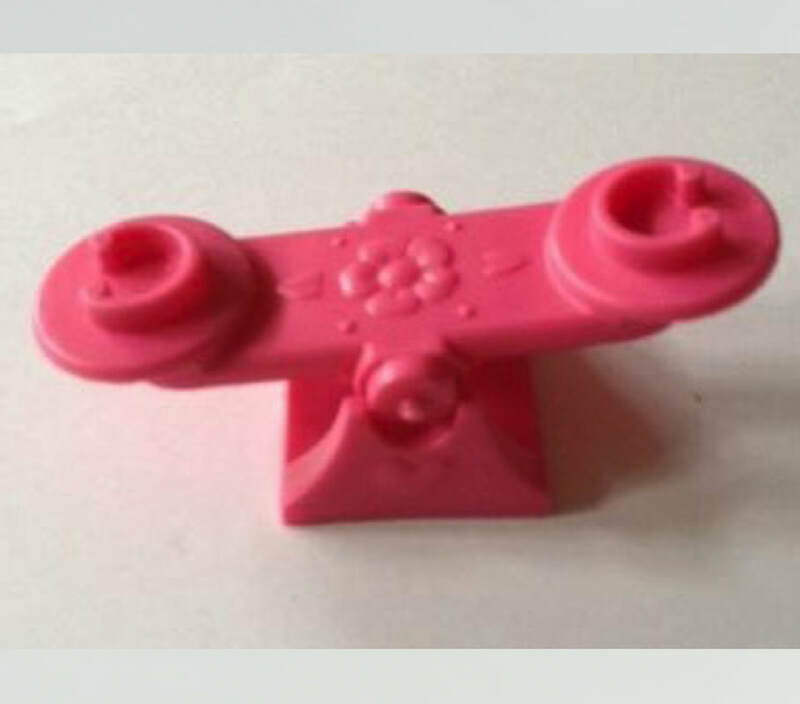 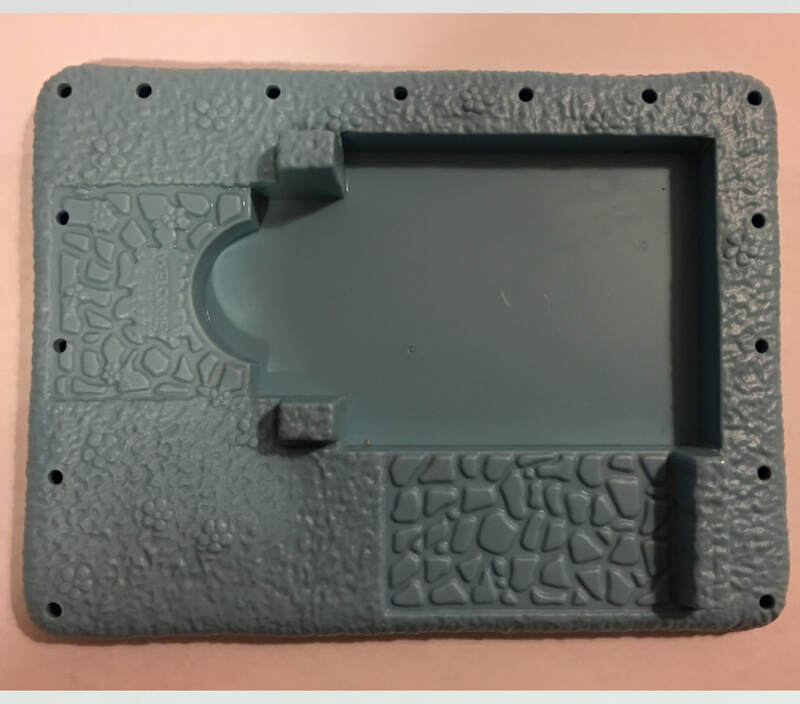 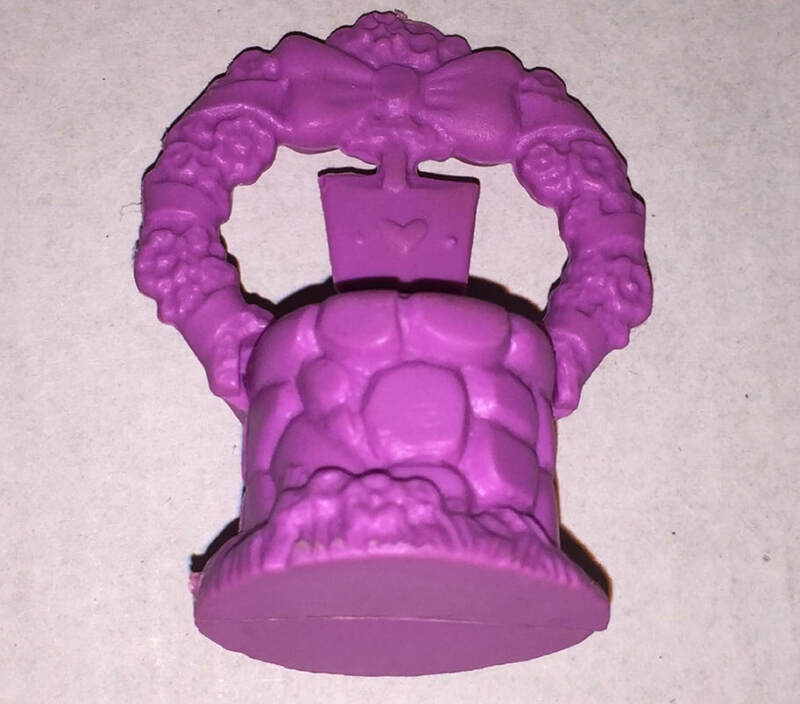 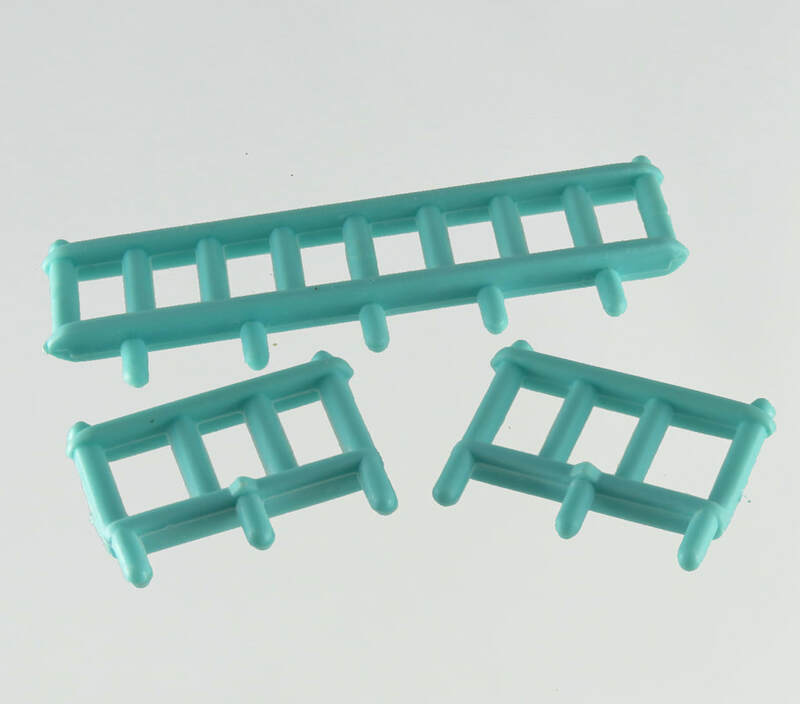 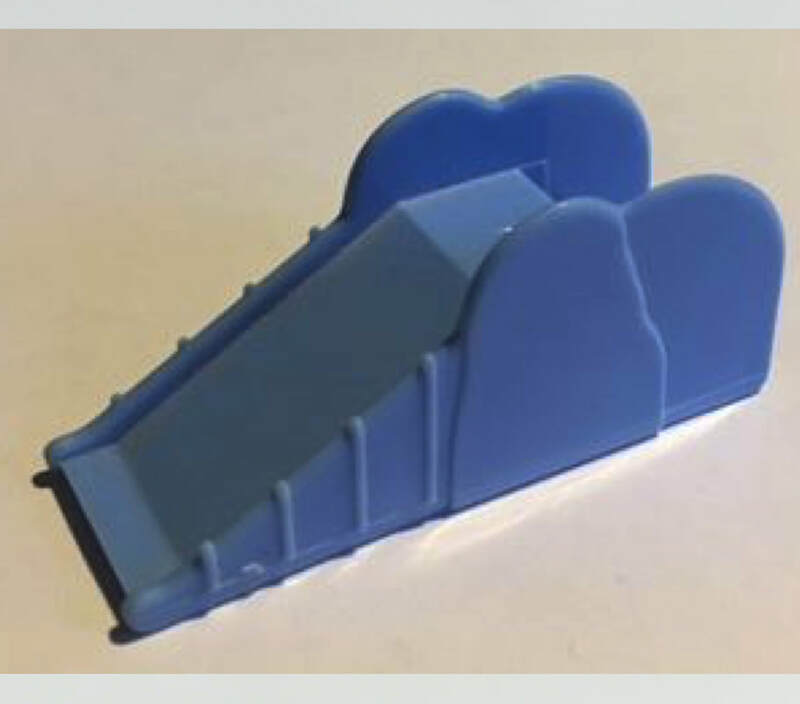 The accessories also come with the colours reversed - each mould in the other colour. 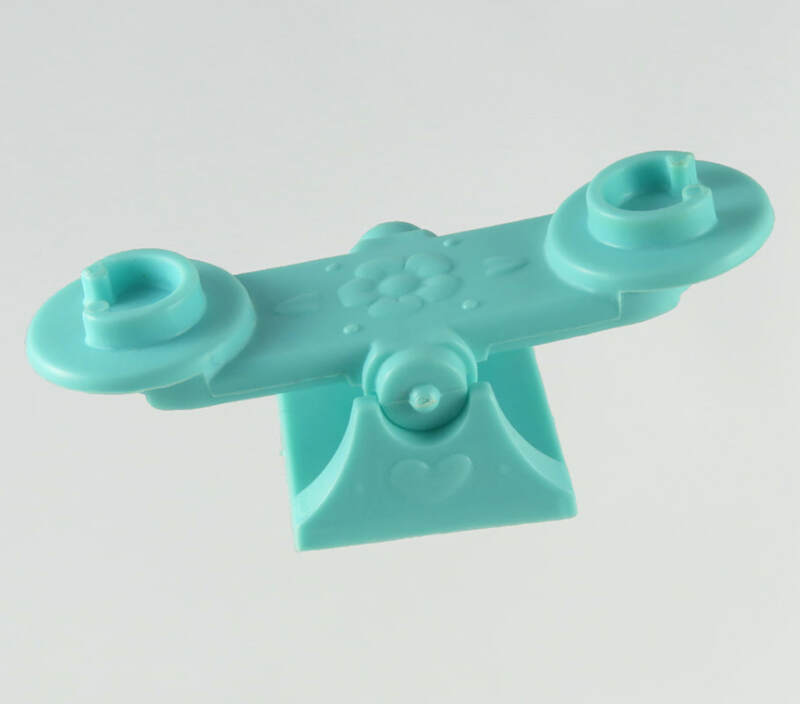 That means if you're a variation collector you'll need each piece in four colours. 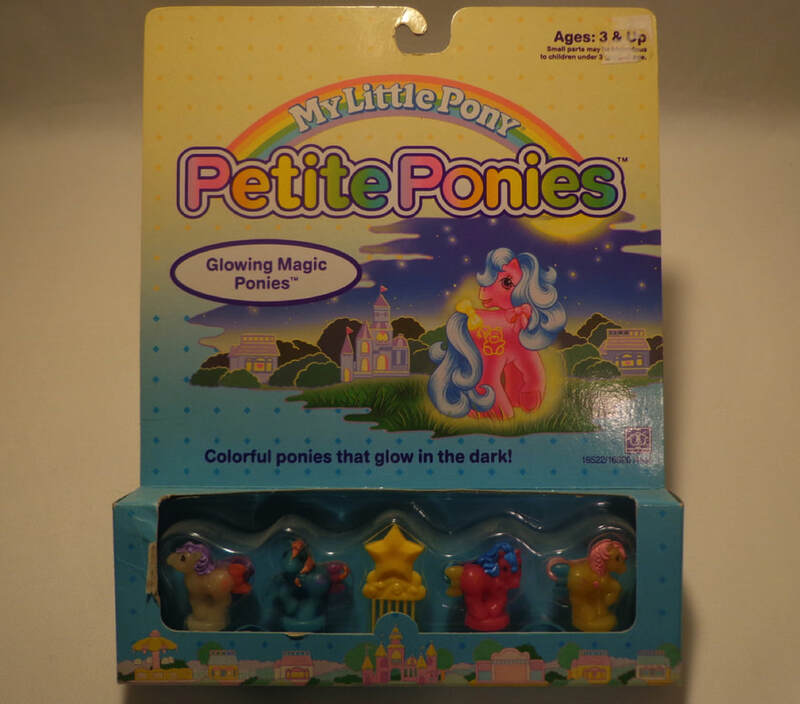 Information from another site has linked certain colours to North America and others to Europe. 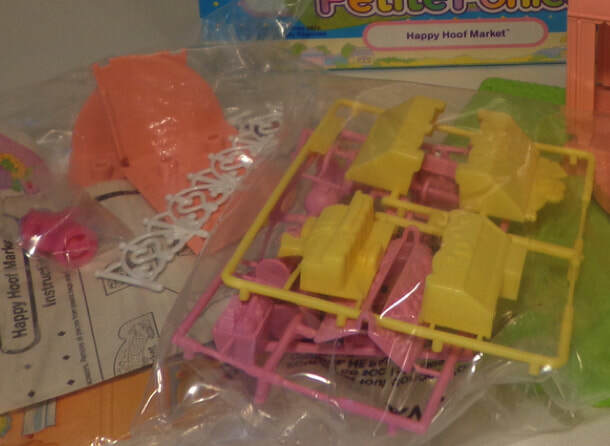 I haven't found evidence for this as collectors have told me they got colours linked to Europe in America and my original Happy Hearts Cottage bought in the UK also came with colours attributed to the American release. 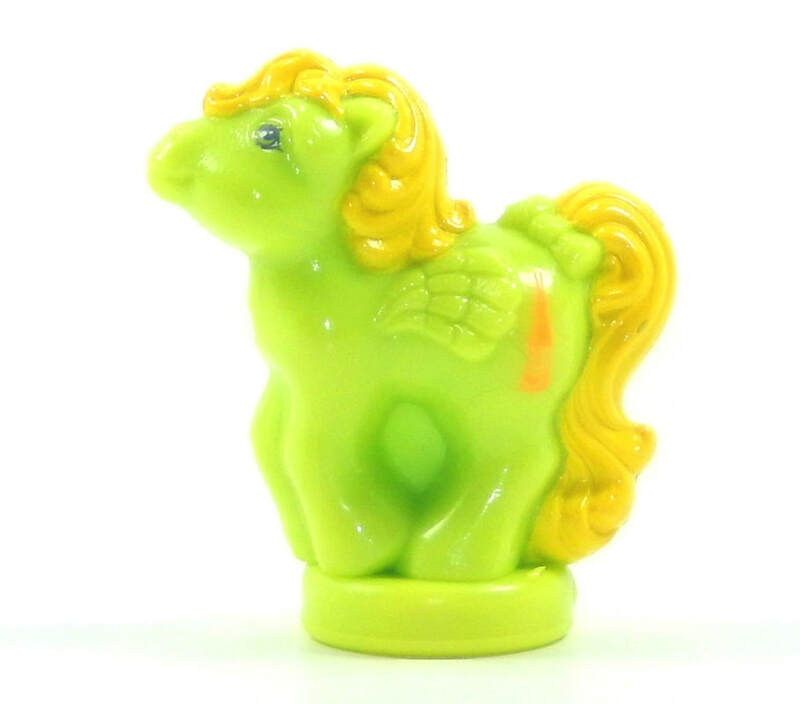 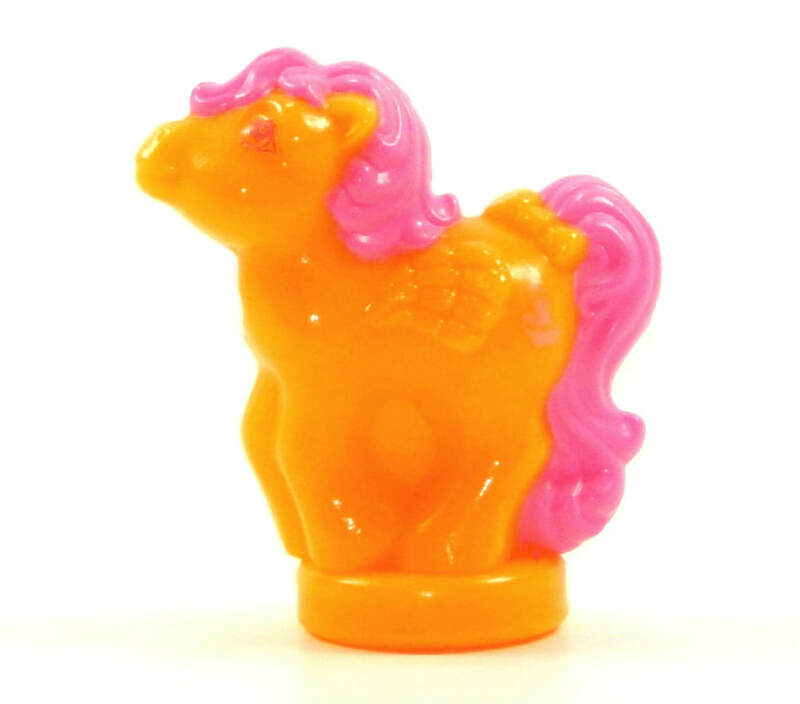 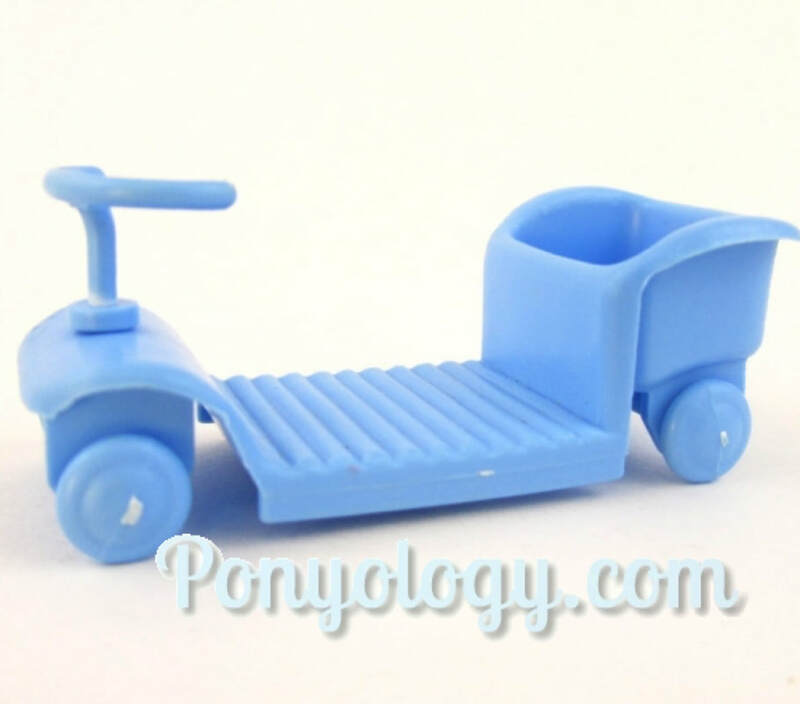 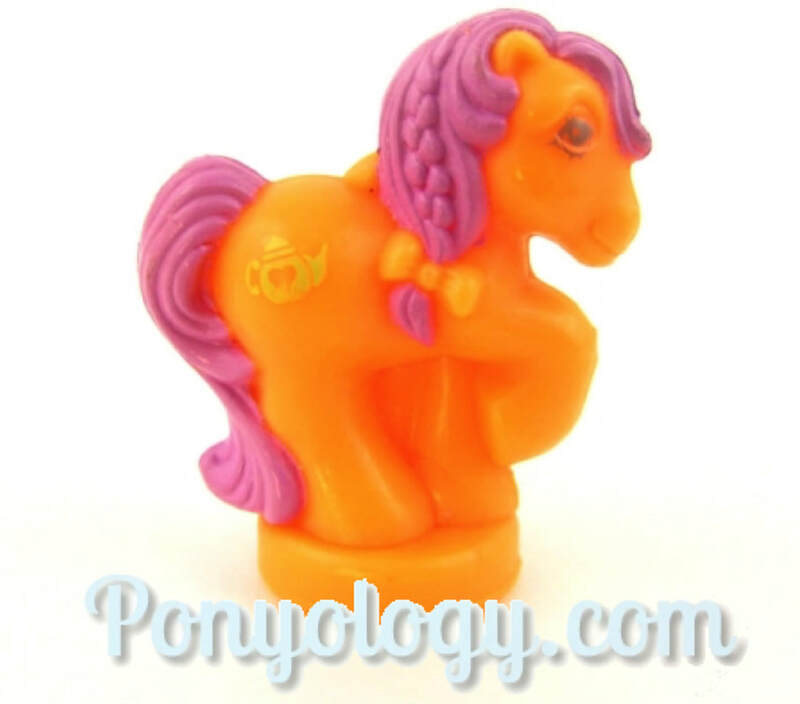 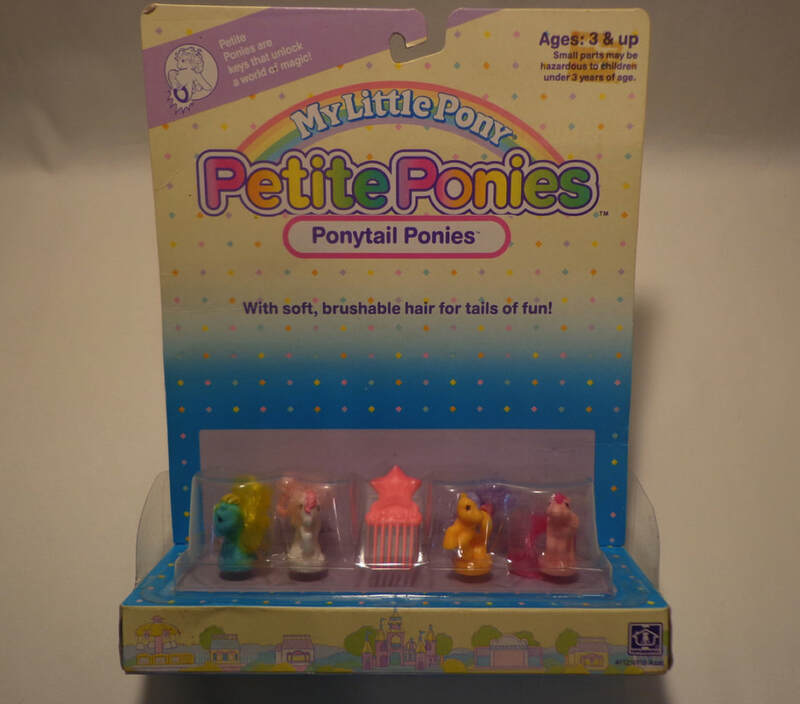 As far as I can tell the best way to know where your set came from is the pony included. 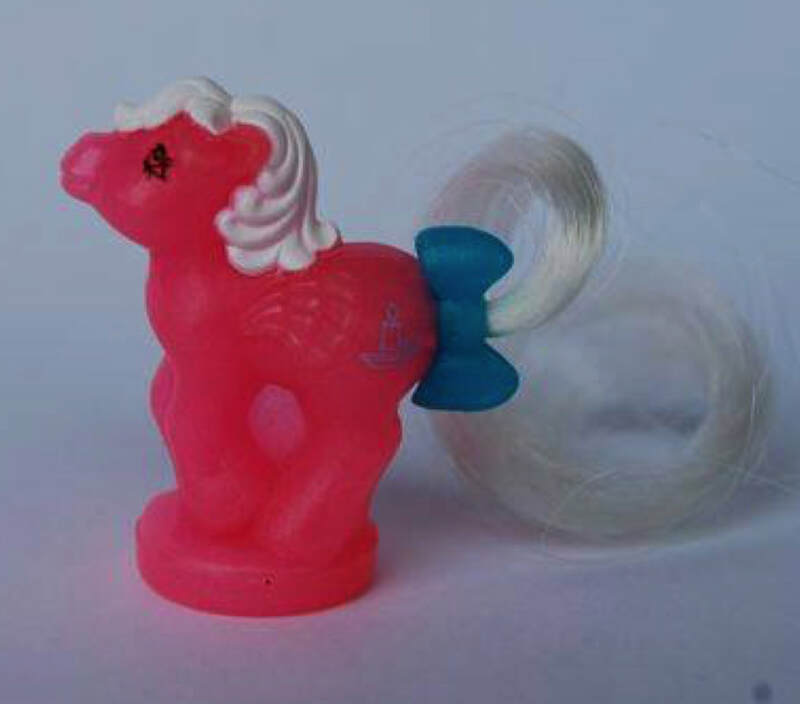 European have real tails and North American have moulded plastic tails. 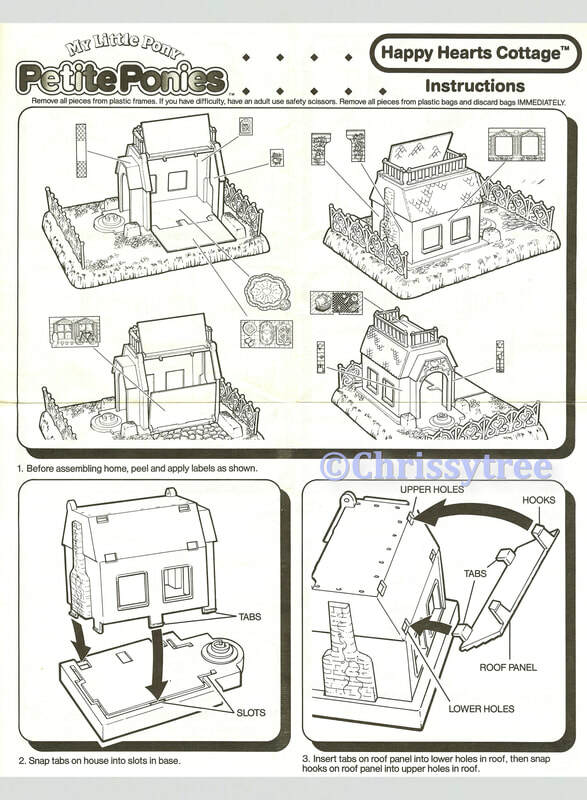 Happy Hearts Cottage Instructions - UK Release. 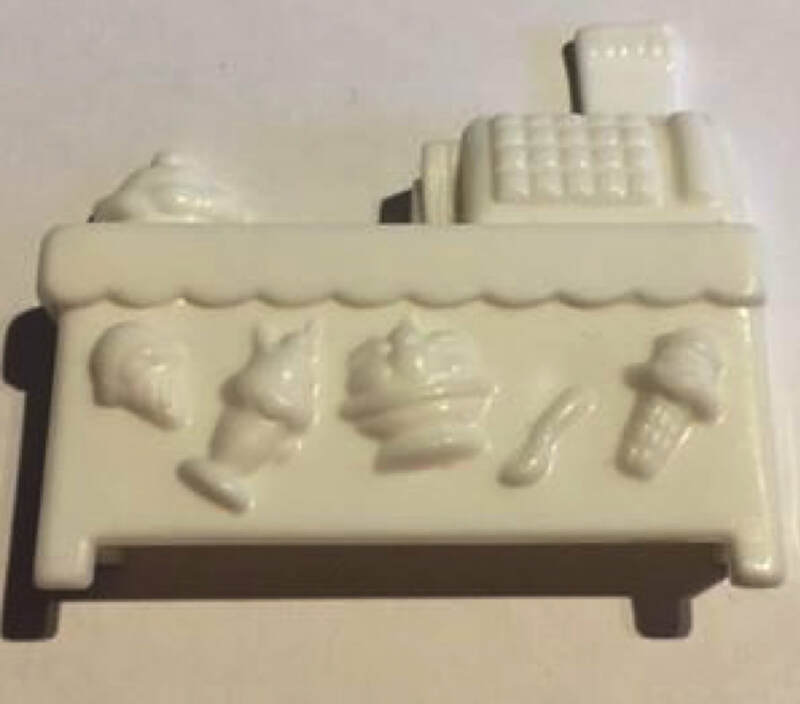 Adding Cash register and produce fridge. 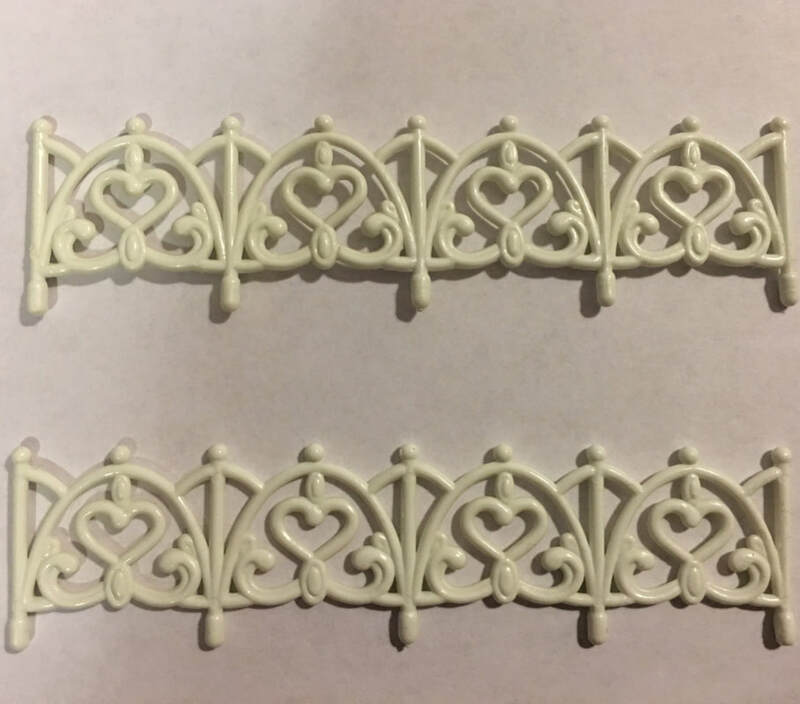 Unsure about colour variations. 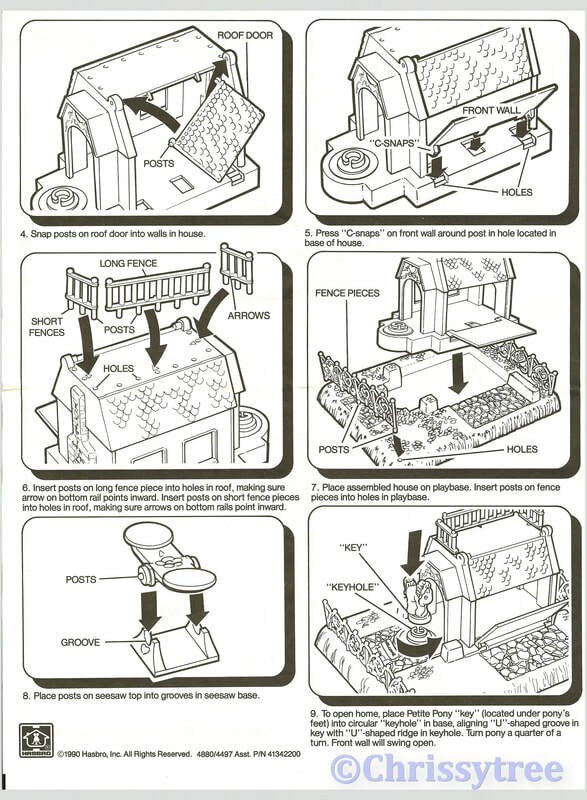 Add info on bits attached to side doors. 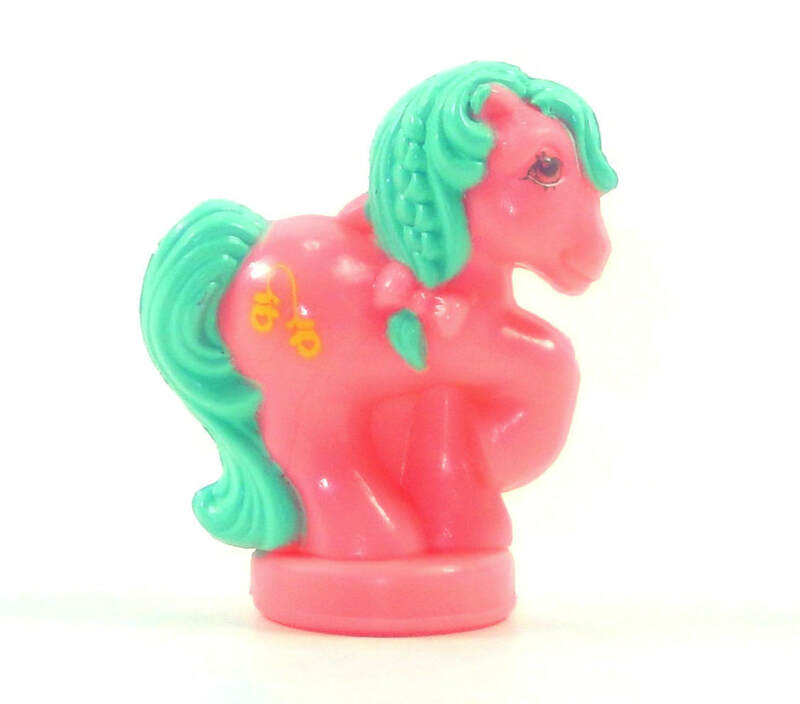 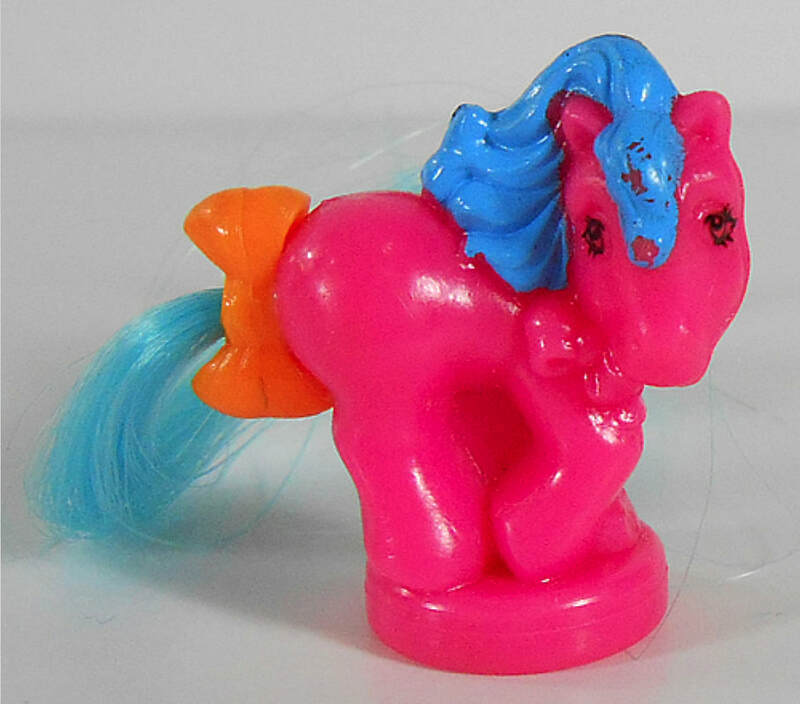 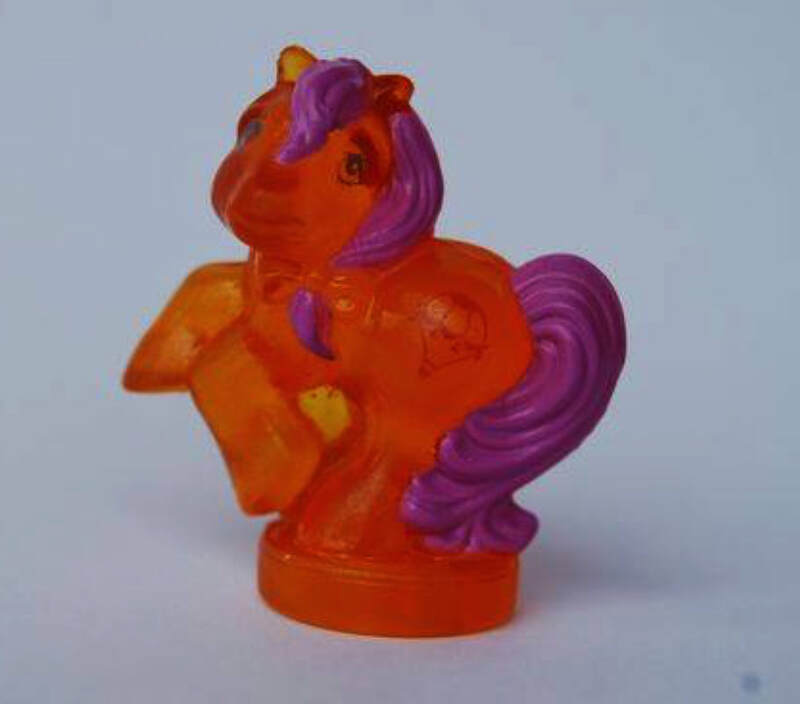 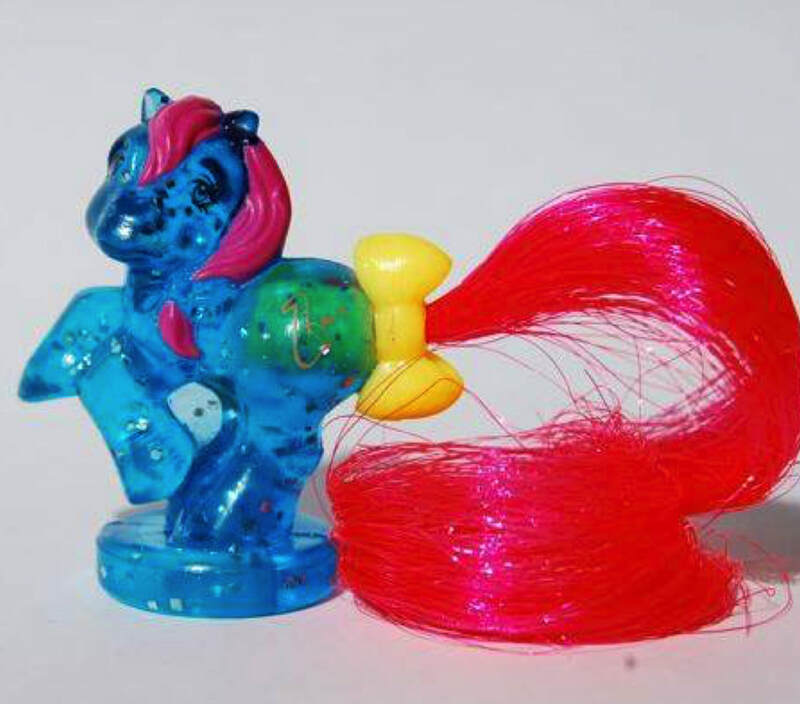 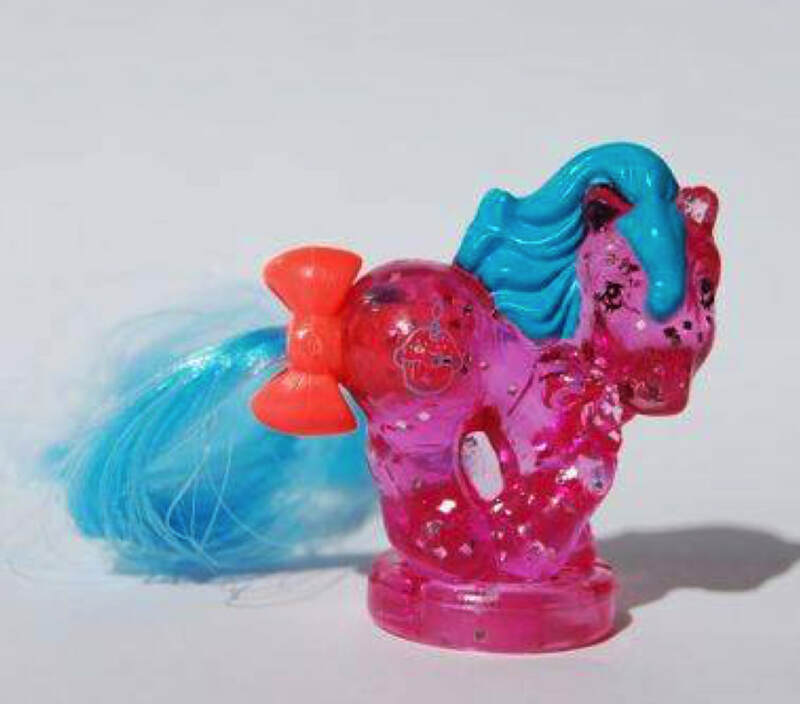 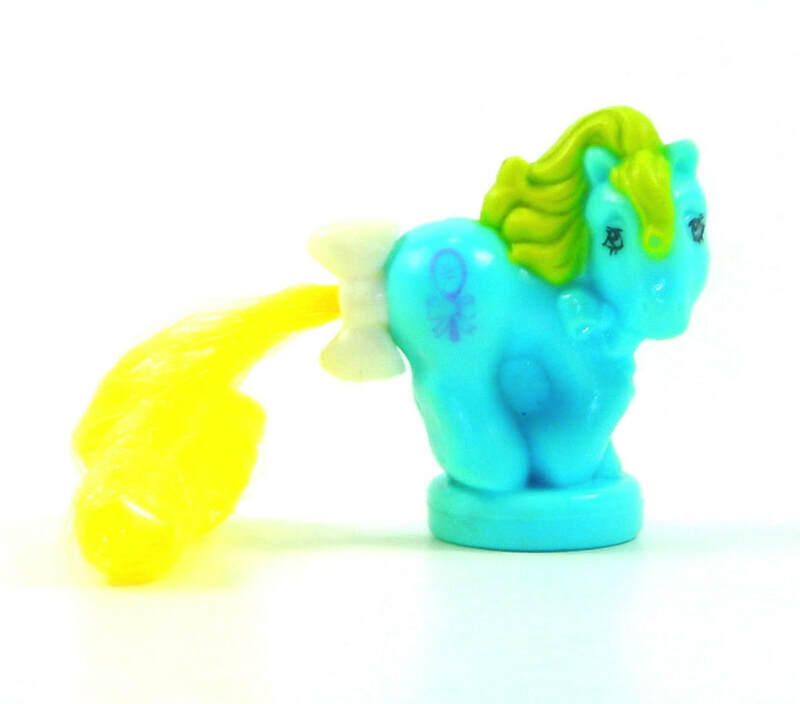 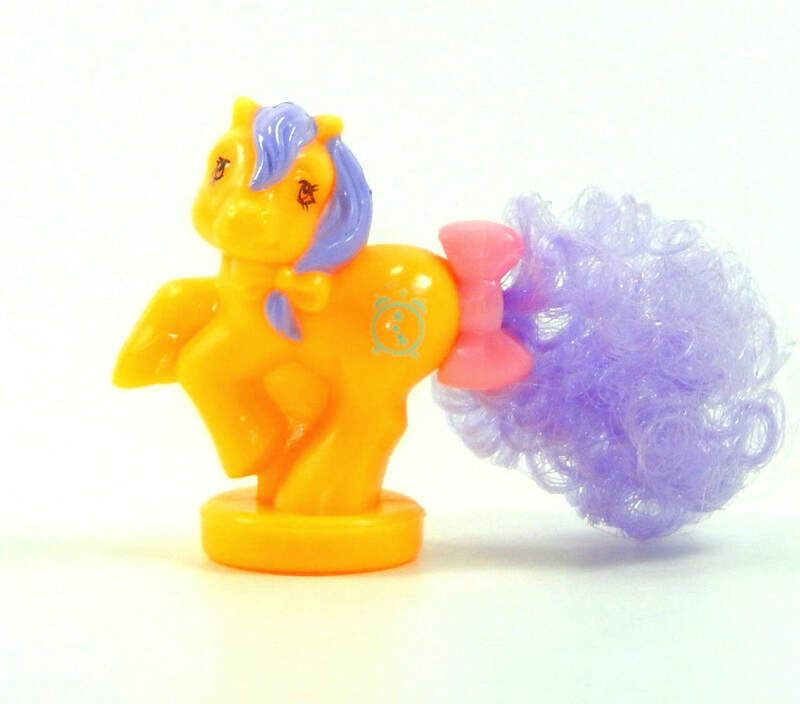 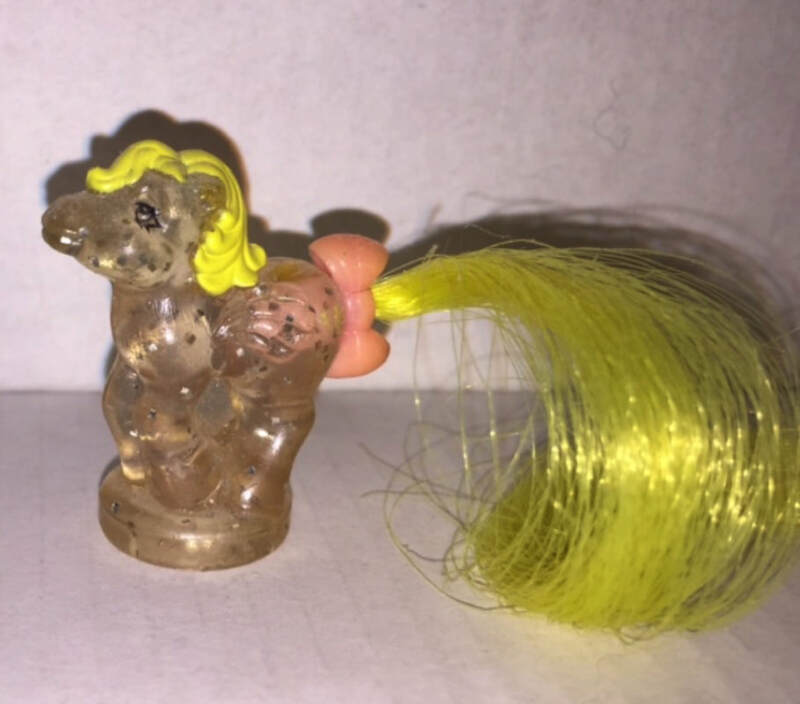 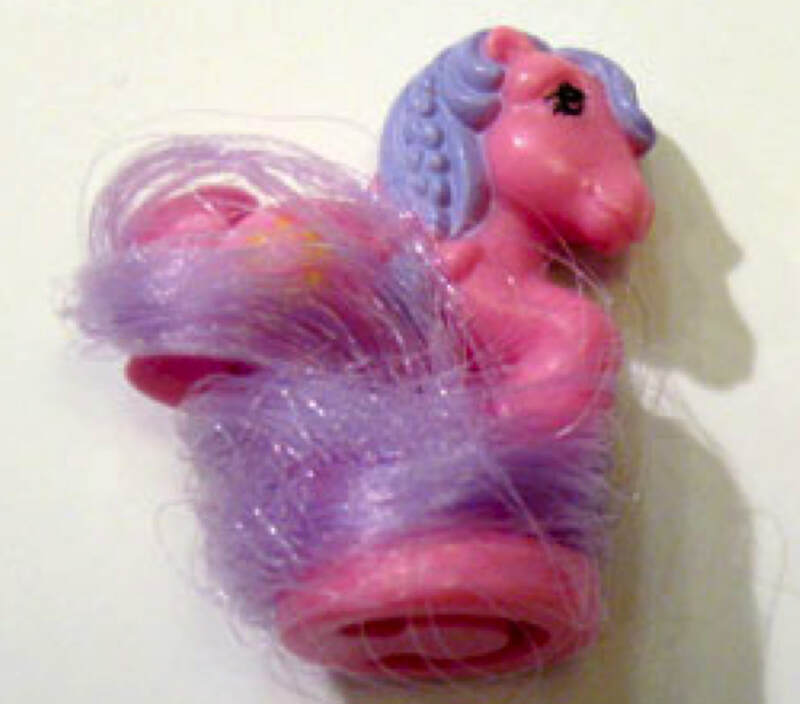 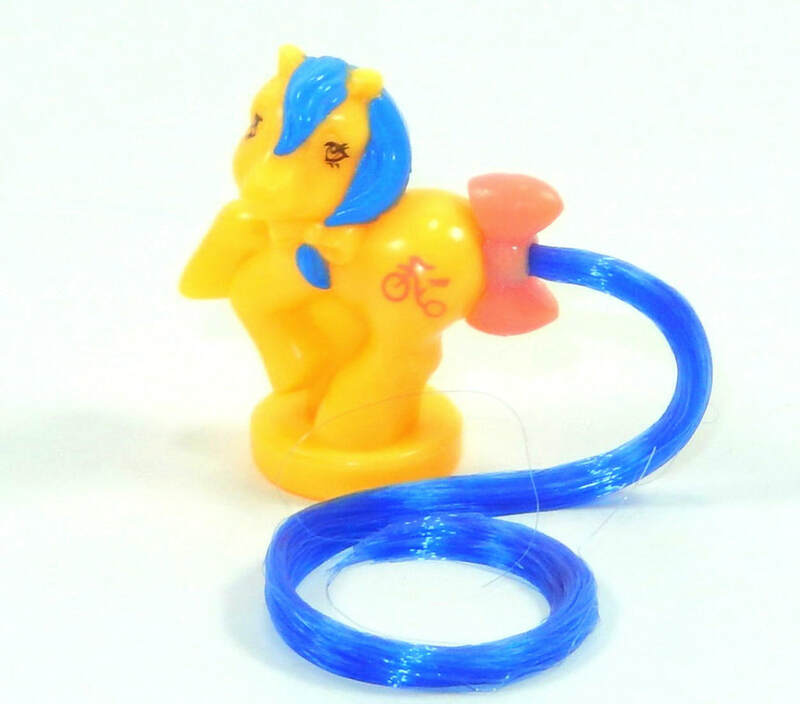 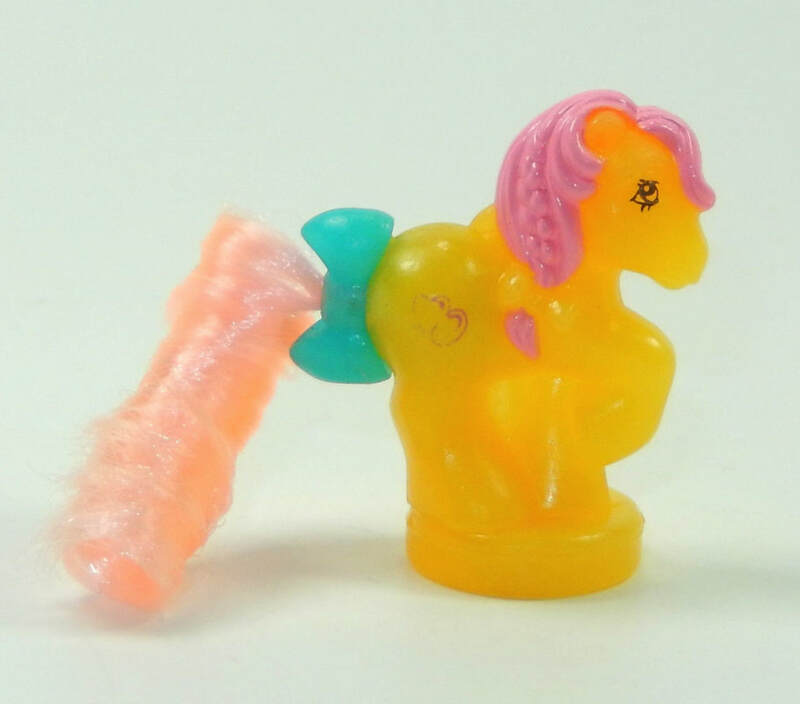 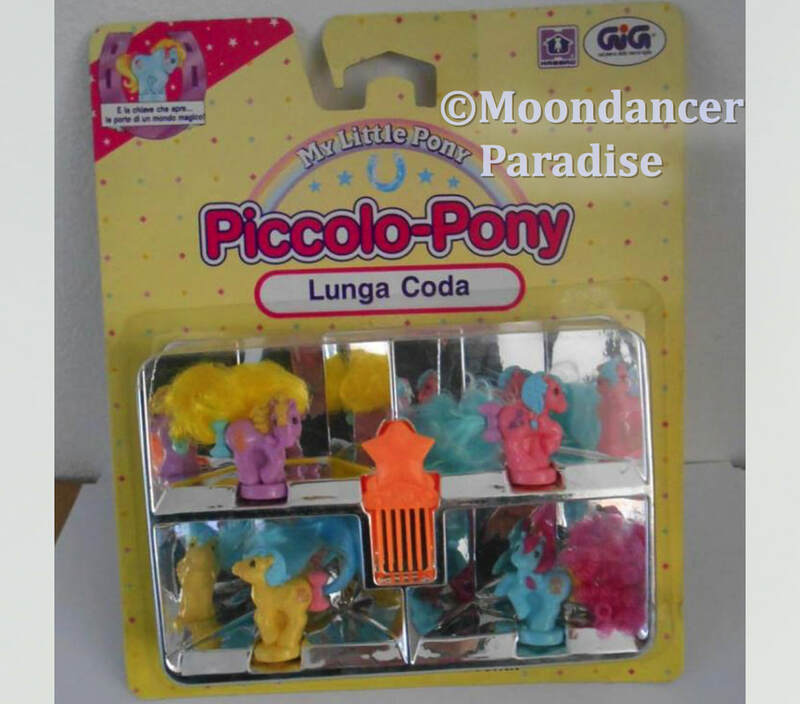 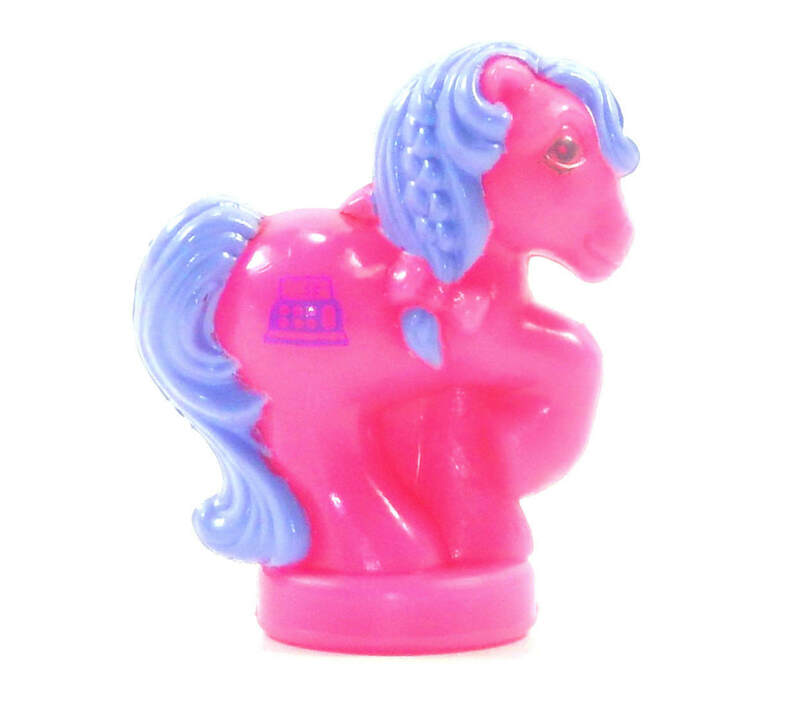 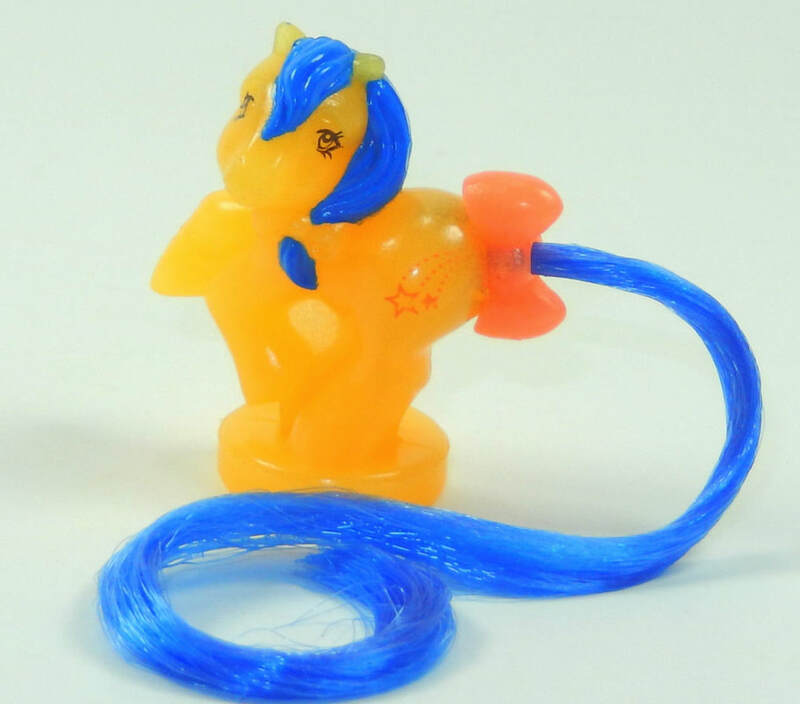 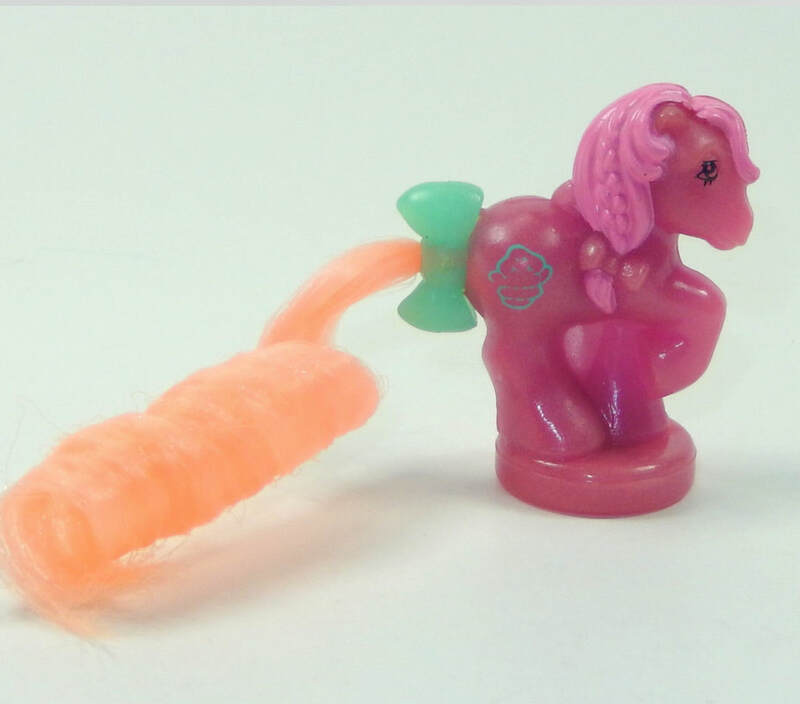 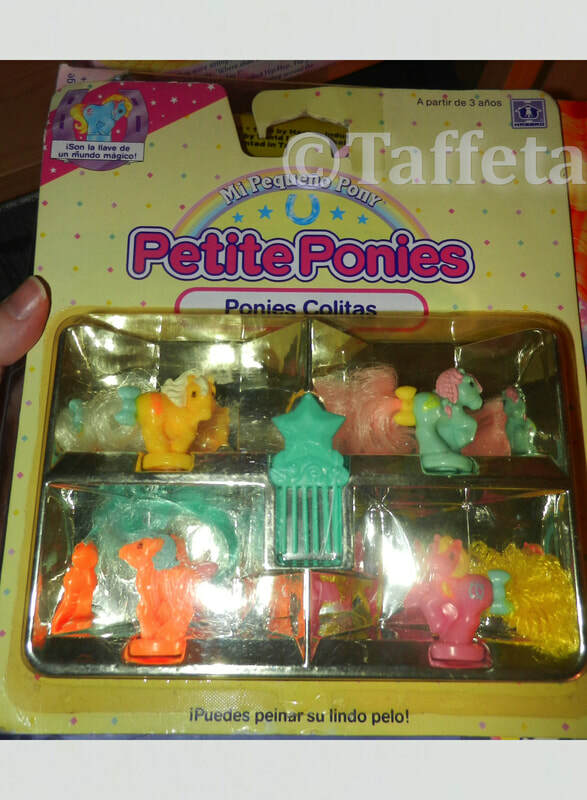 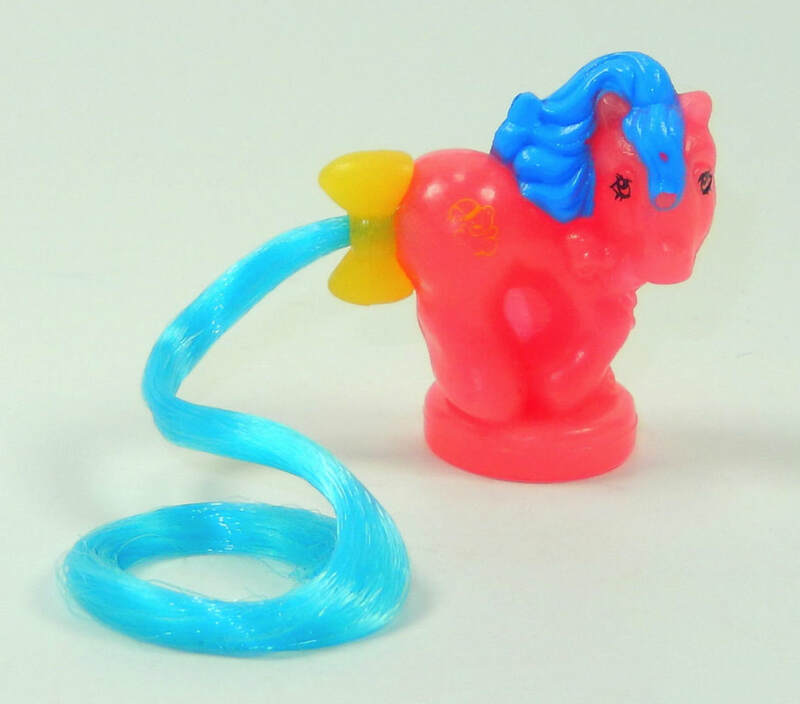 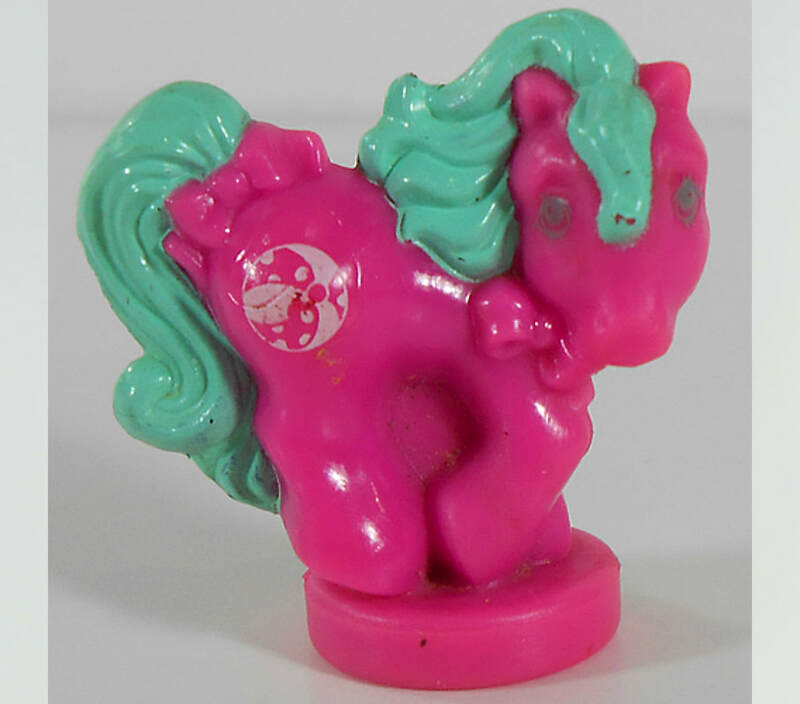 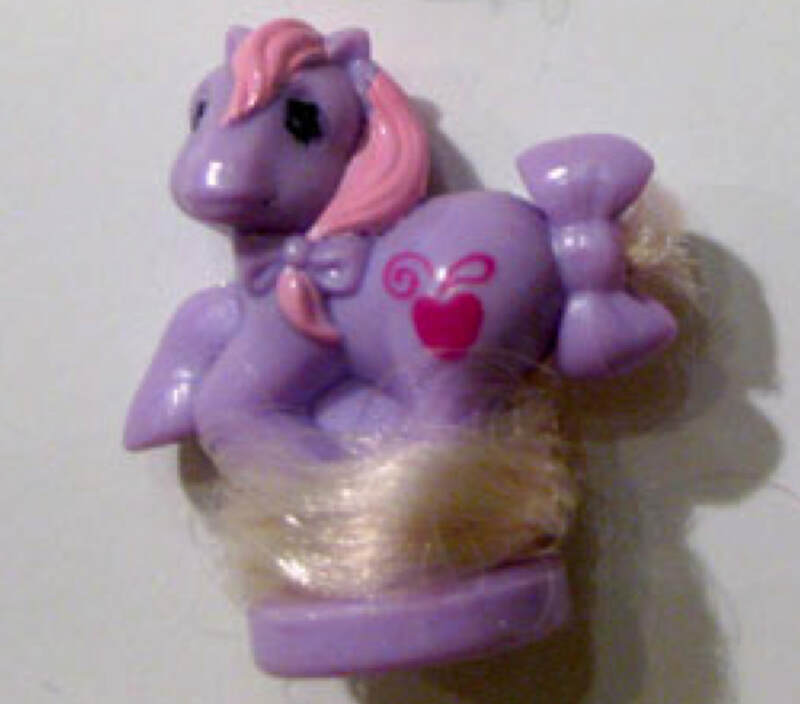 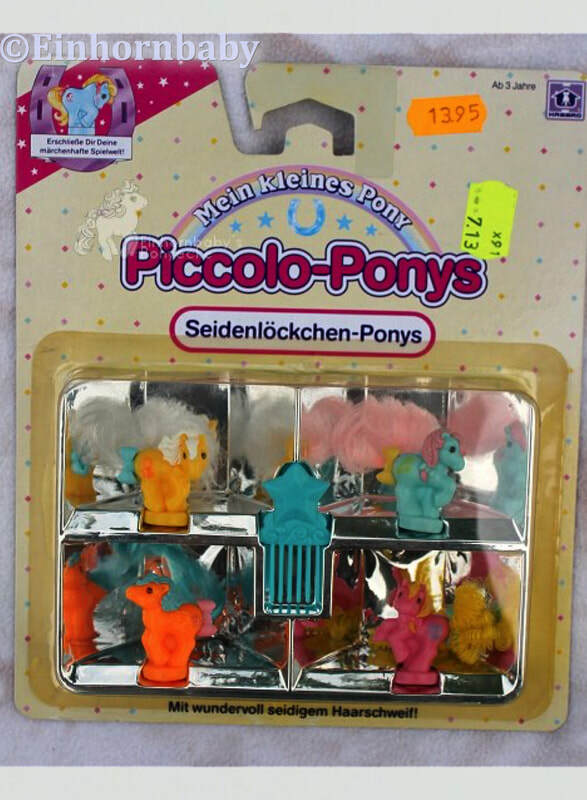 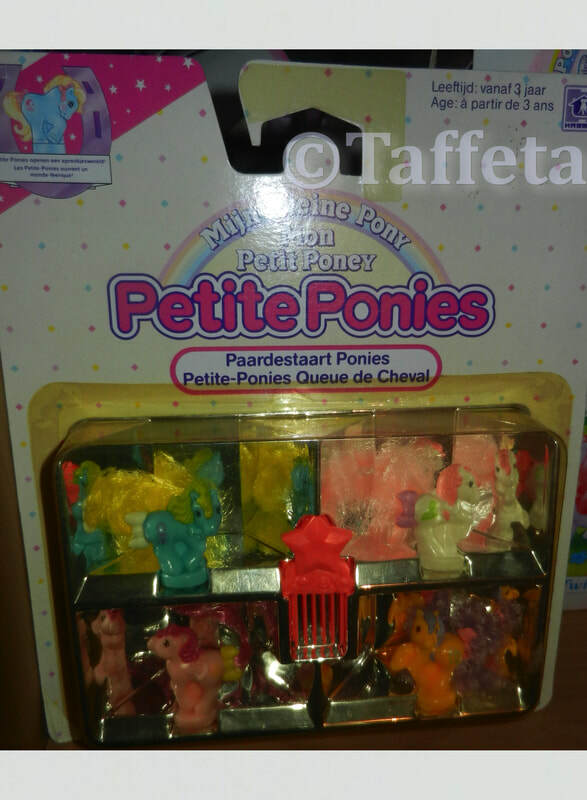 US Version - Ponies with Moulded Tails. 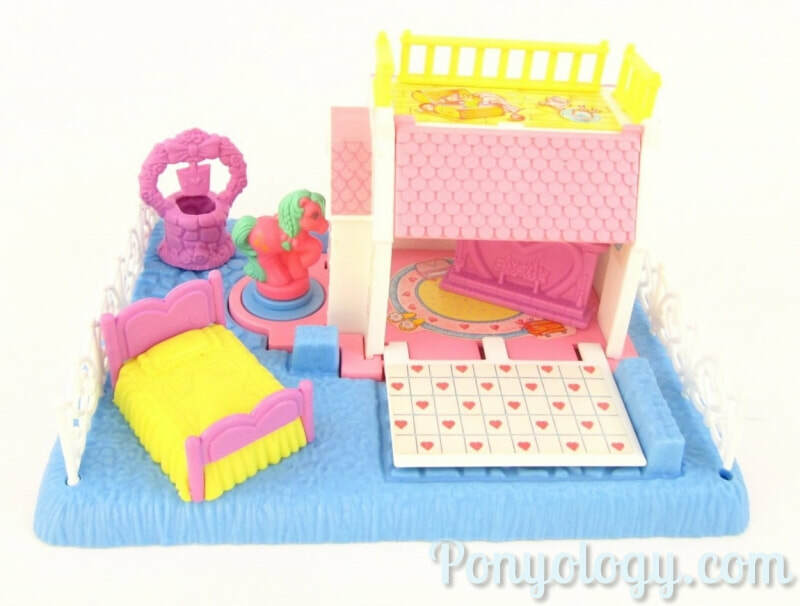 This is a very complicated set! 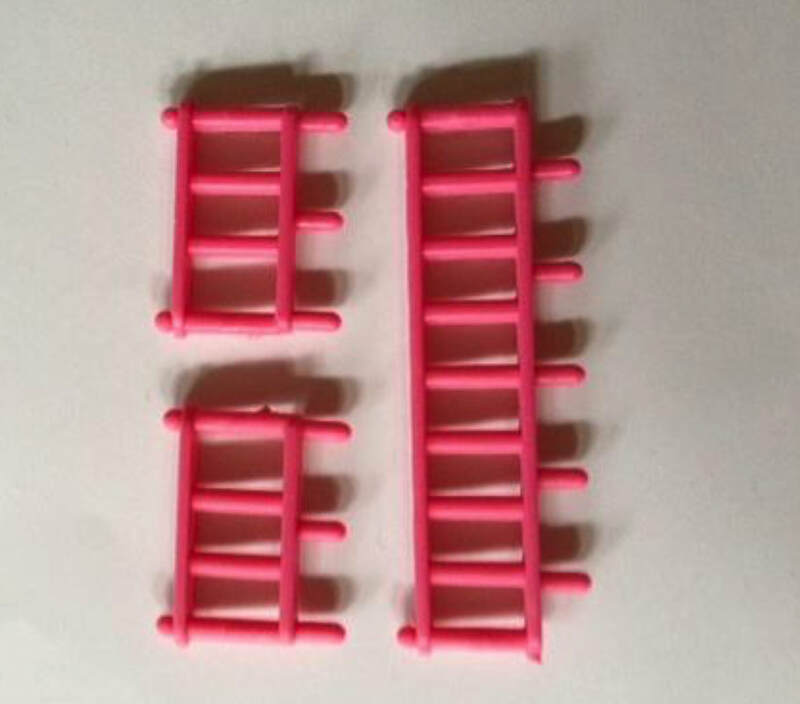 I've used the Instructions as a guide to label the parts and divide them into sections. 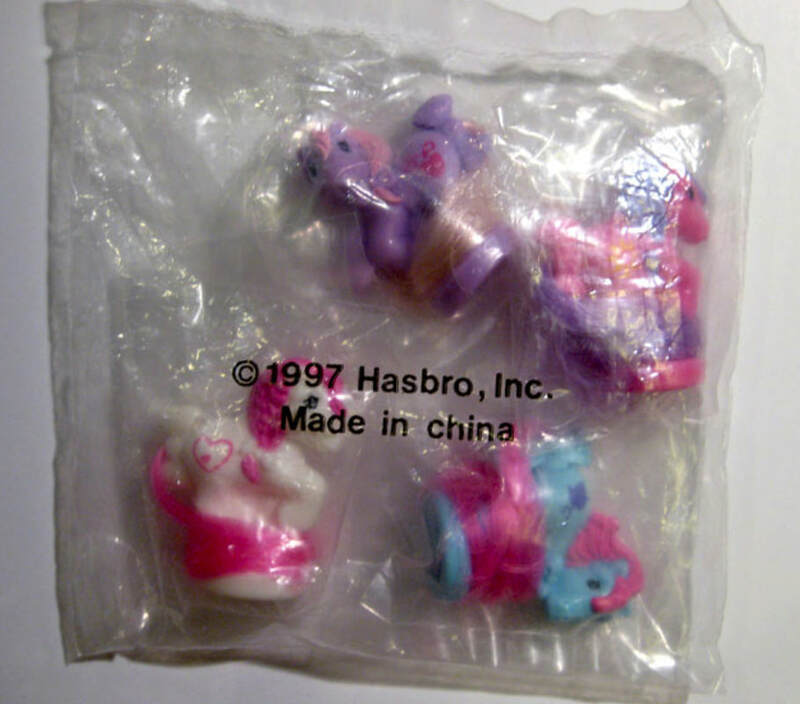 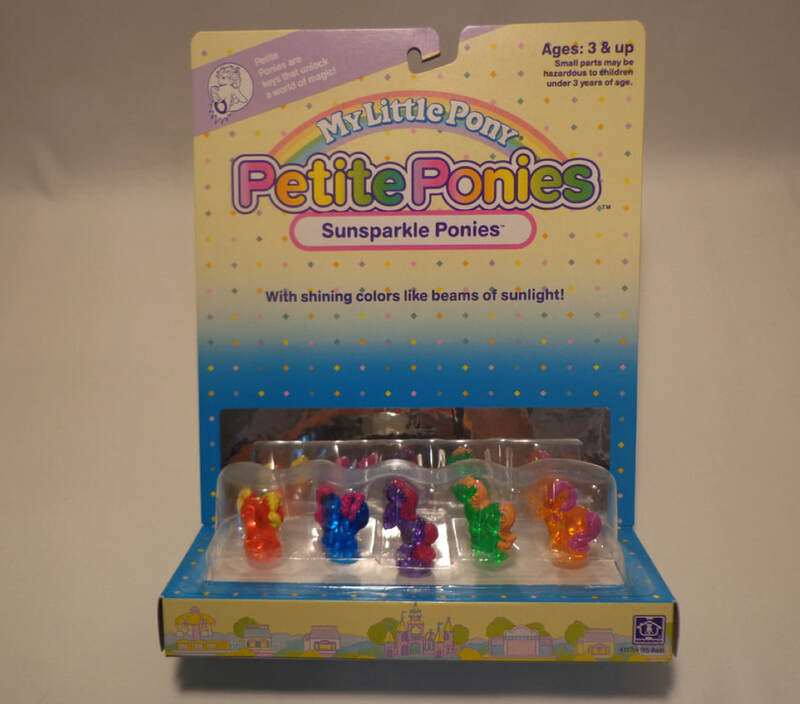 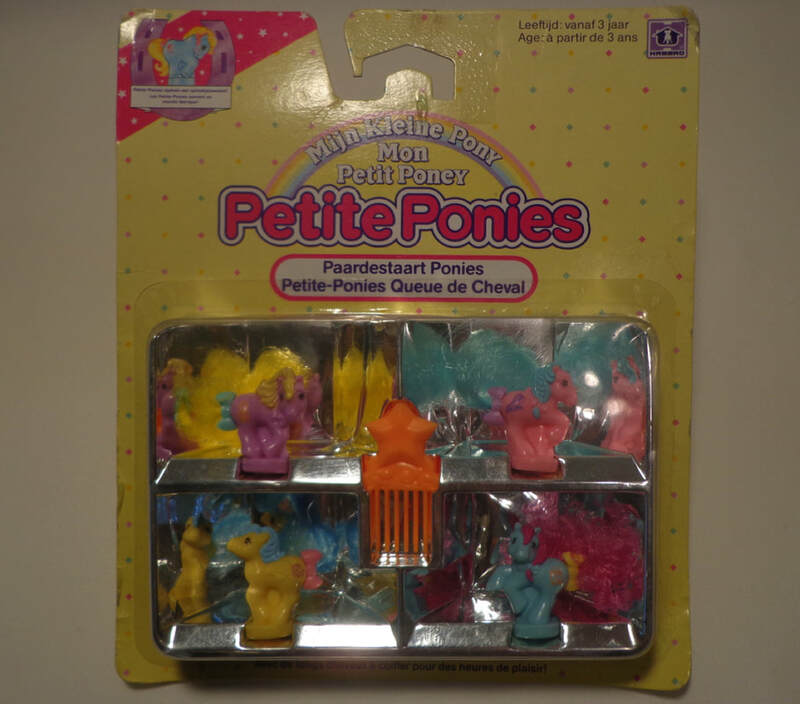 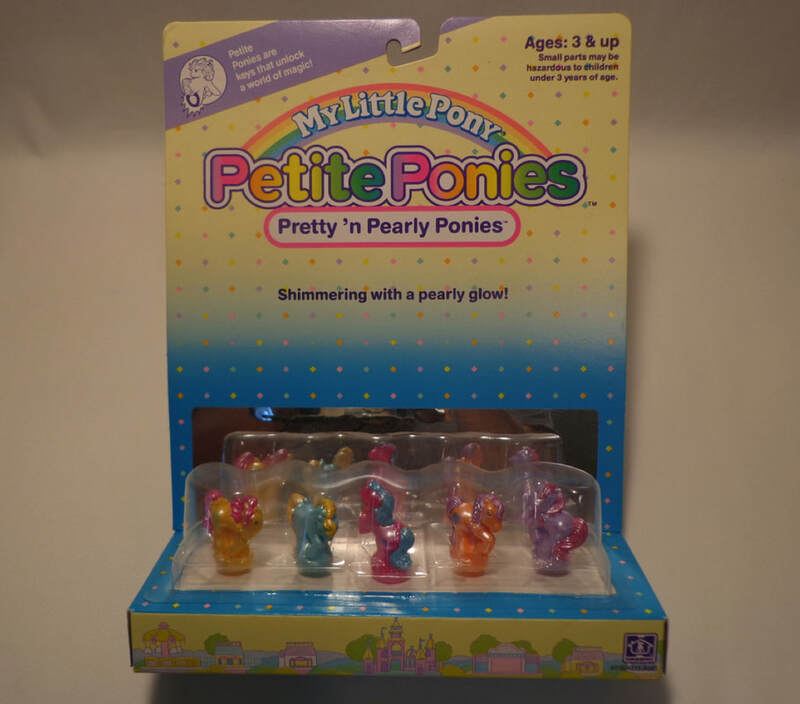 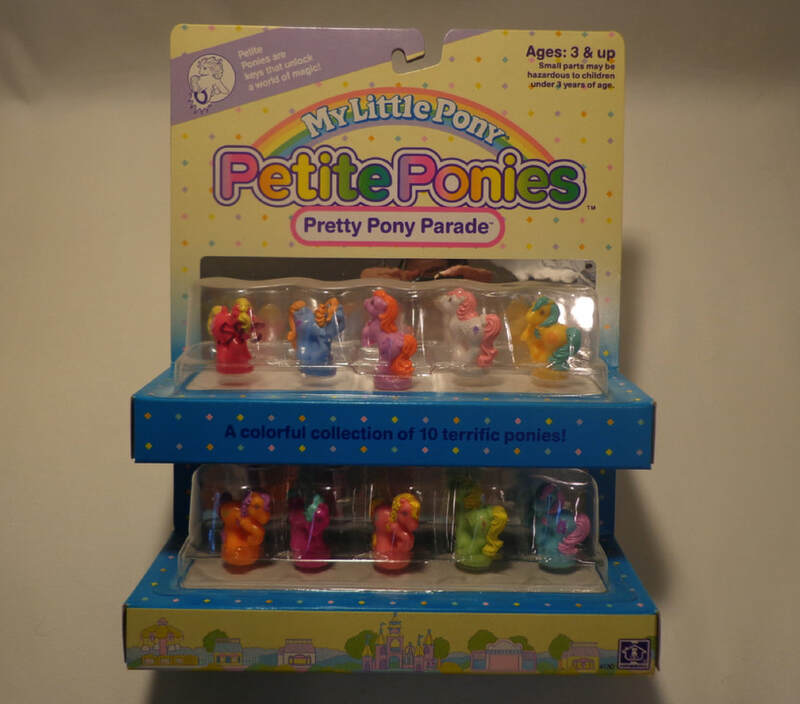 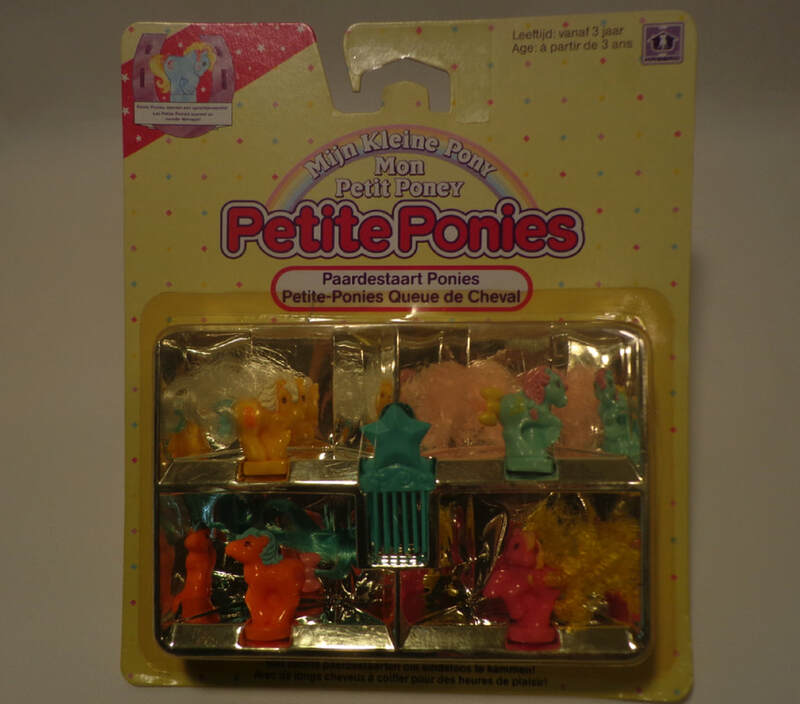 These four petite ponies were given away at the Toyfair in New York in 1997.